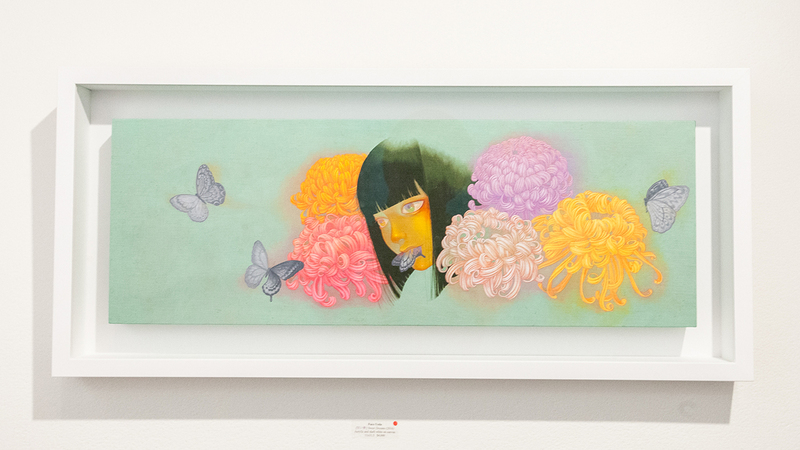 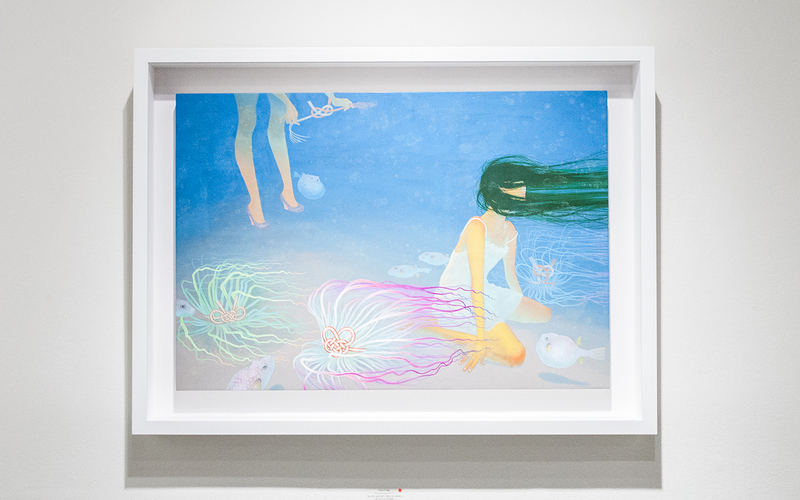 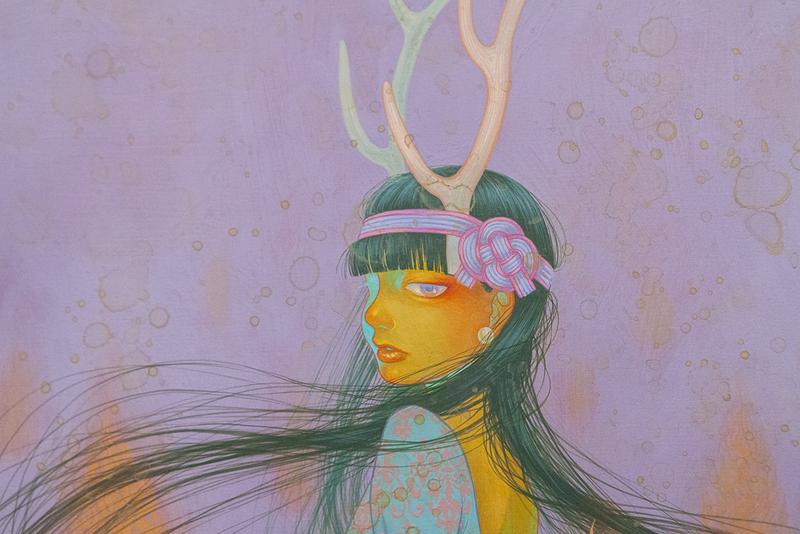 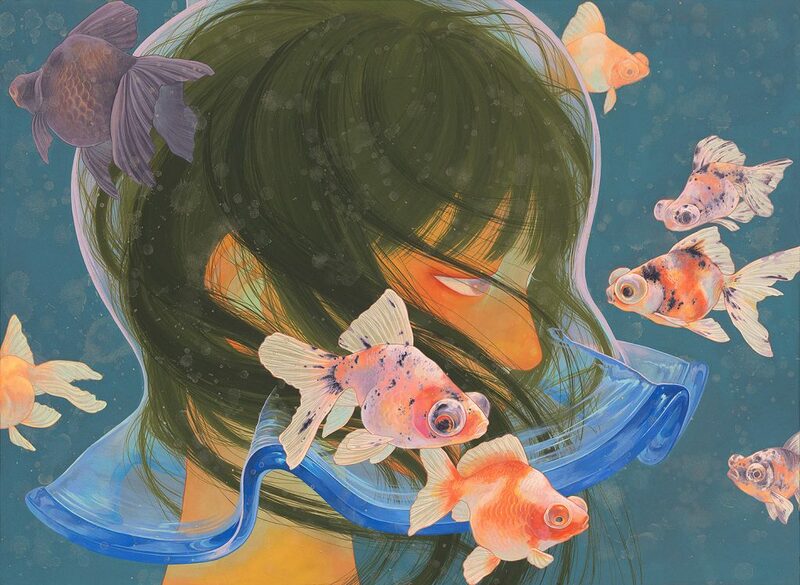 Tokyo-based surrealist artist Fuco Ueda’s dreamy new pieces for the group exhibition Elysium continues to showcase her ethereal acrylic paintings mixed with Japan Gofun shell powder that gives her work a unique glow. 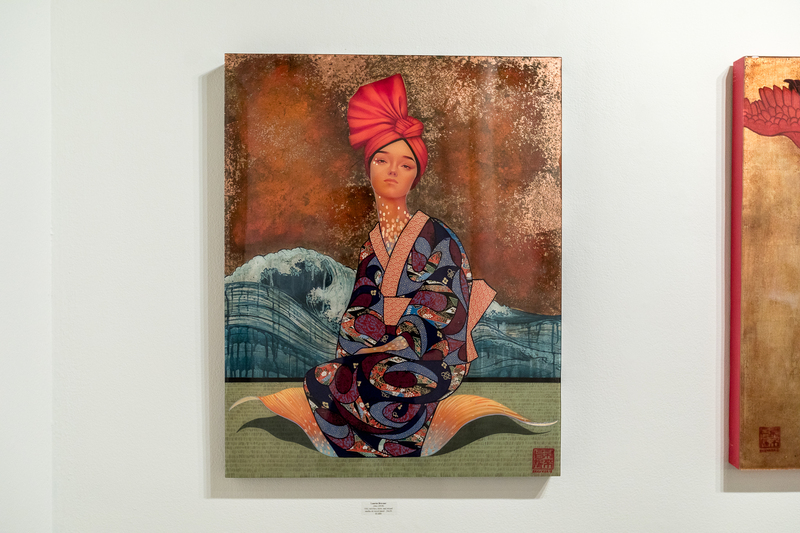 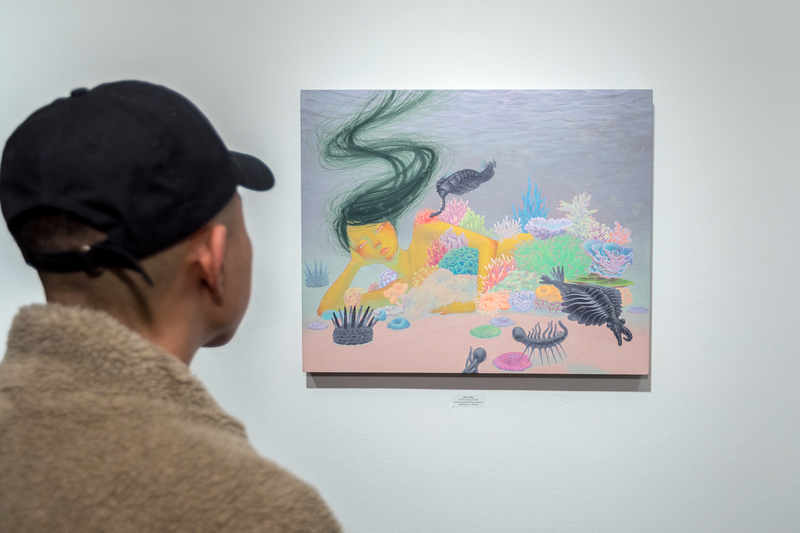 The movement in Ueda’s work is weightless reflected in the flowing waterscapes she’s created in her latest body of work. 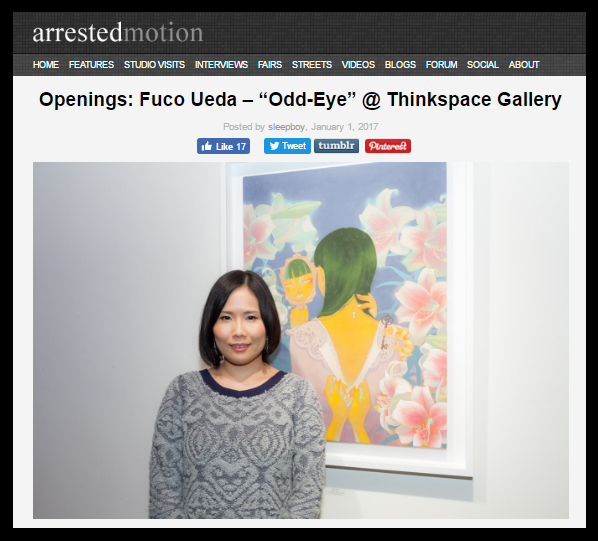 Our interview with Fuco Ueda reveals the inspiration and creative heart behind the pieces. 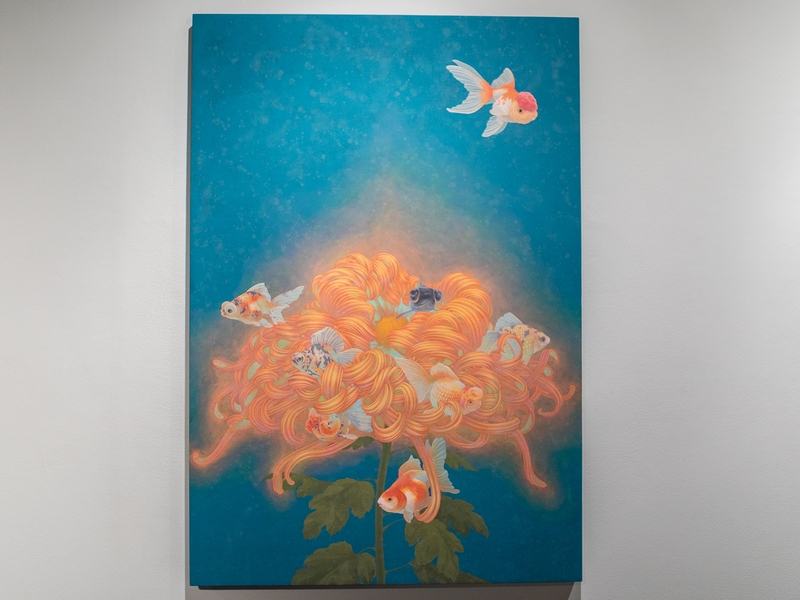 JL: “To fall asleep” is inspired by the Buddhist Nirvana diagram. 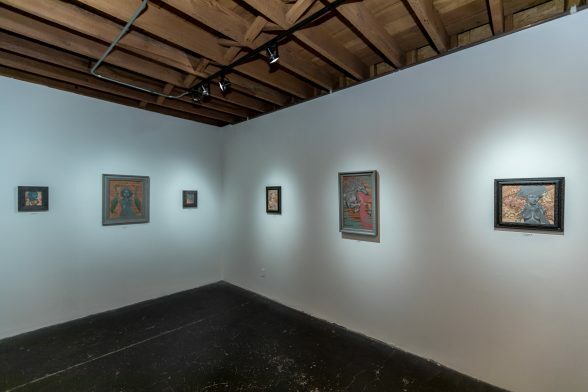 The Buddhist Nehan-zu (painting of Great Nirvana) draws the way the Buddha opens enlightenment and dies. 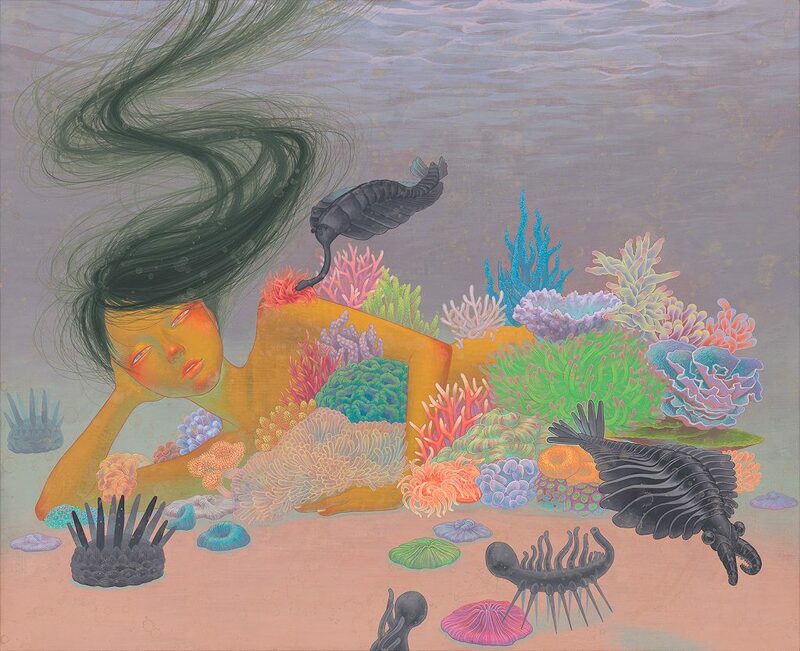 Cambrian creatures are floating in “To fall asleep”. 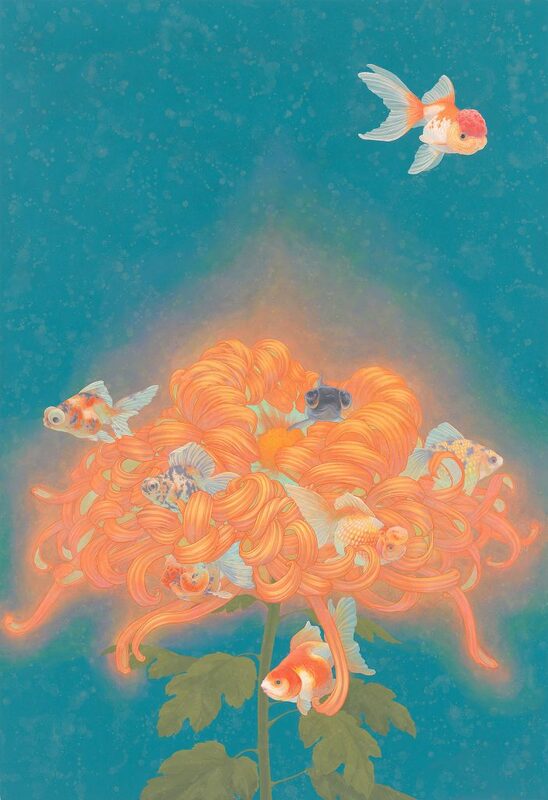 It expresses the flow of the world different from the current flow of time. 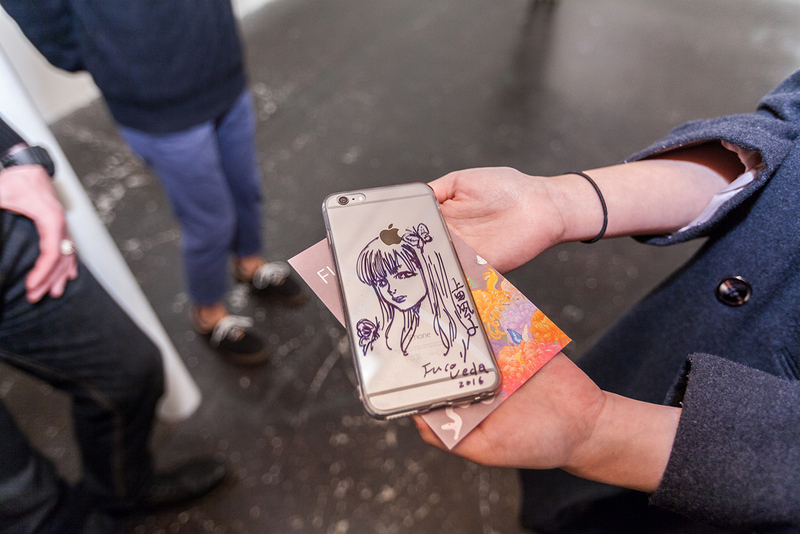 SH: How do you approach developing a new body of work and capture ideas for pieces; do you have a sketchbook on hand or is it just a note to yourself in your phone? 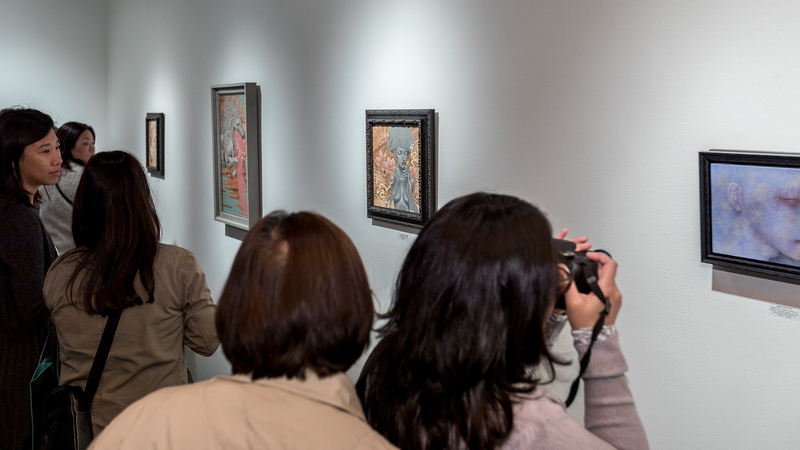 JL: I went to see the Buddhist Nehan-zu at a museum in Kyoto. 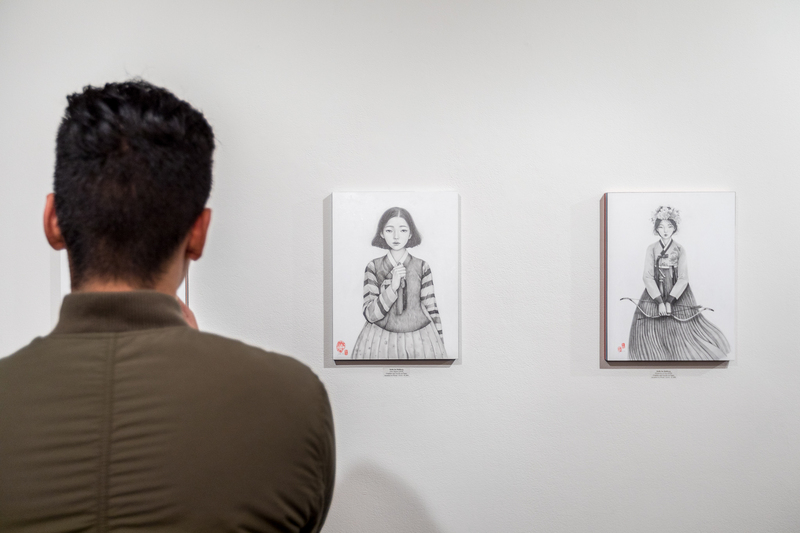 After reading and researching books on the subject, I will then draw simple outlines in my sketchbook developing and honing the ideas over time. 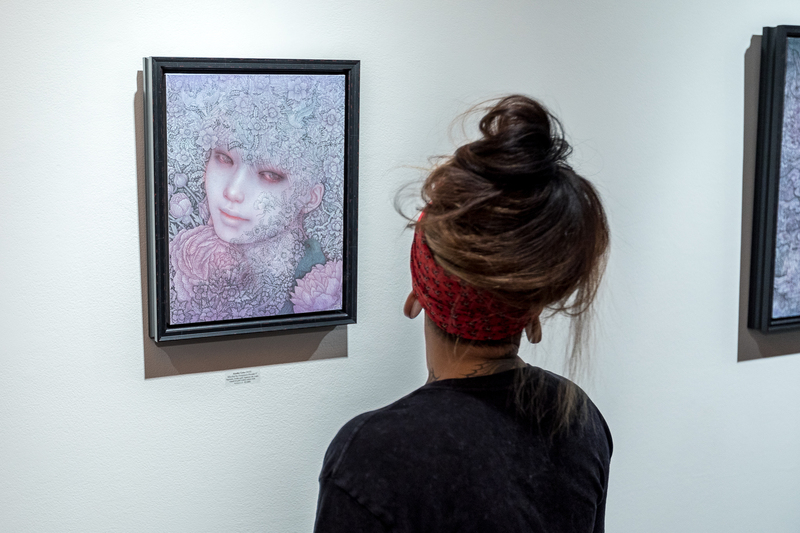 JL: Finding inspiration and watching the composition emerge. 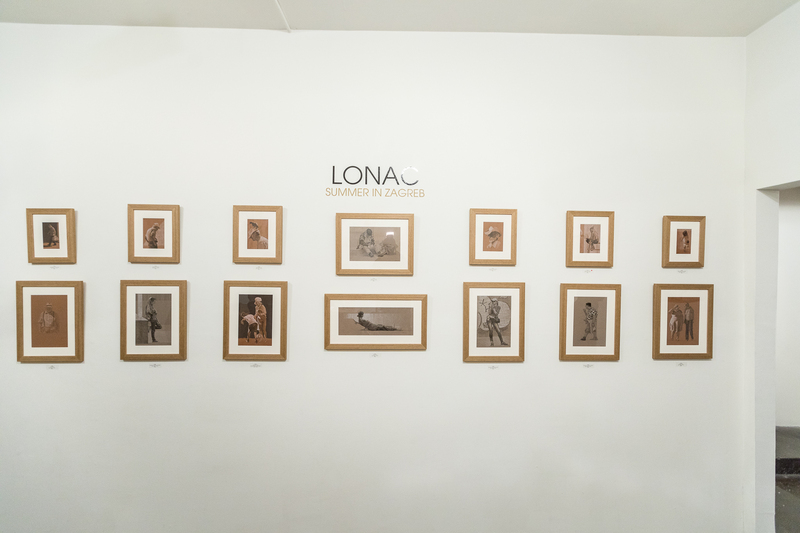 JL: When the idea and image of my art is not clear. 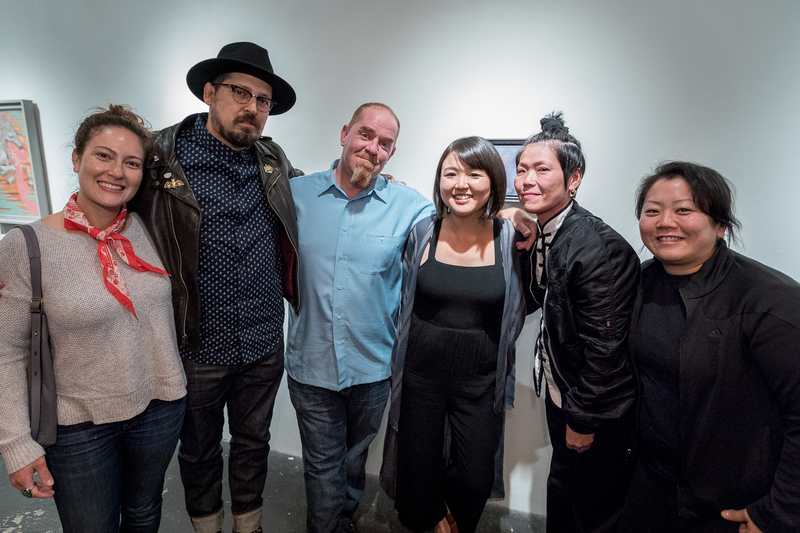 JL: All arts are a dream collaboration. 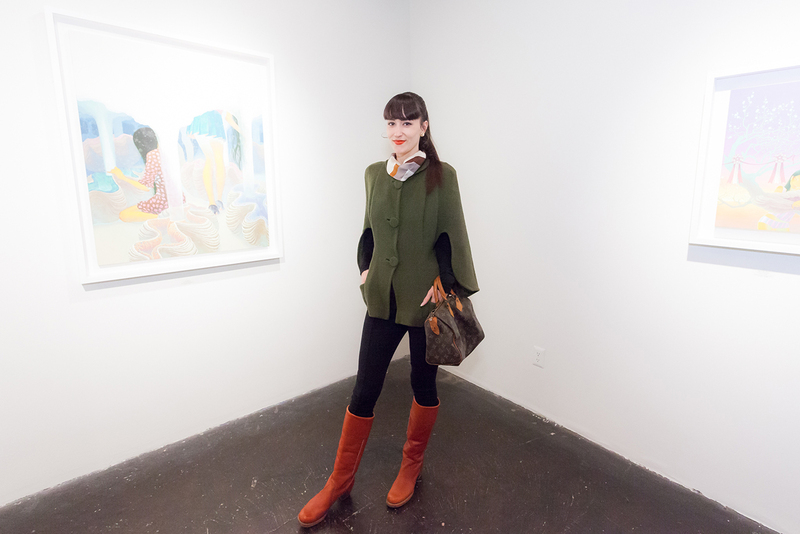 I’d enjoy collaborating with music, movies, theater, fashion, and other fields. 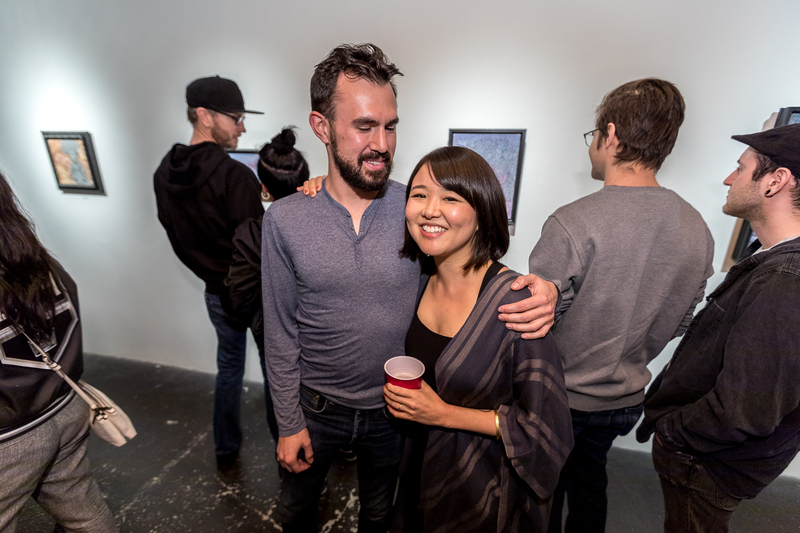 I am also interested in my artwork being used in media art and technology. 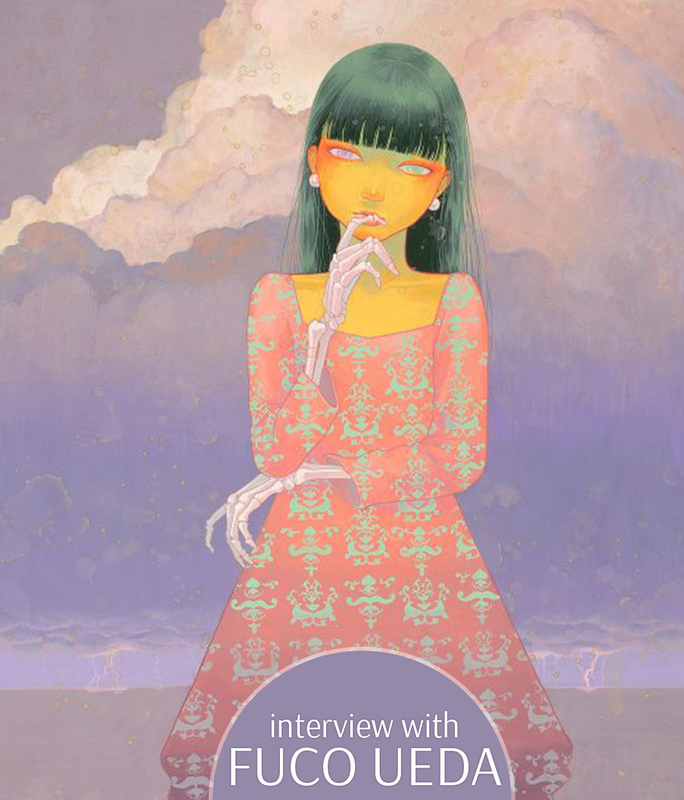 JL: I have been influenced by Japanese literature since I was a child. 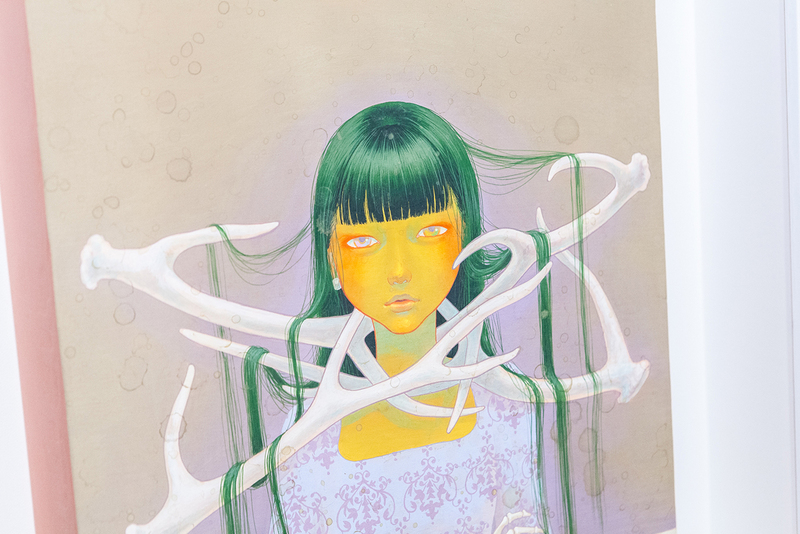 In addition, I’ve also been influenced by vintage Japanese comics, especially those made for the 1970s girl in Japan. 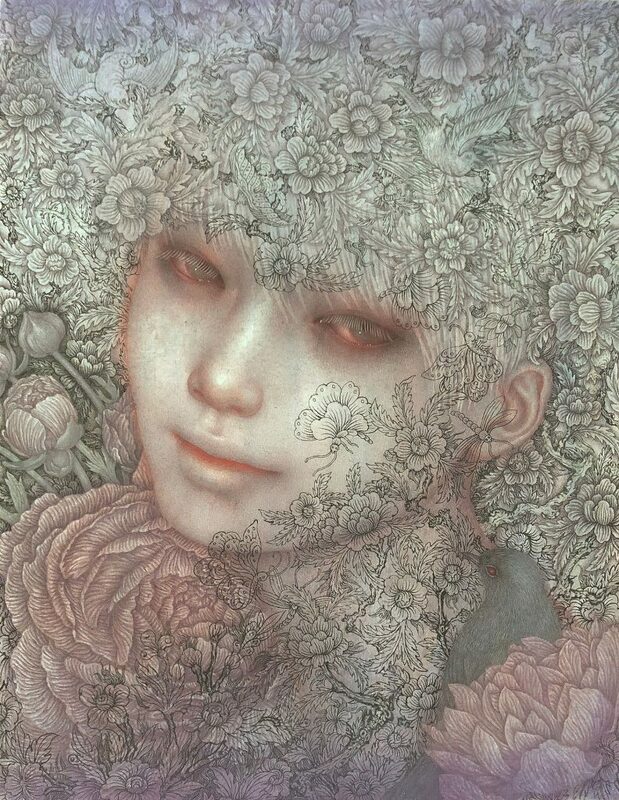 At that time, it was an unconventional media showing cultural movements including SF, fantasy and homosexual elements, it had innovative content. 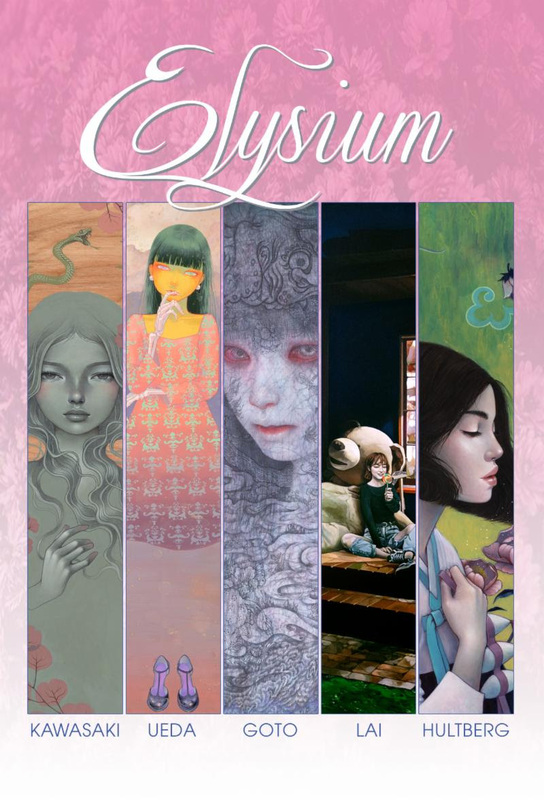 The new female image was nurtured in those comics. 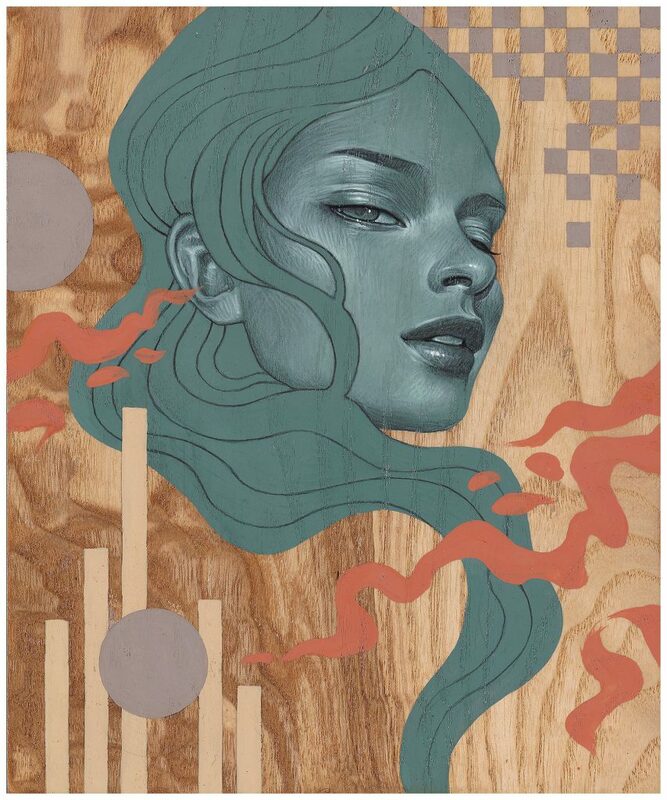 JL: I put a canvas of cloth on a wooden panel, it has a painted base. 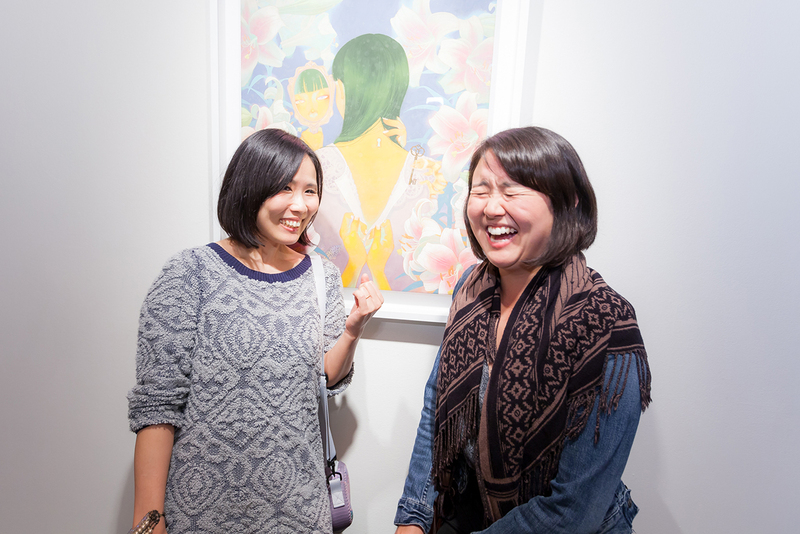 This is a traditional white paint raw materials of Japan Gofun (shell powder) is also crowded mix. 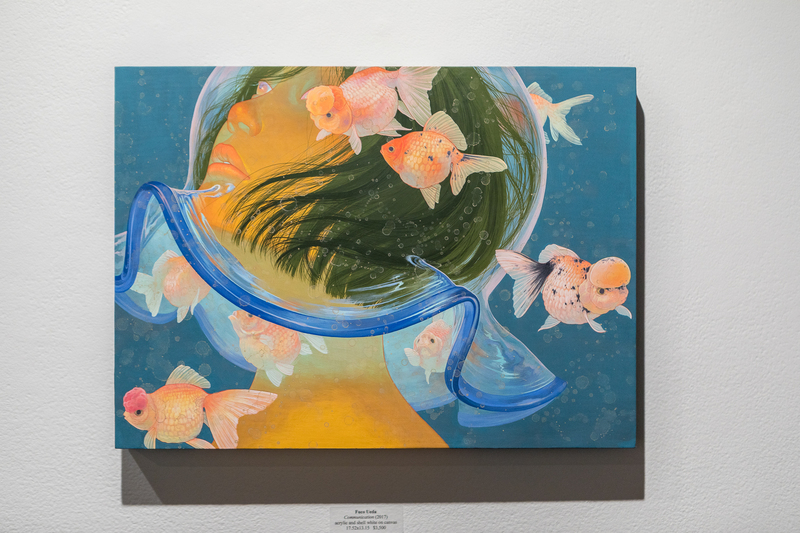 I paint with acrylic paint. 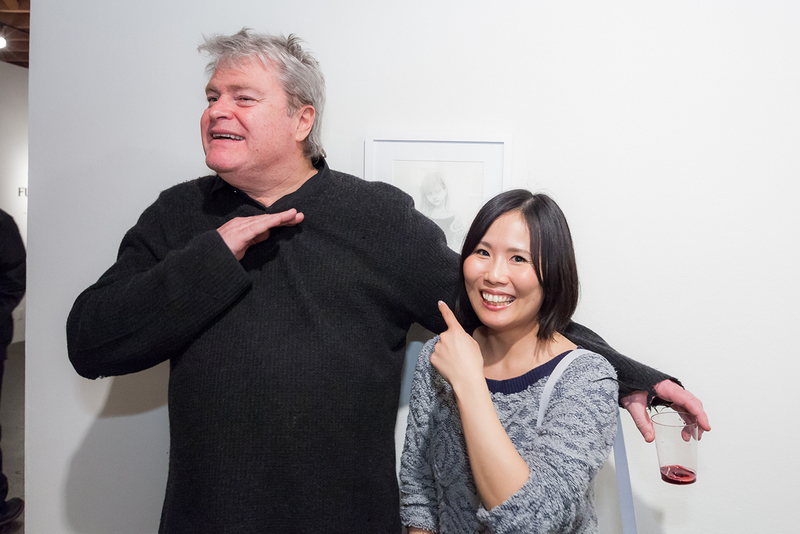 JL: From this year, I became a teacher at a certain Art University in Tokyo, I enjoy those class. 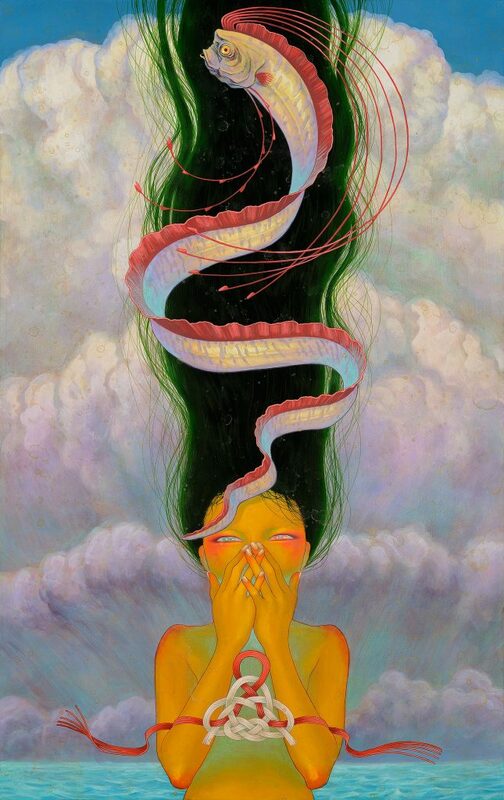 That is the University of my alma mater. 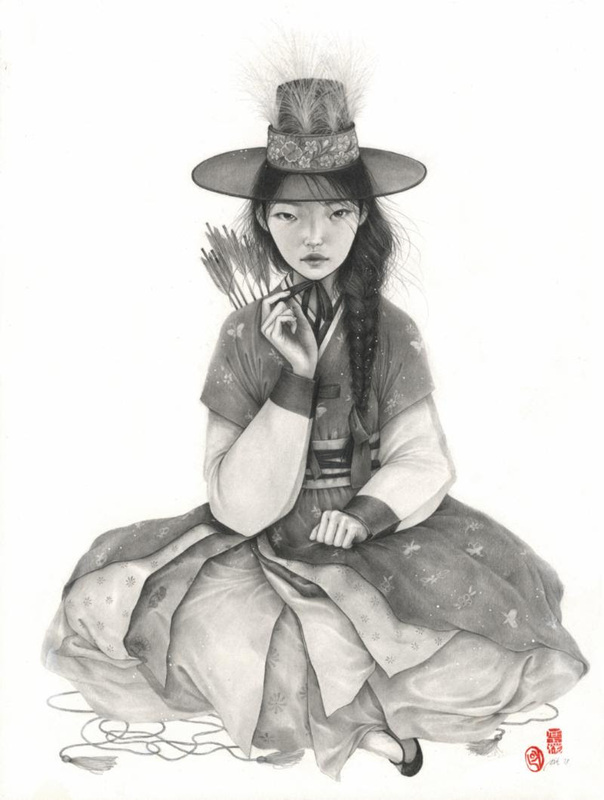 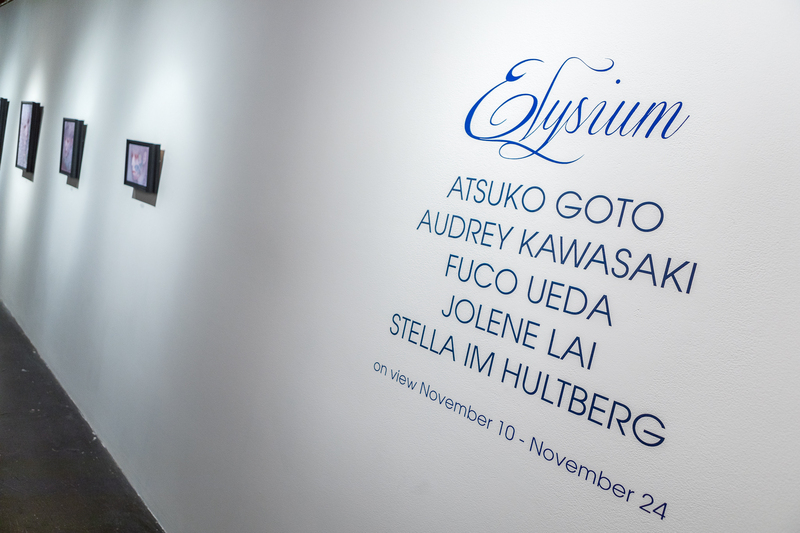 SH: In one or two words, tell us something that you really like or resonates with you about the work of each artist in Elysium. 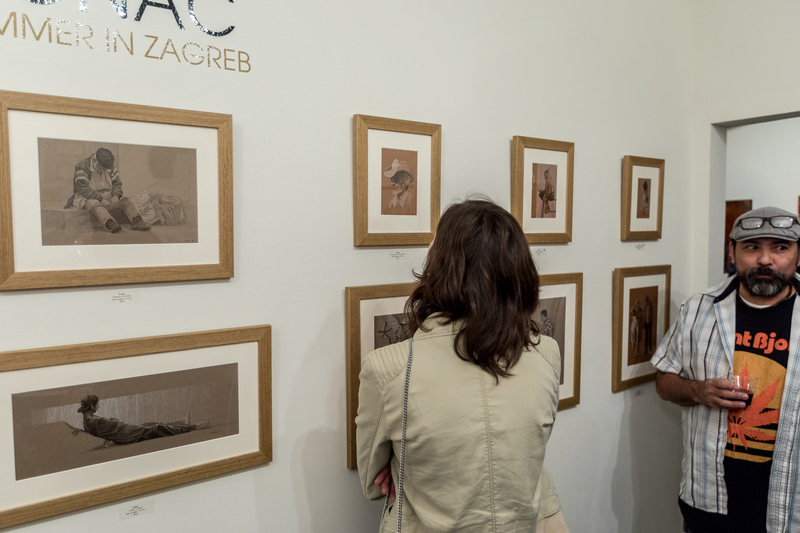 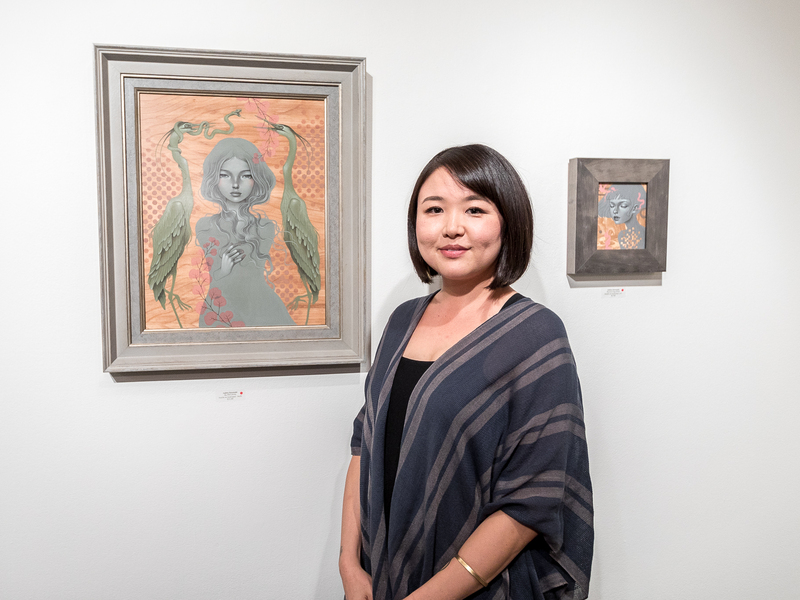 JL: I have not been able to see the exhibits of other artists yet. 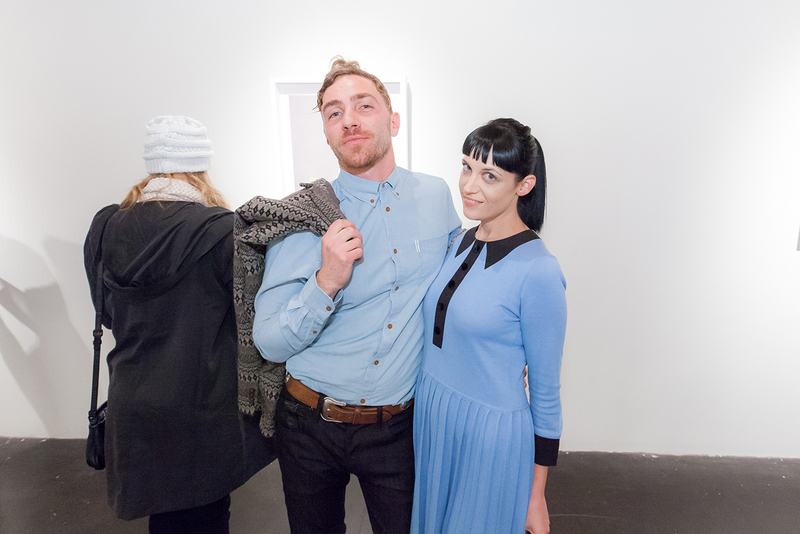 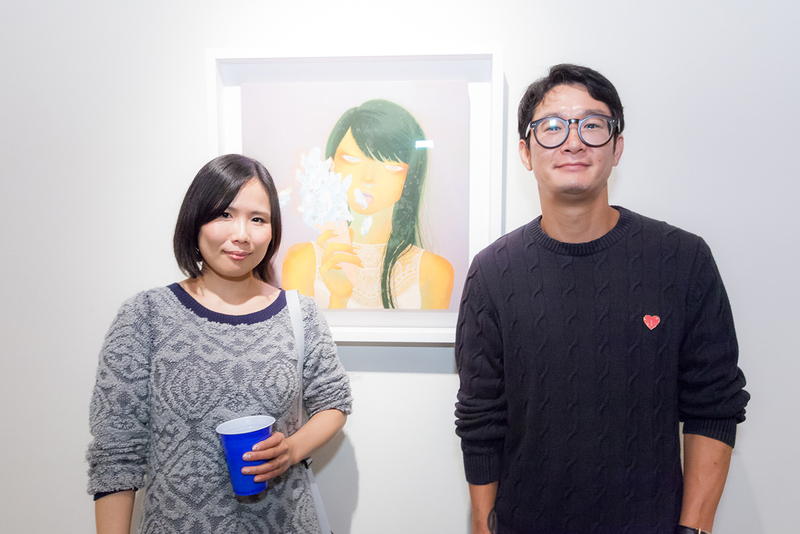 However, I think that it is surely a wonderful group show. 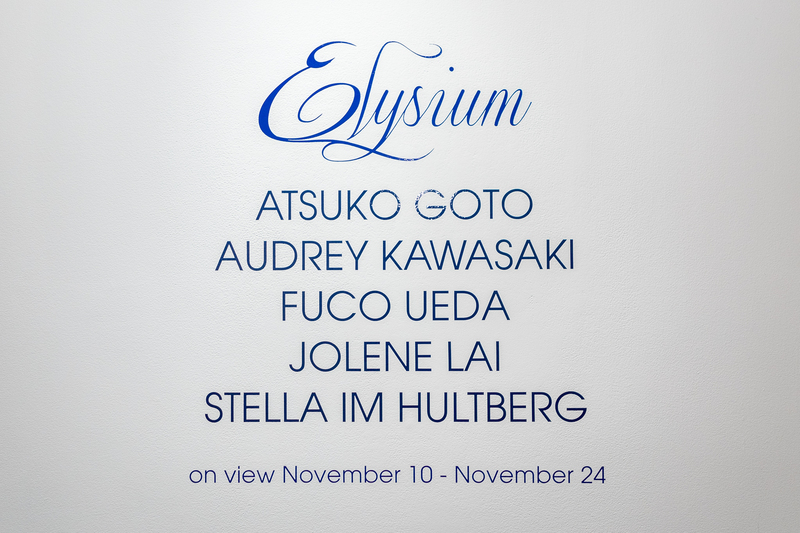 I am planning to go to LA at the opening, so I’m looking forward to seeing the exhibits. 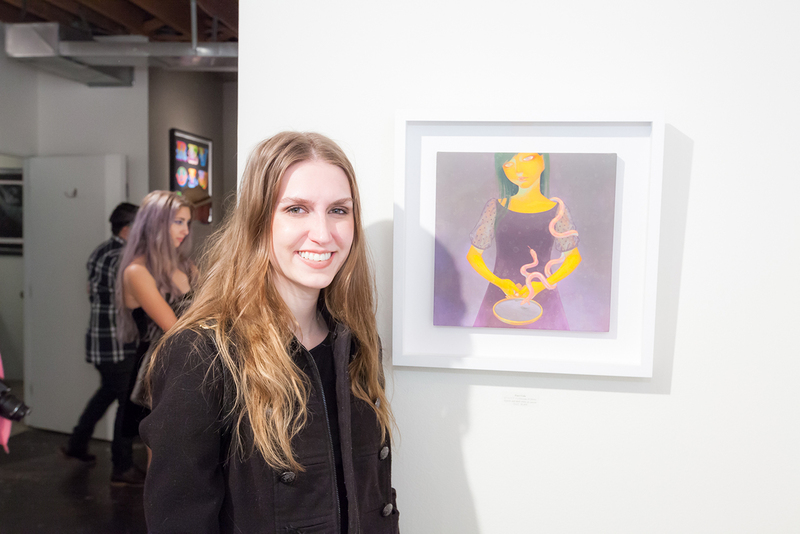 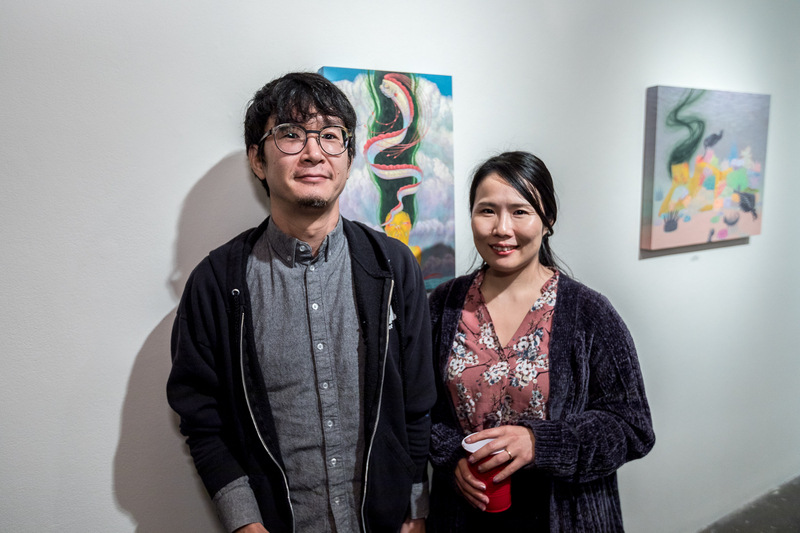 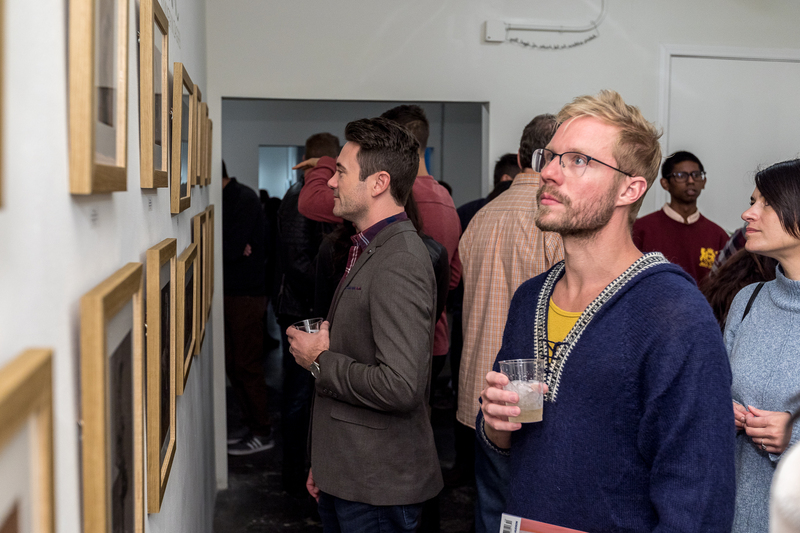 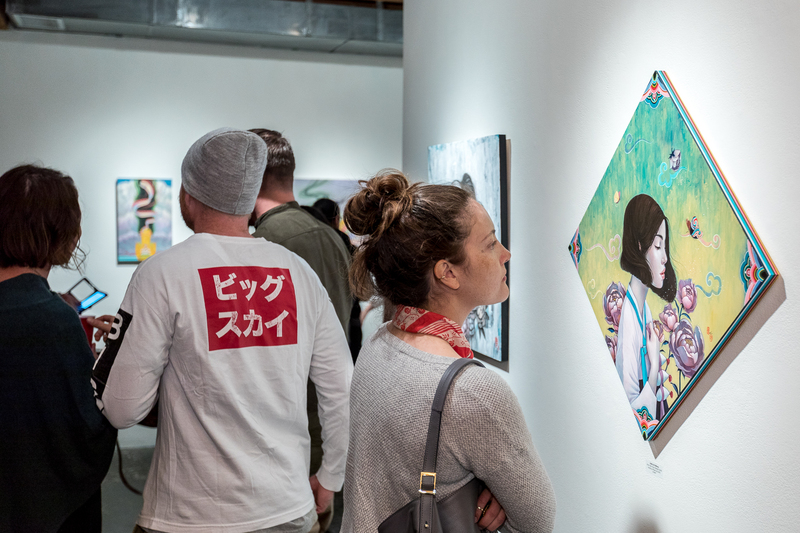 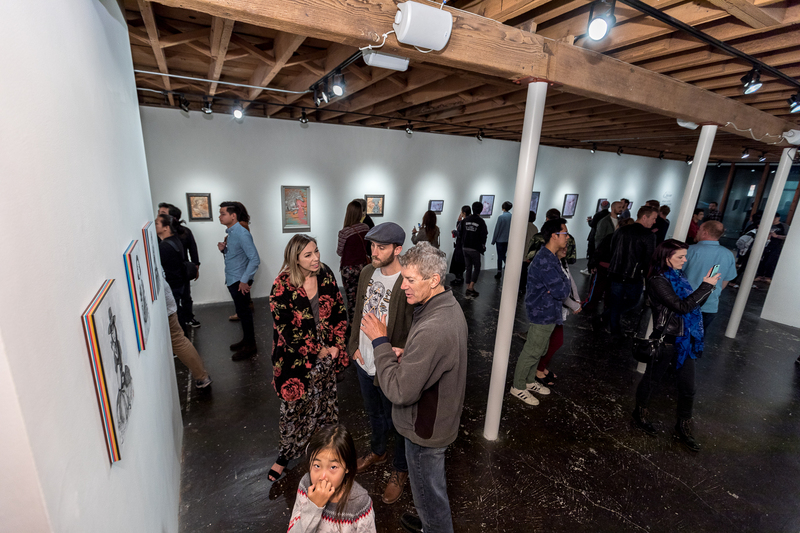 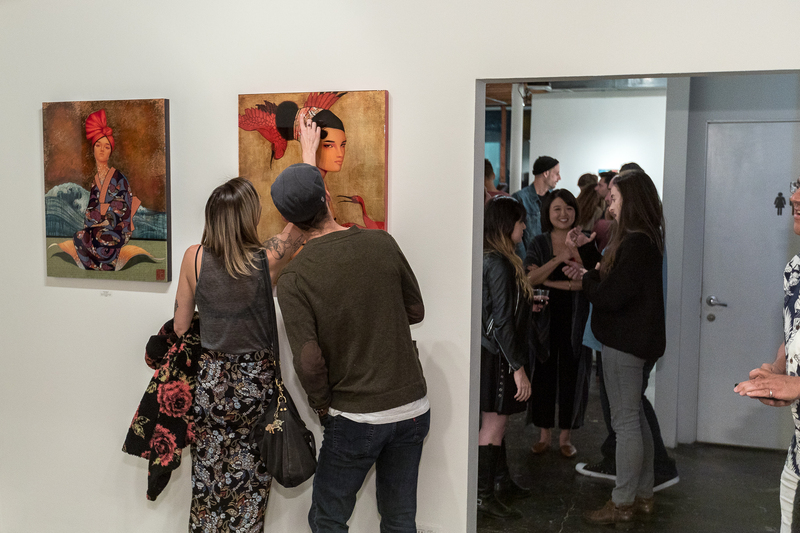 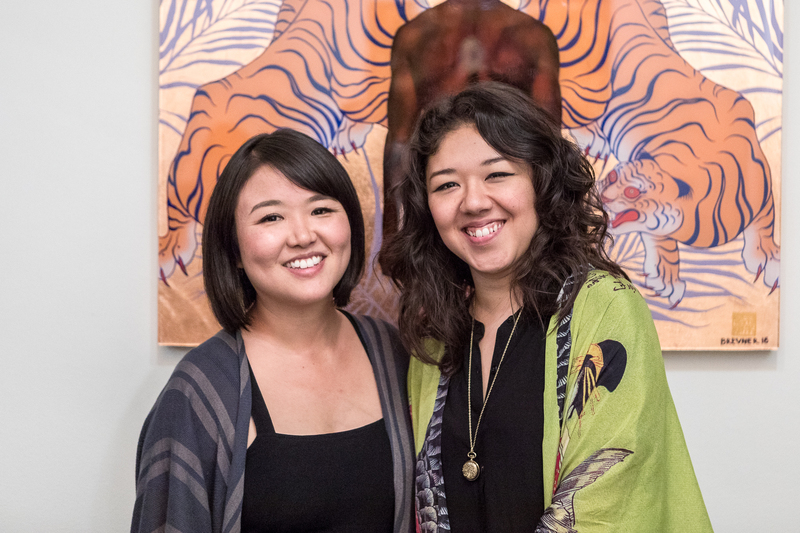 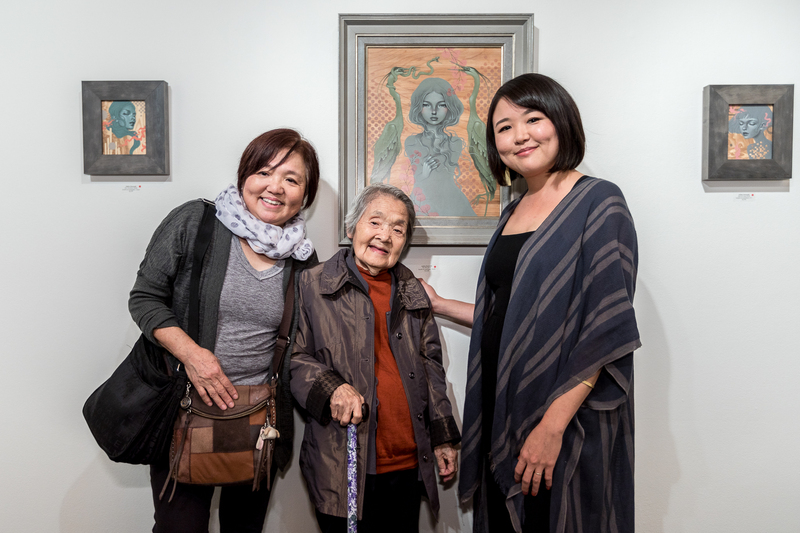 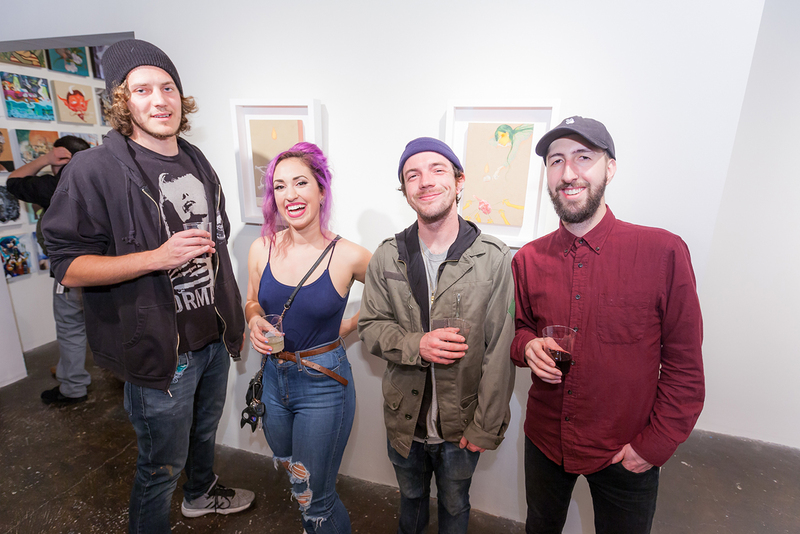 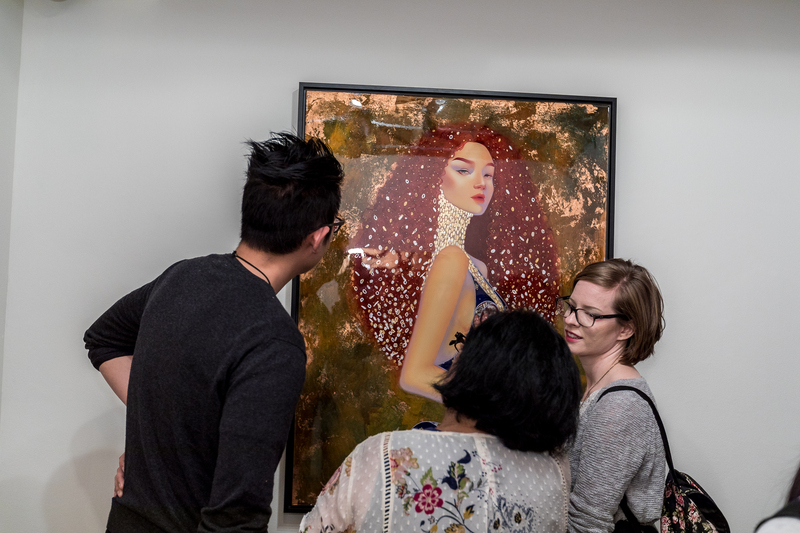 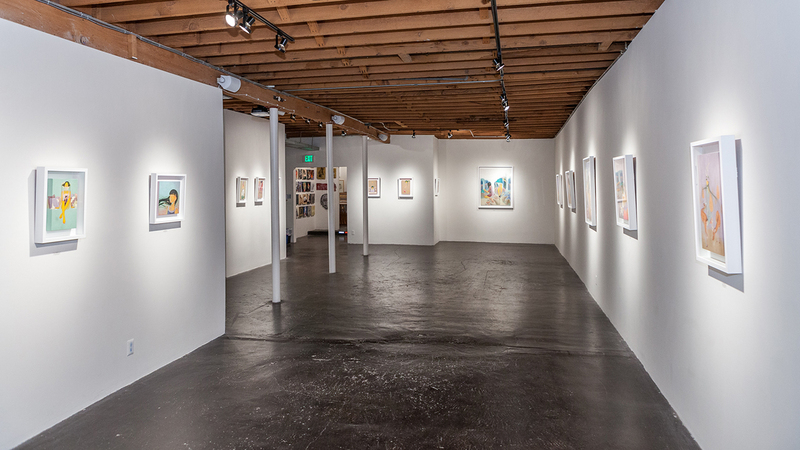 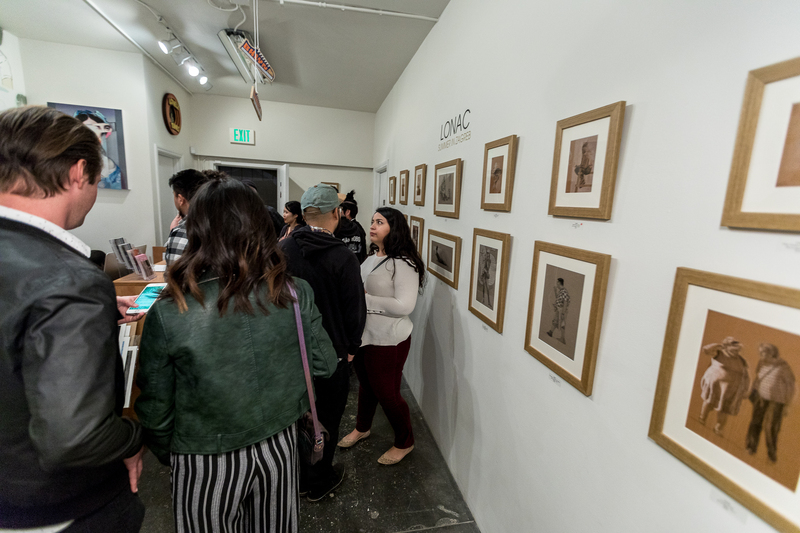 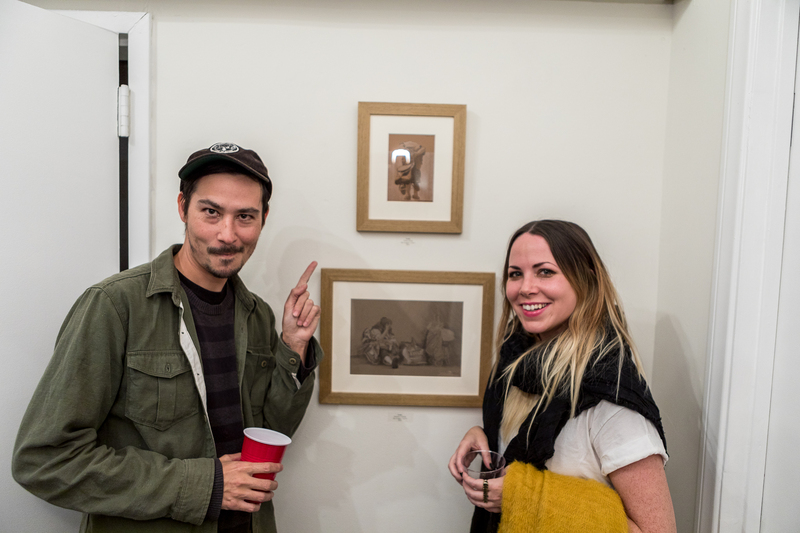 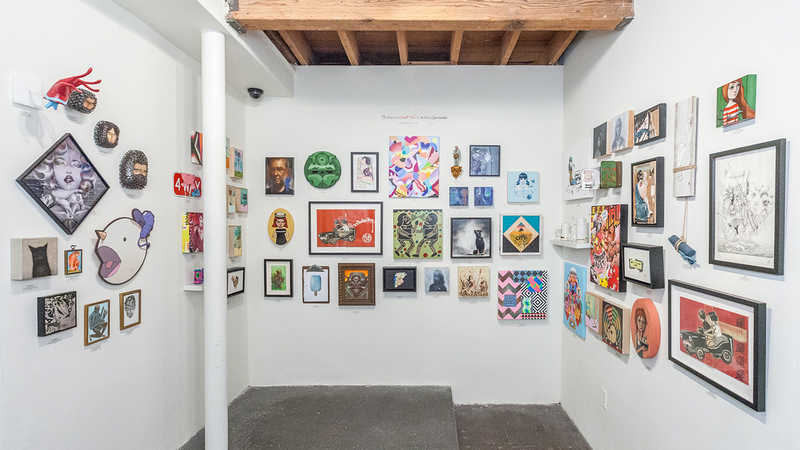 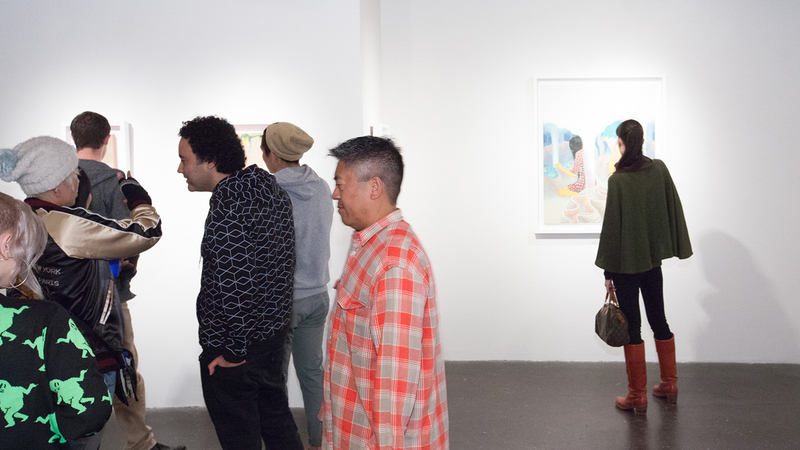 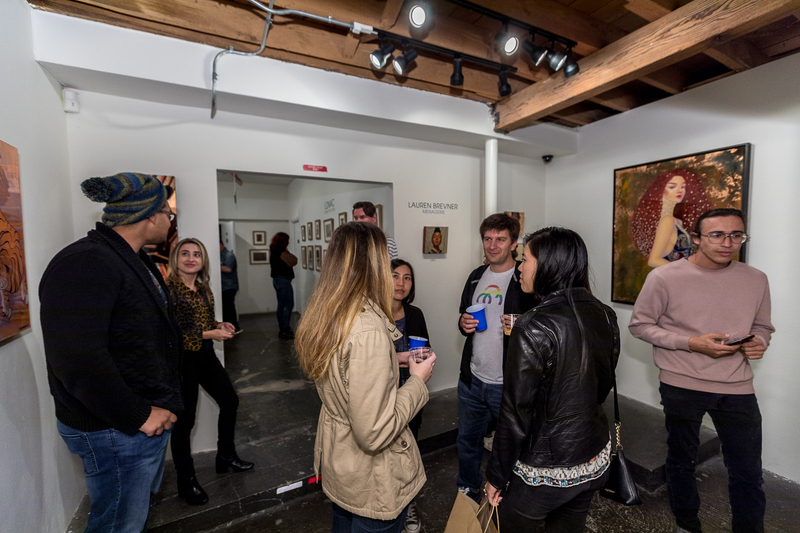 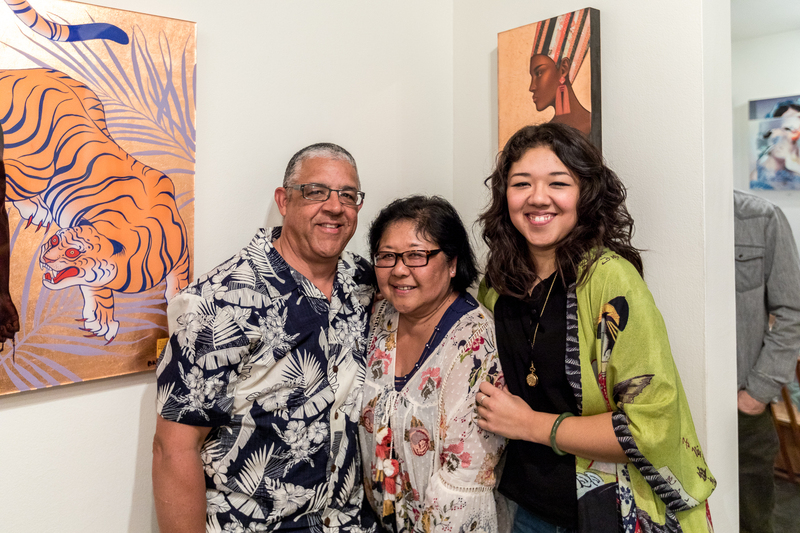 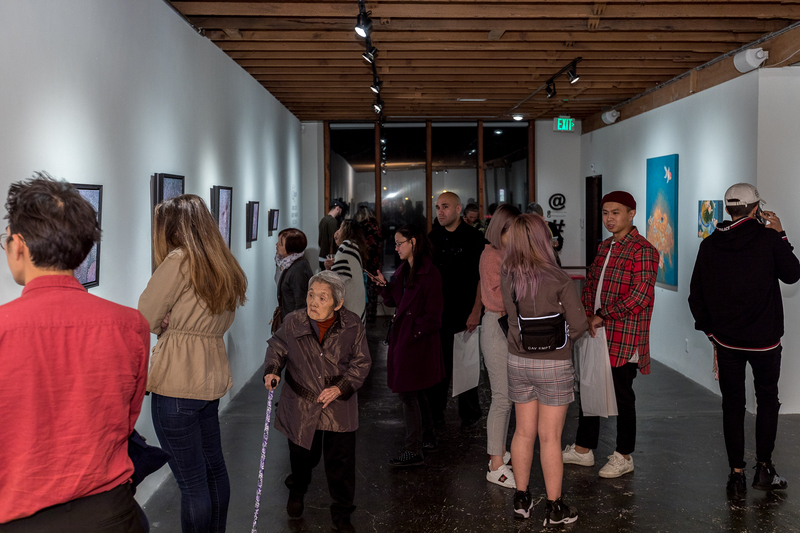 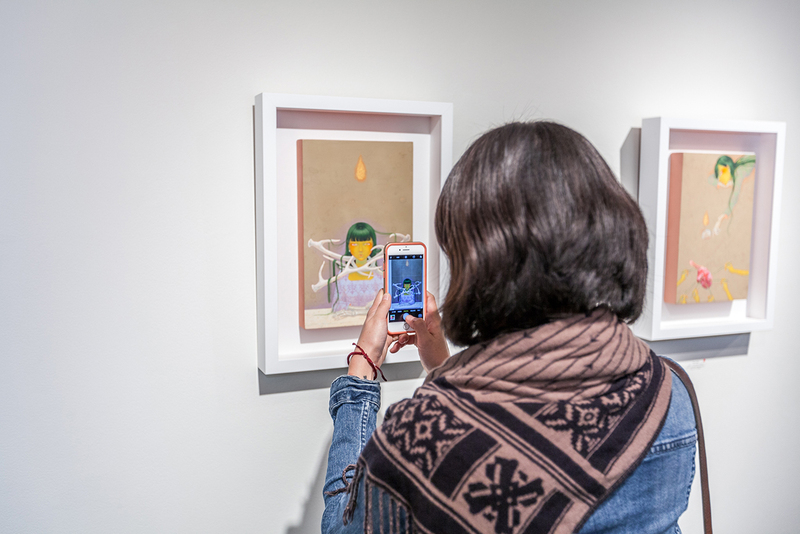 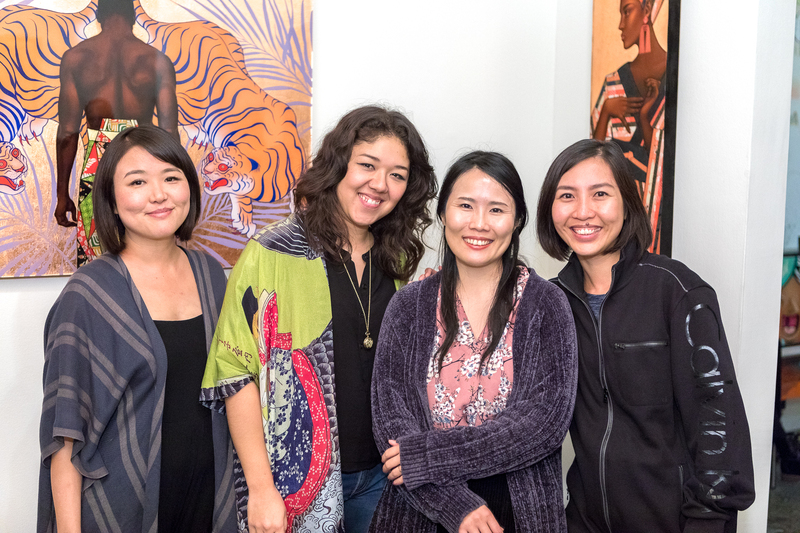 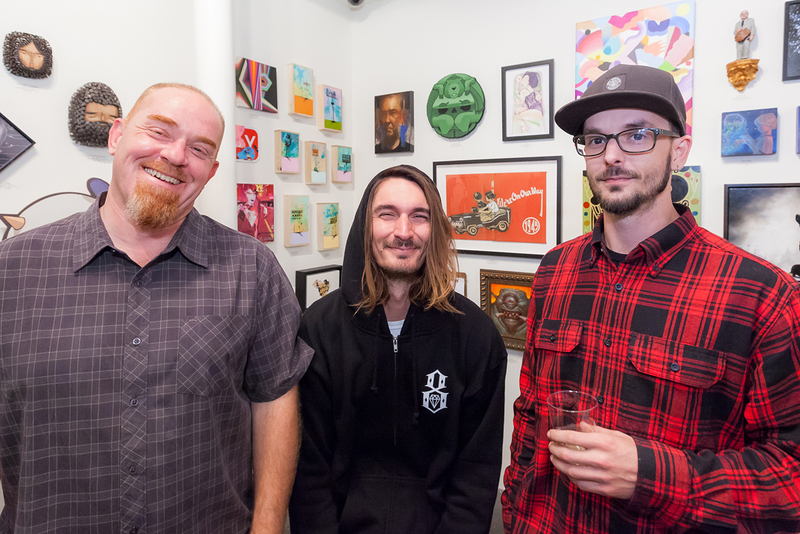 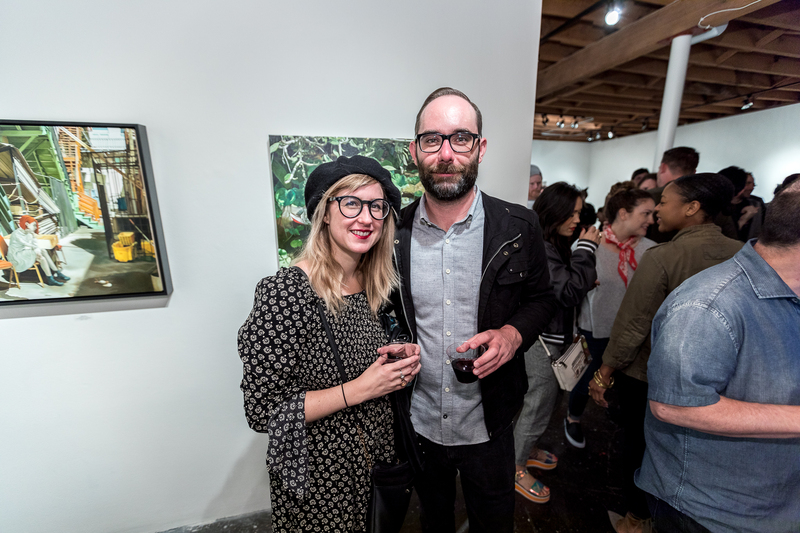 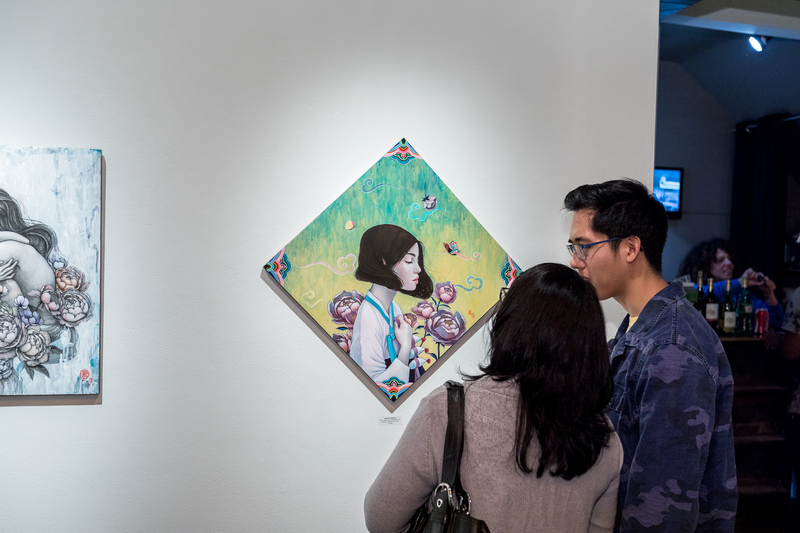 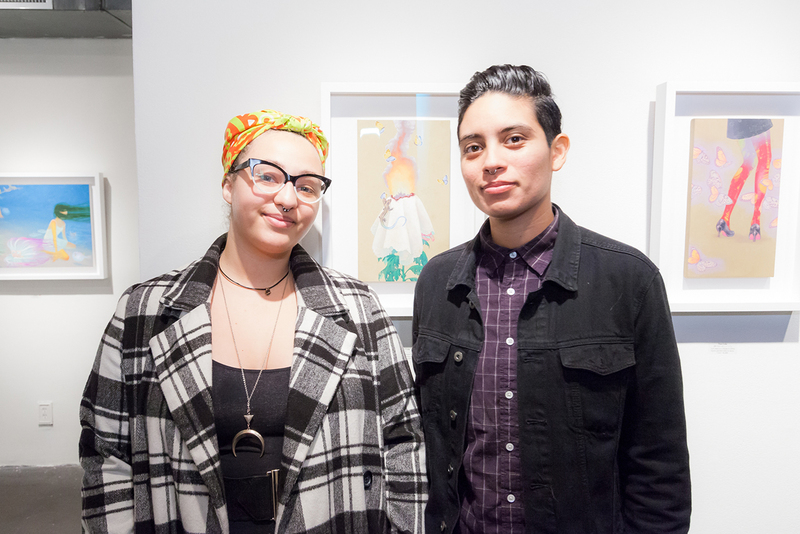 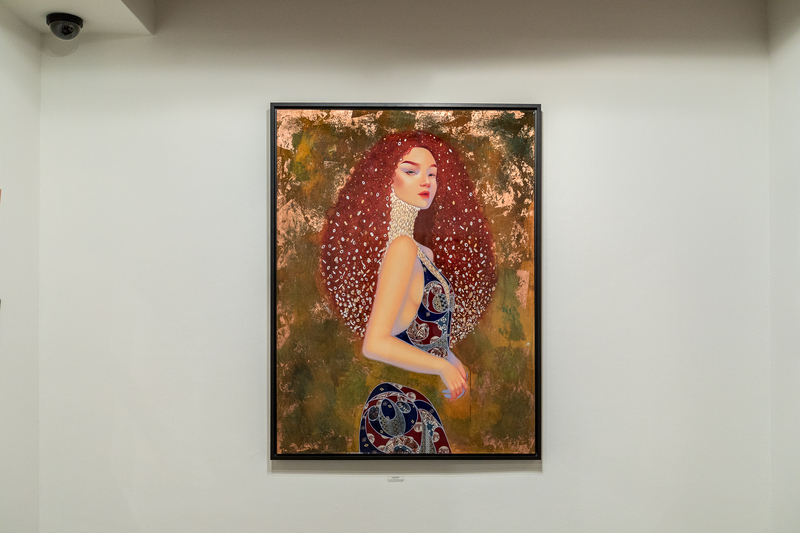 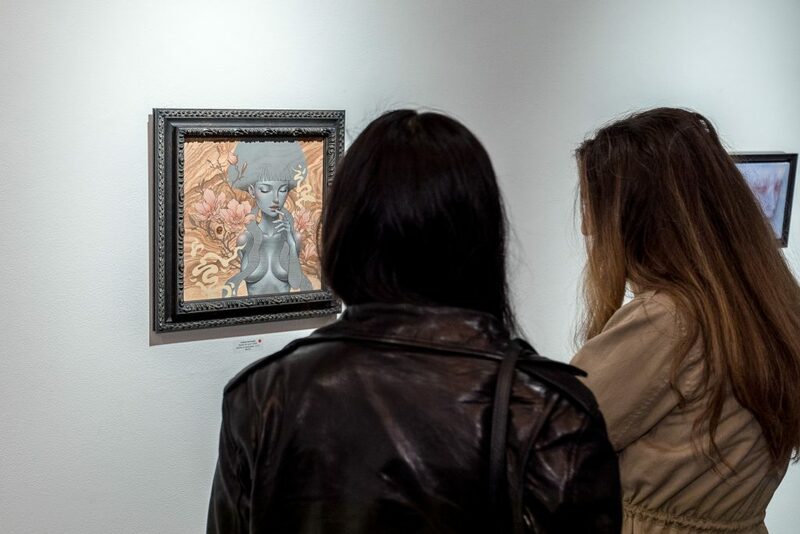 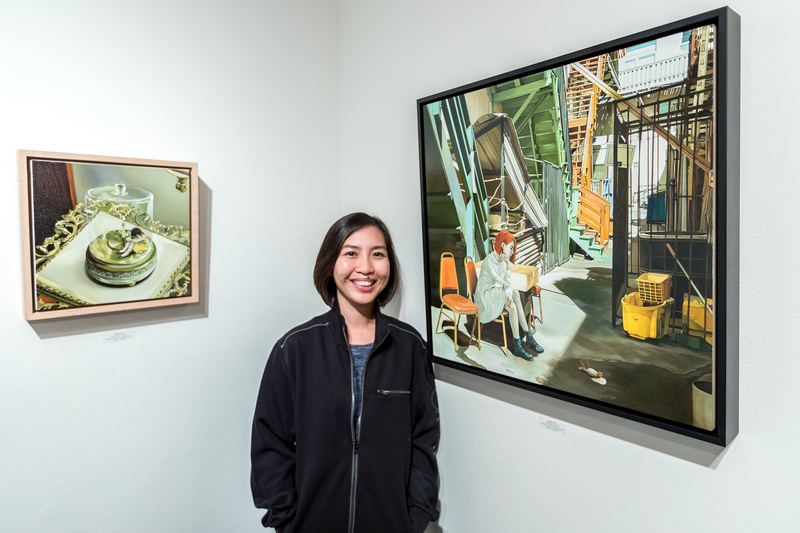 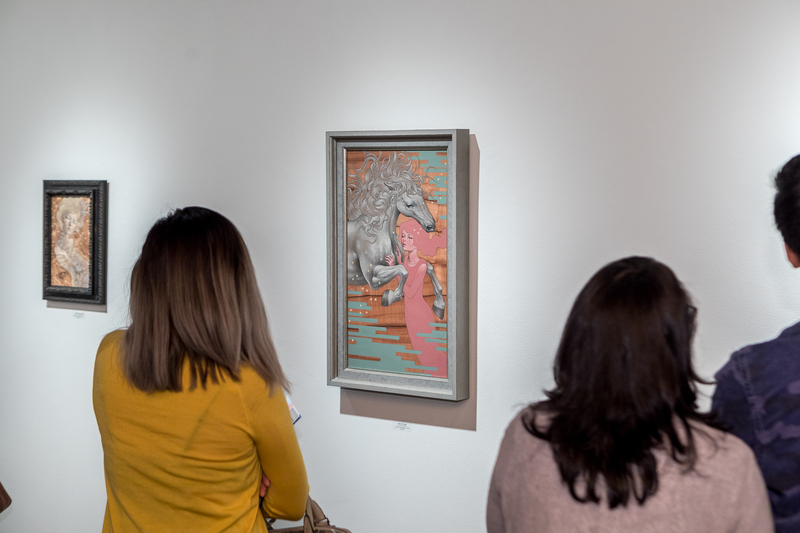 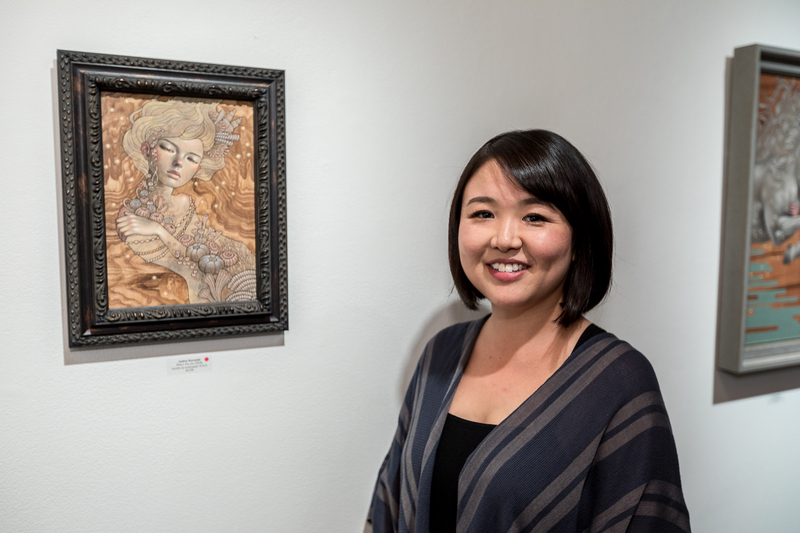 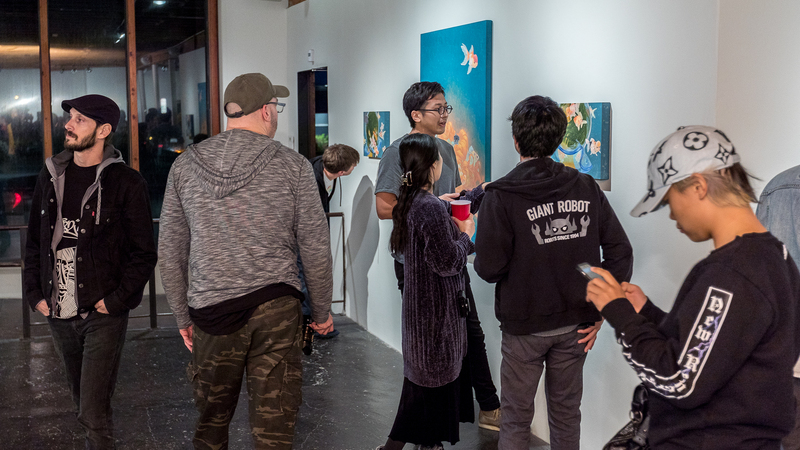 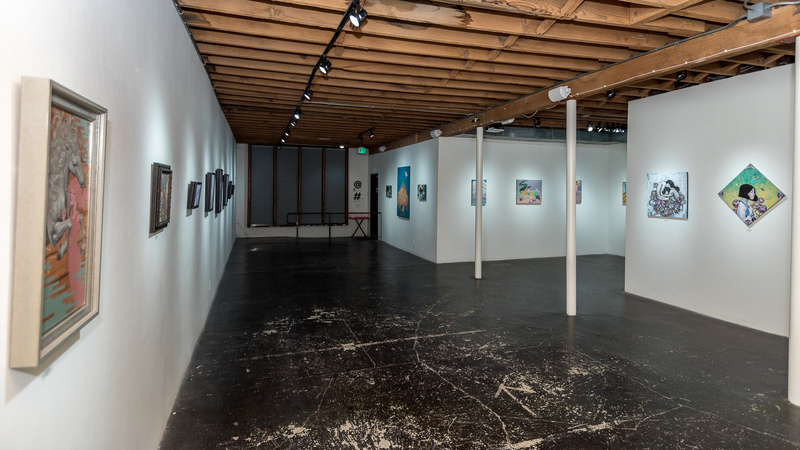 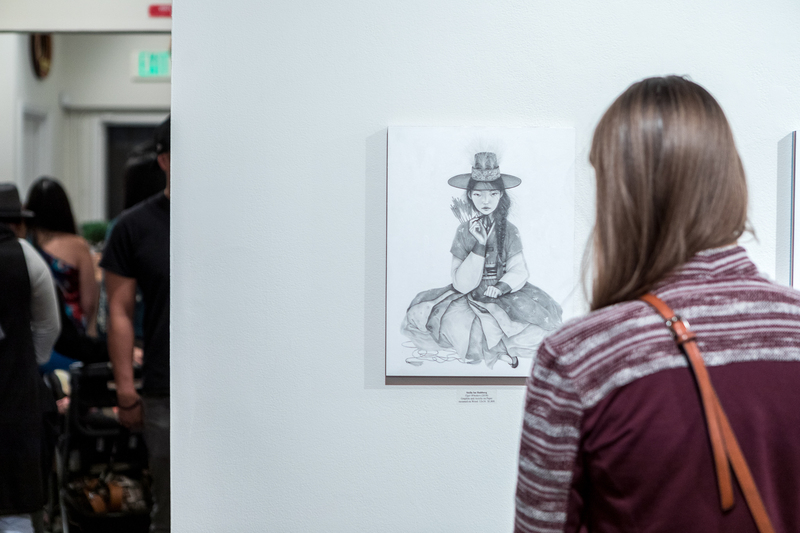 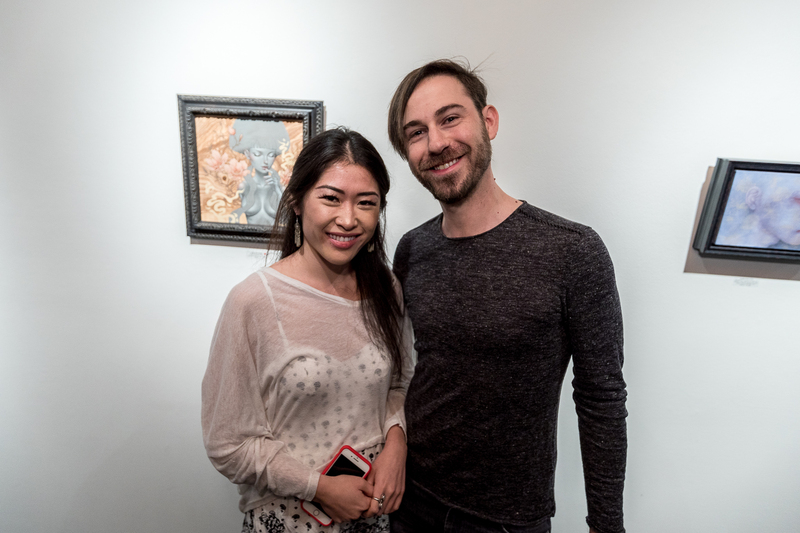 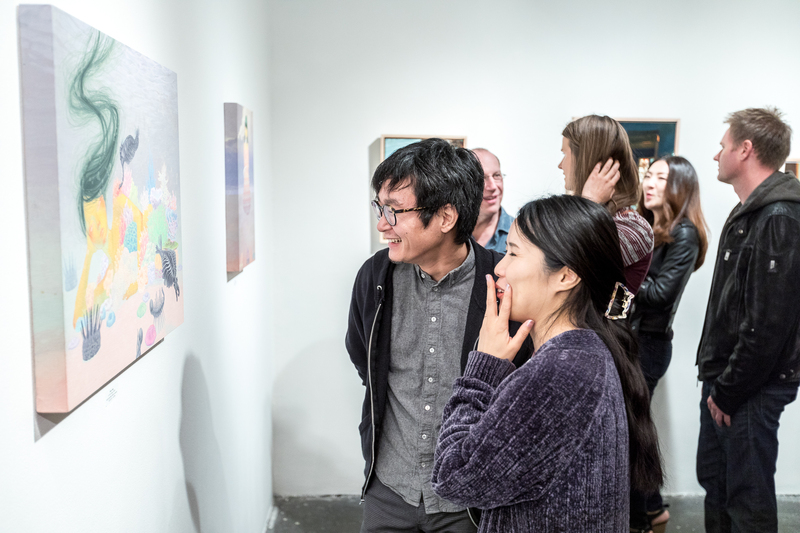 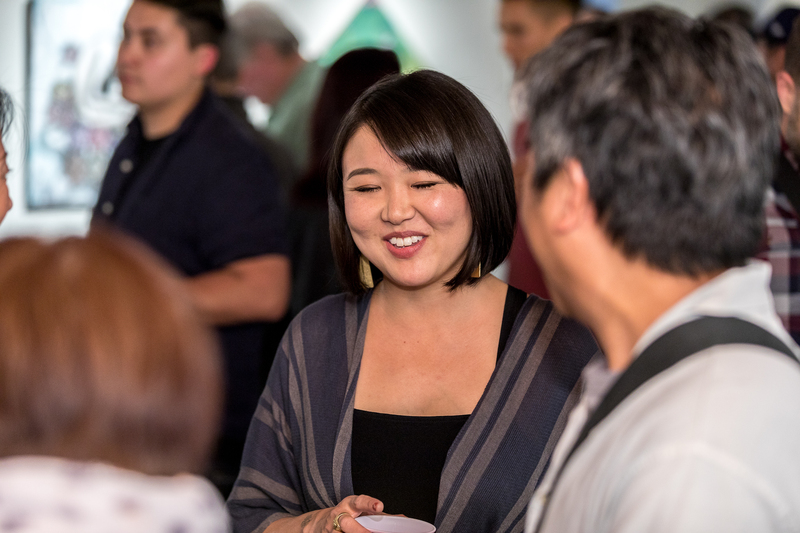 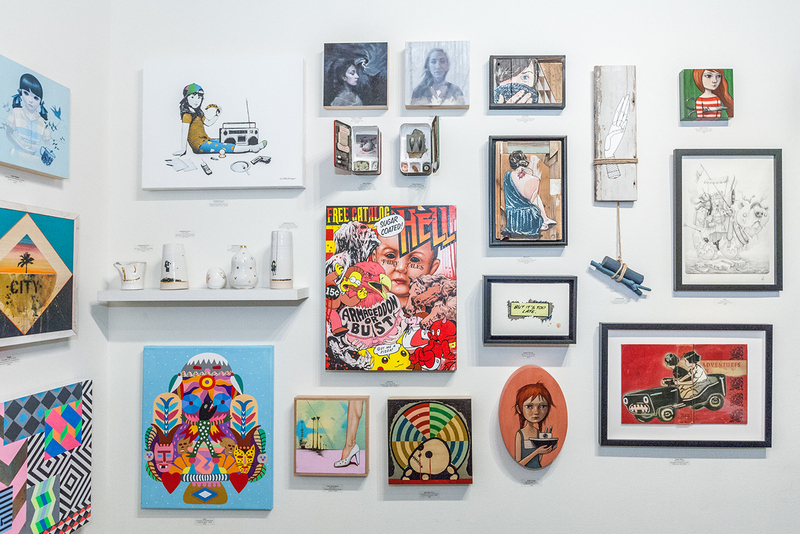 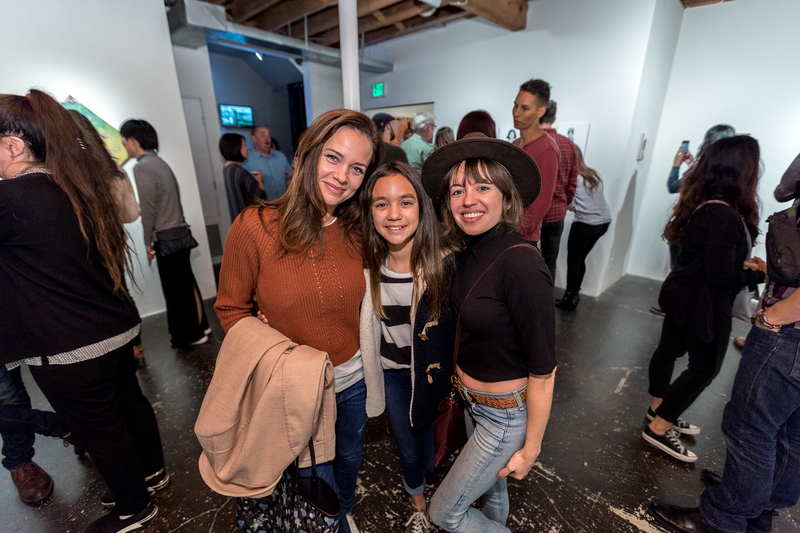 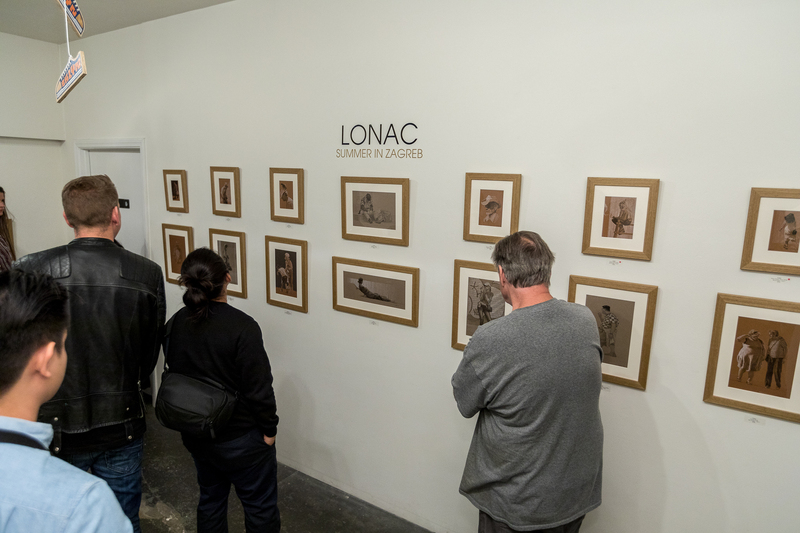 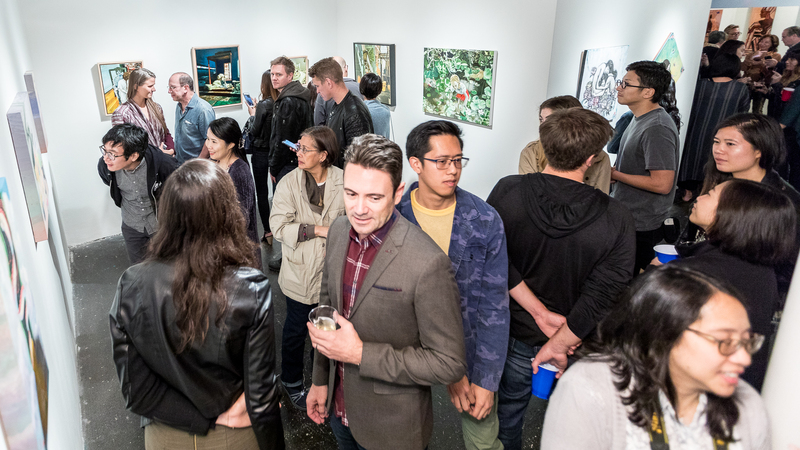 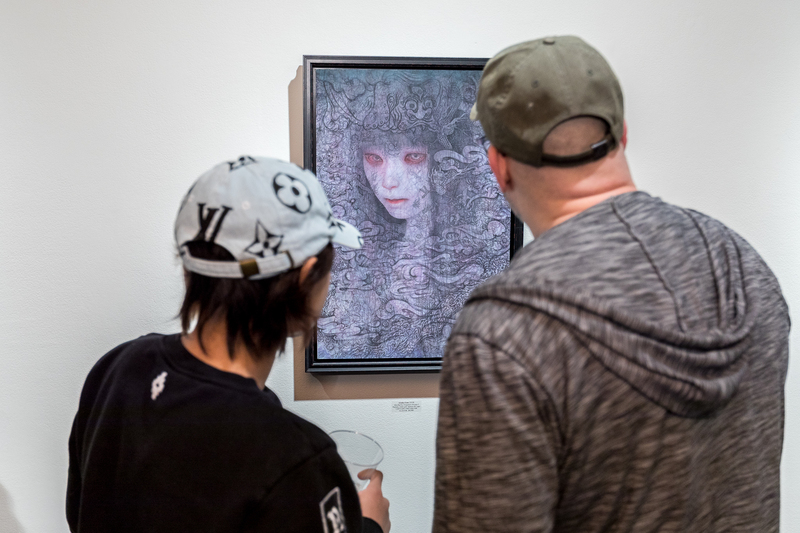 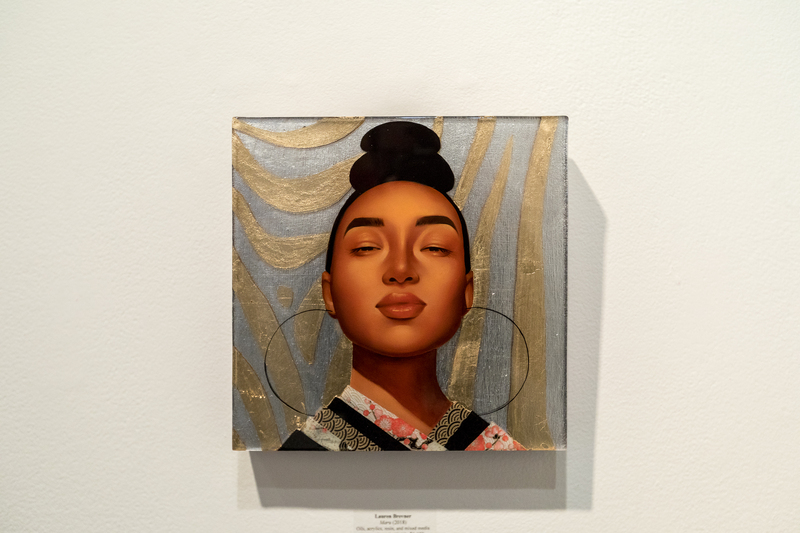 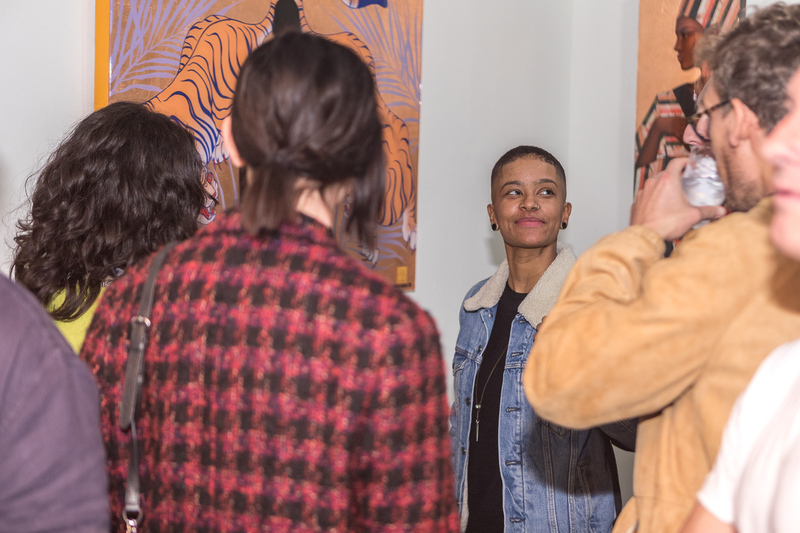 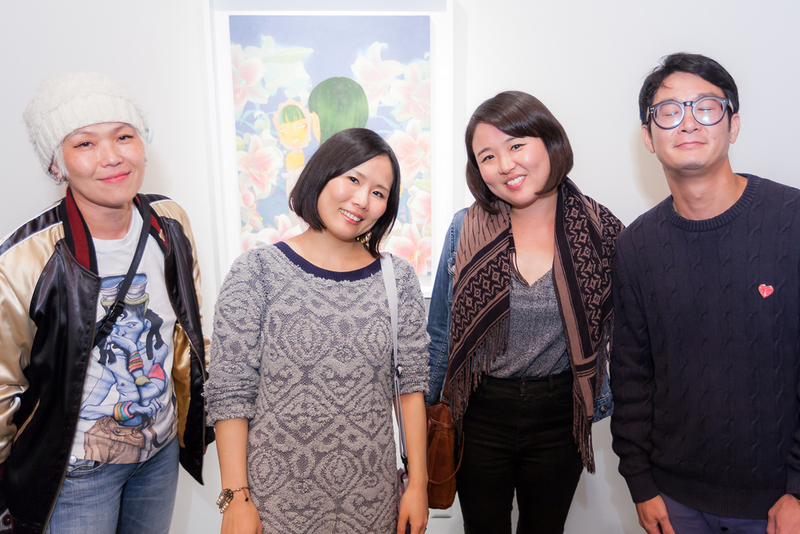 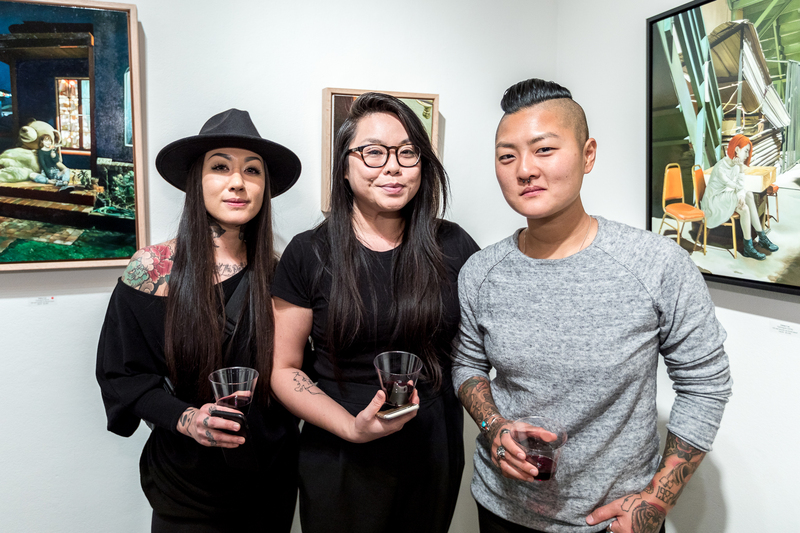 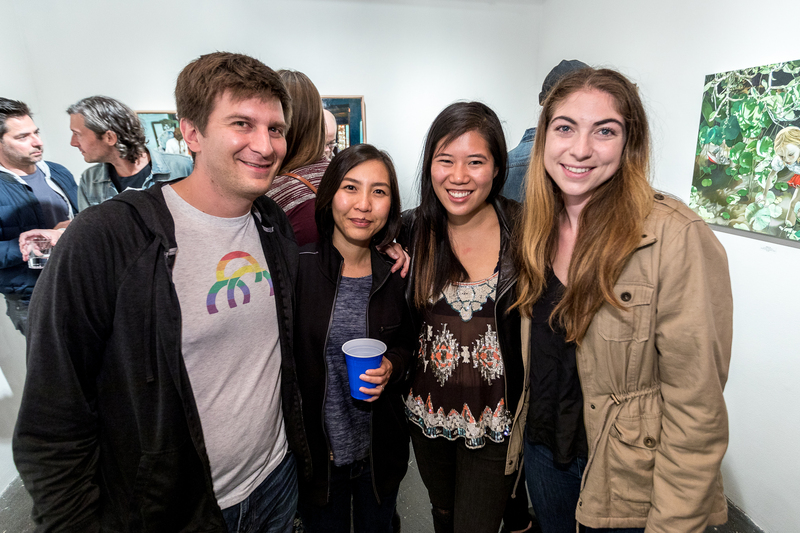 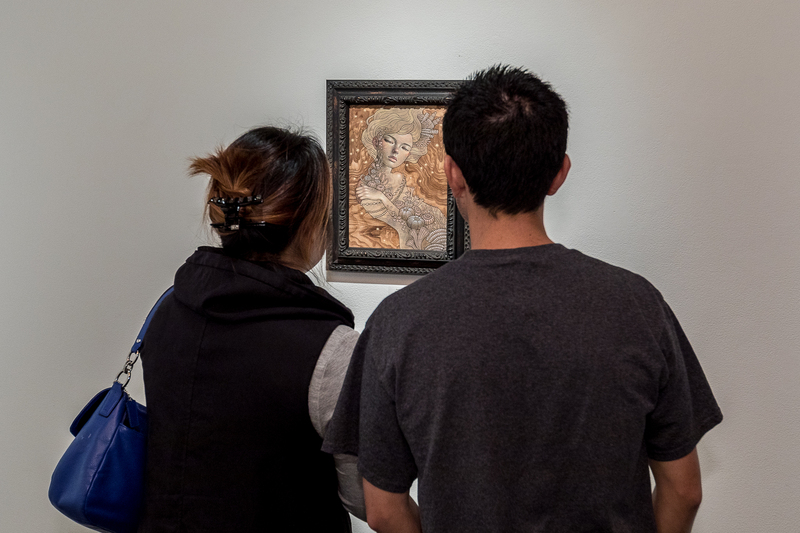 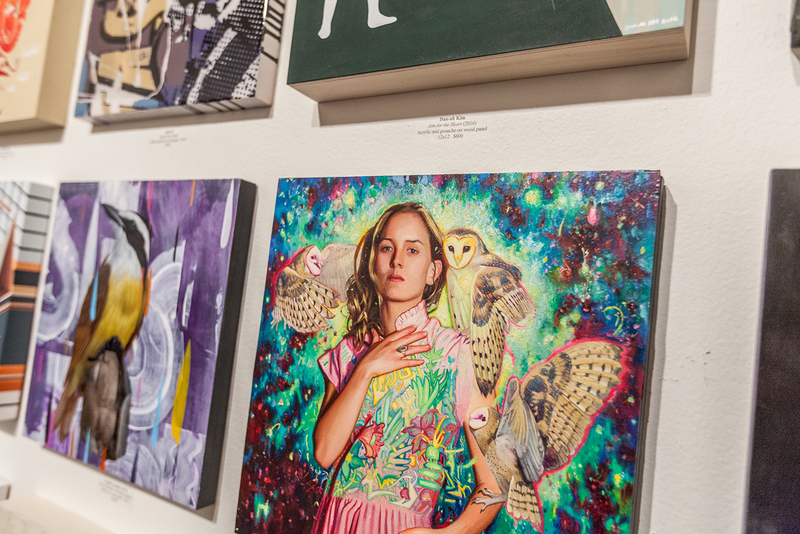 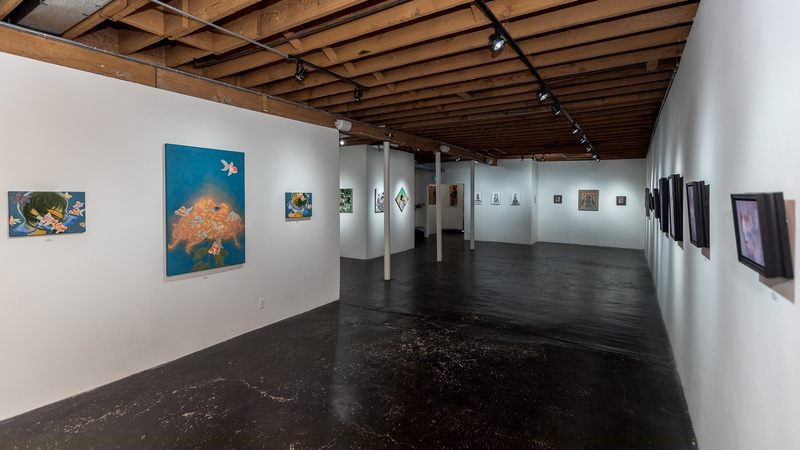 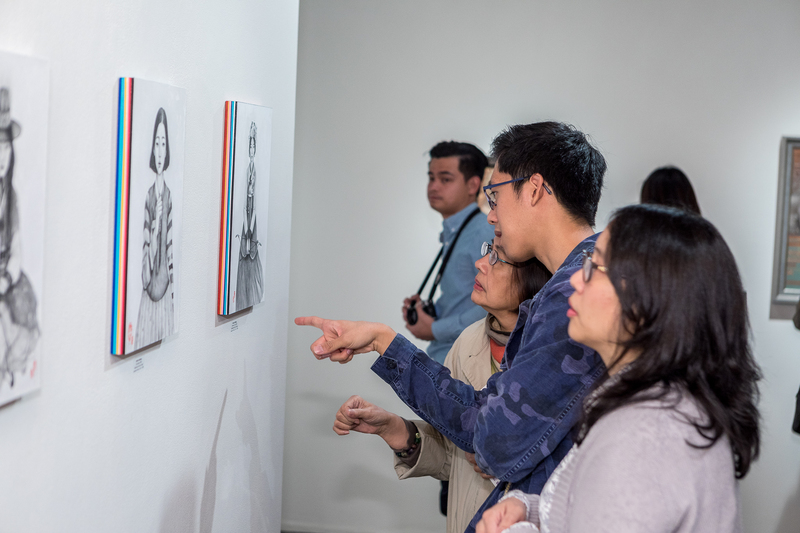 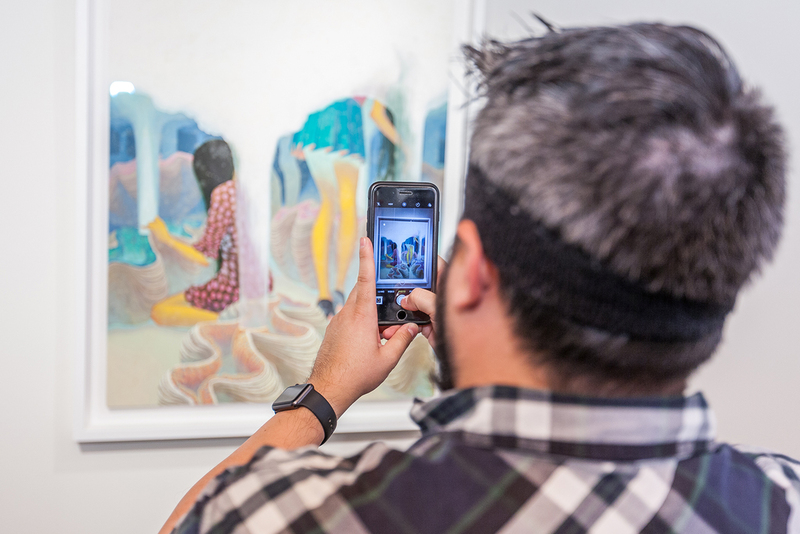 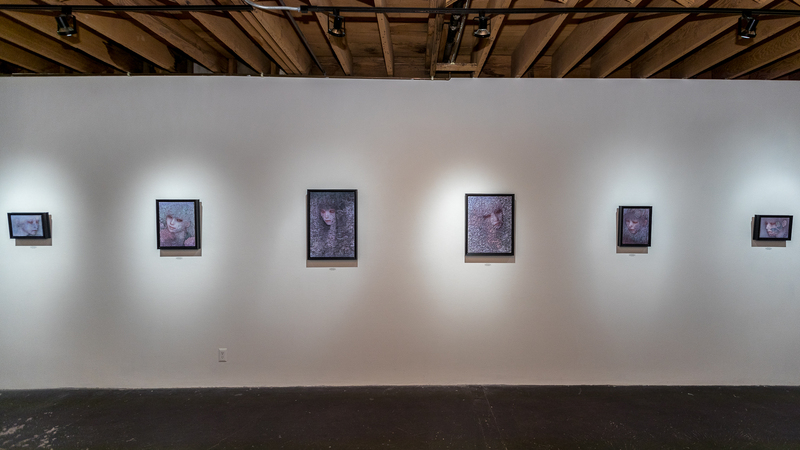 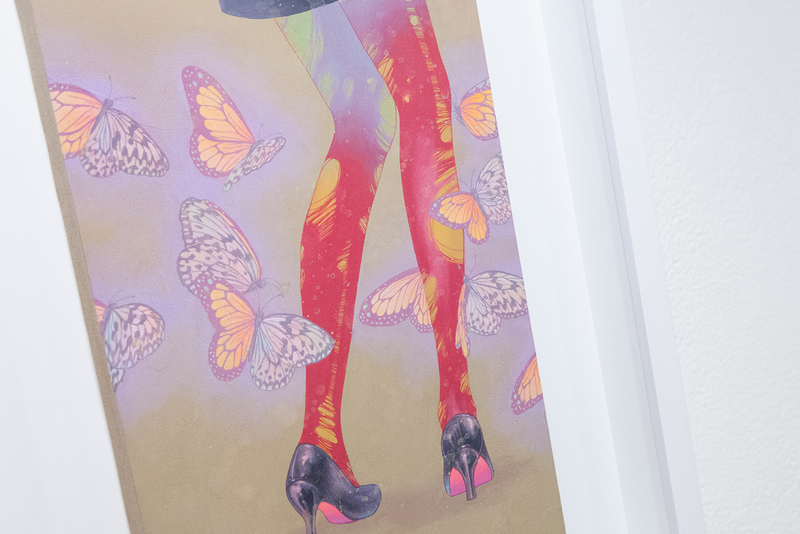 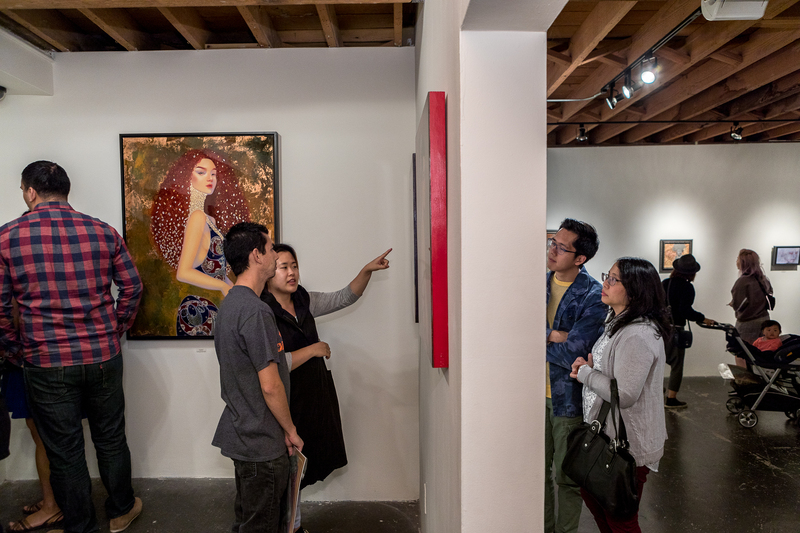 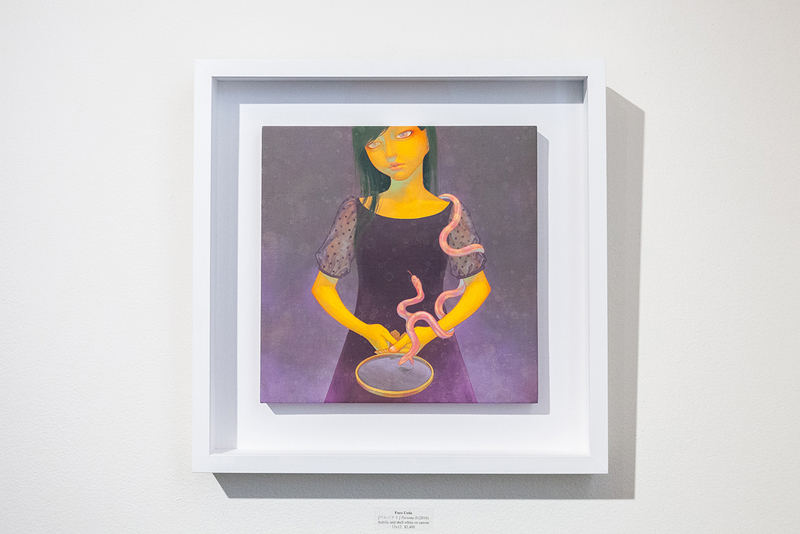 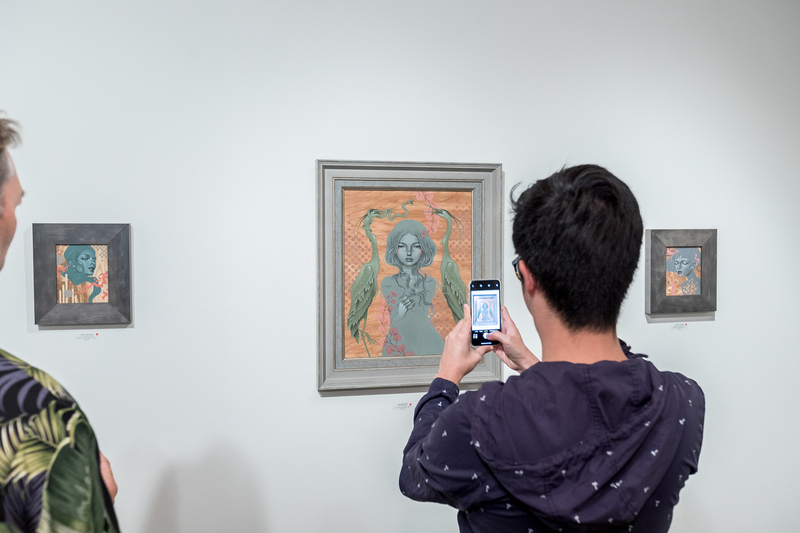 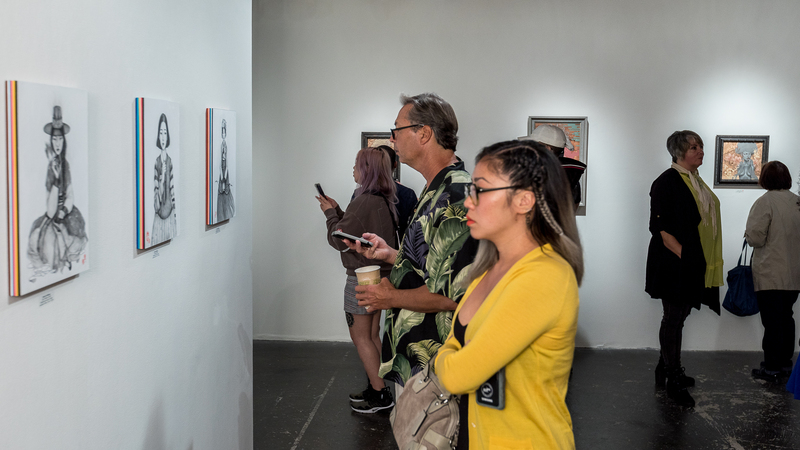 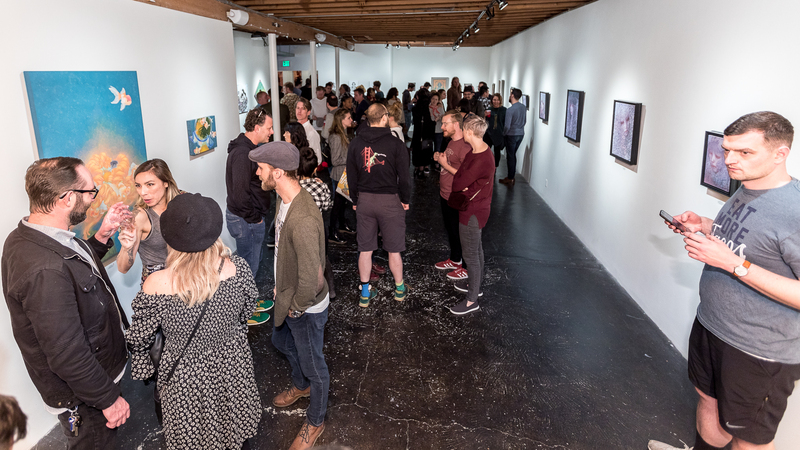 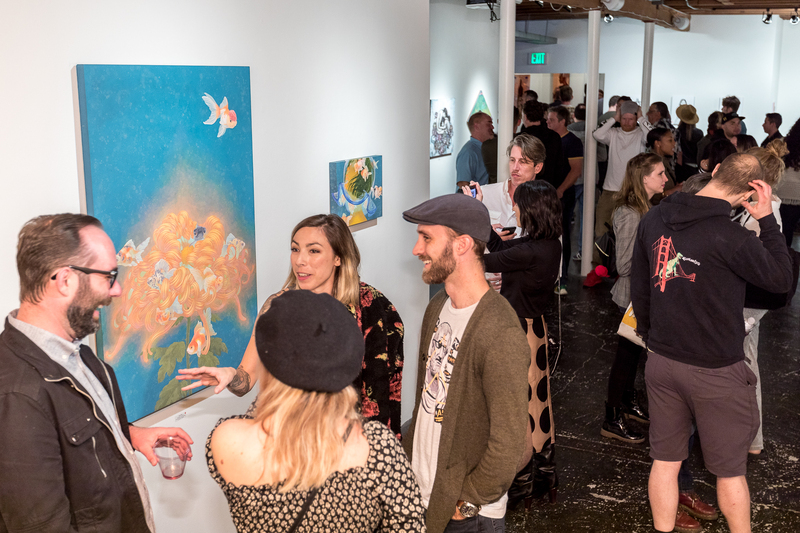 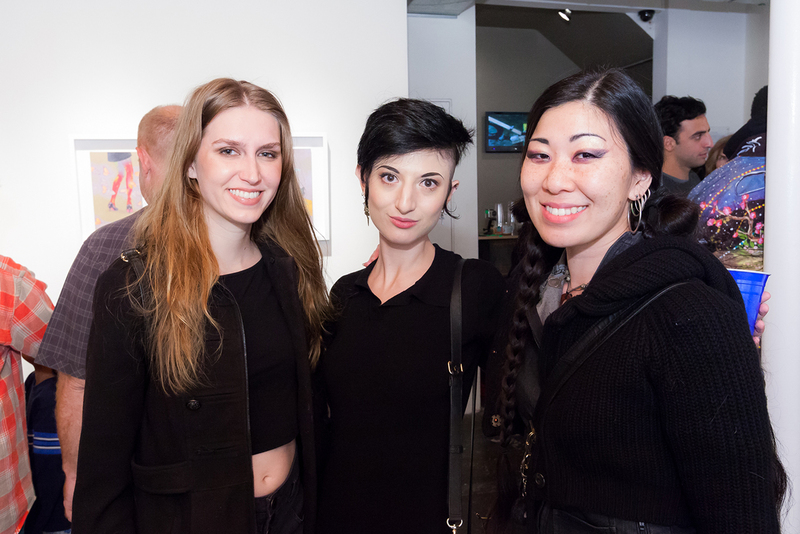 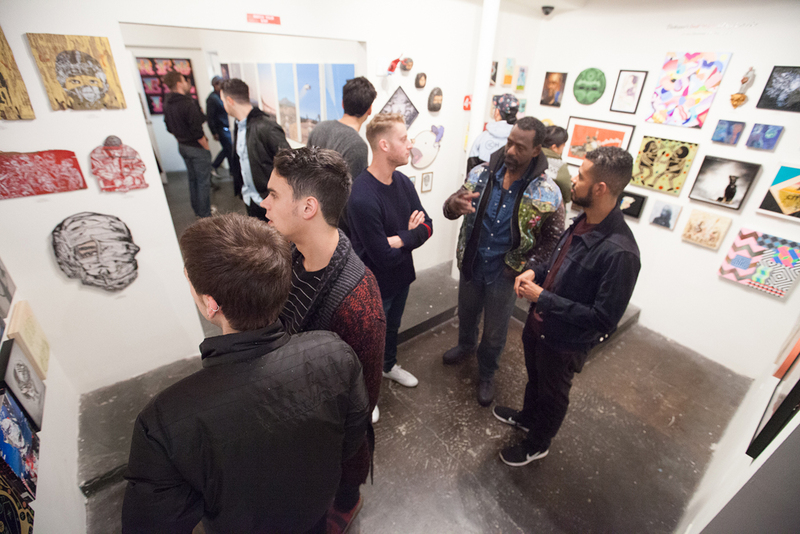 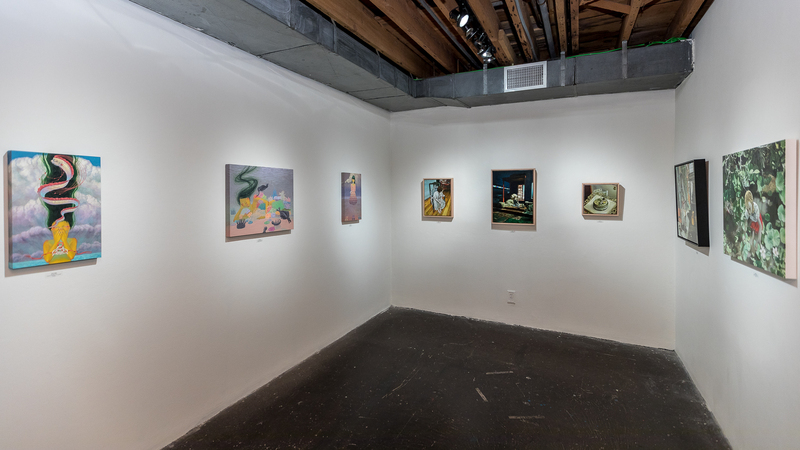 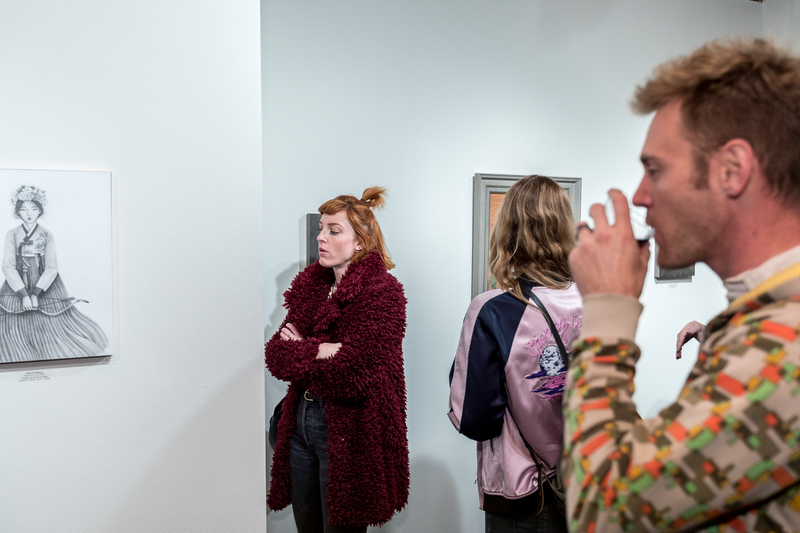 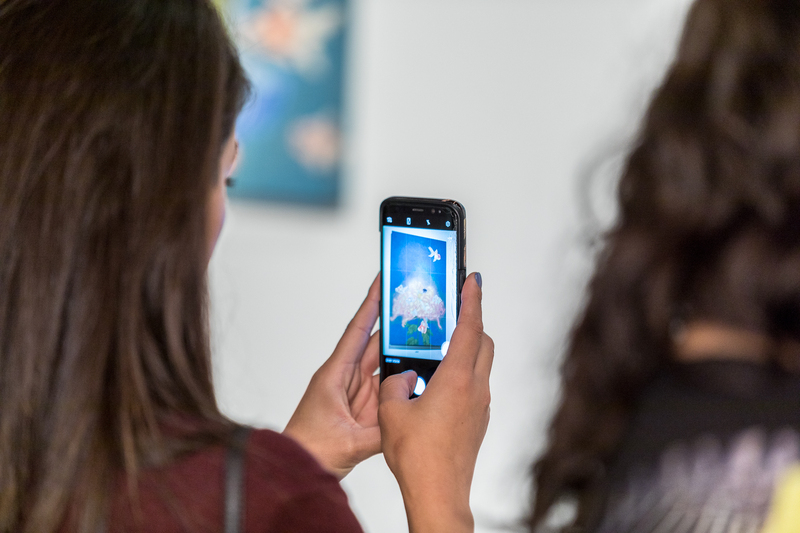 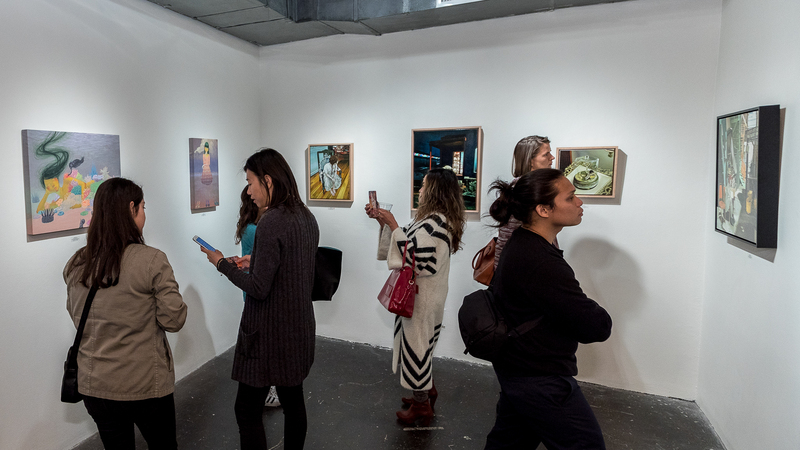 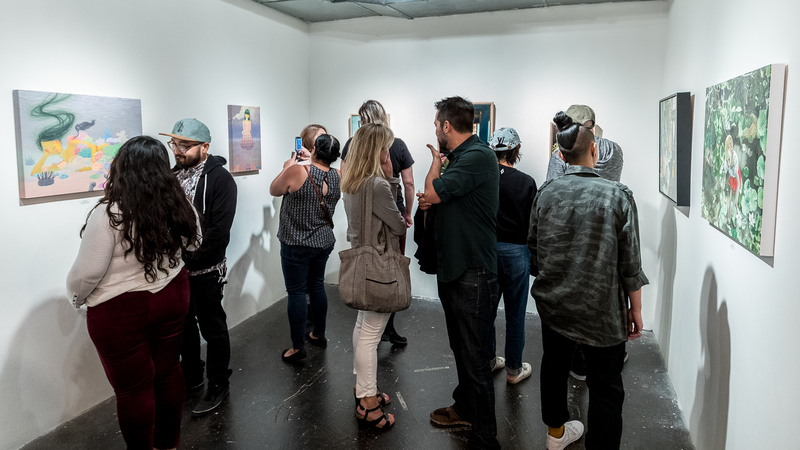 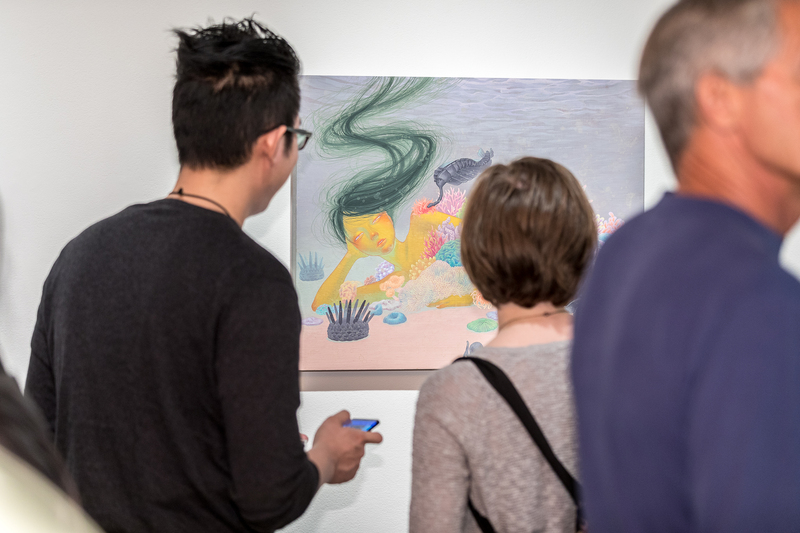 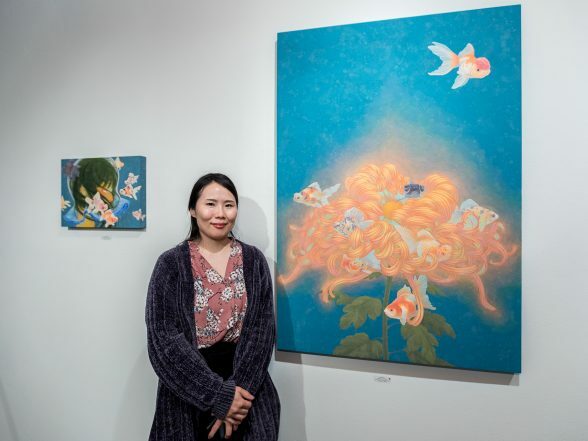 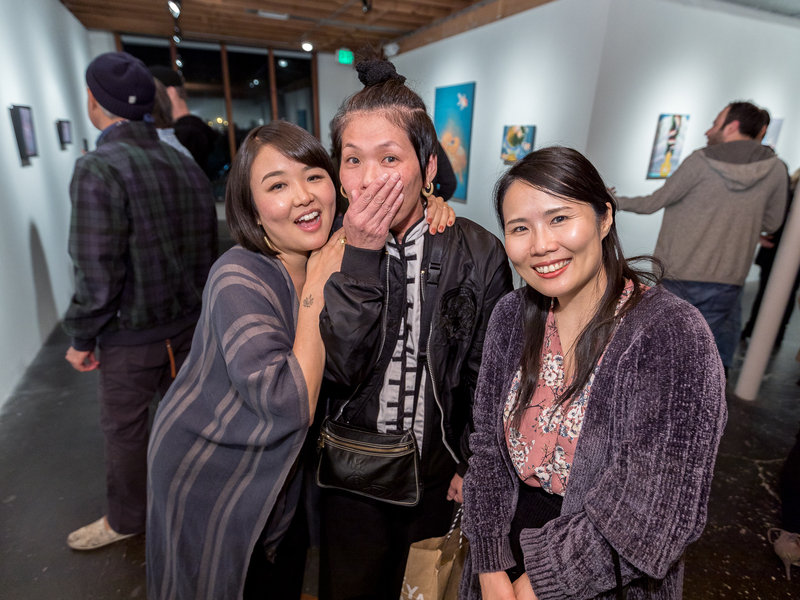 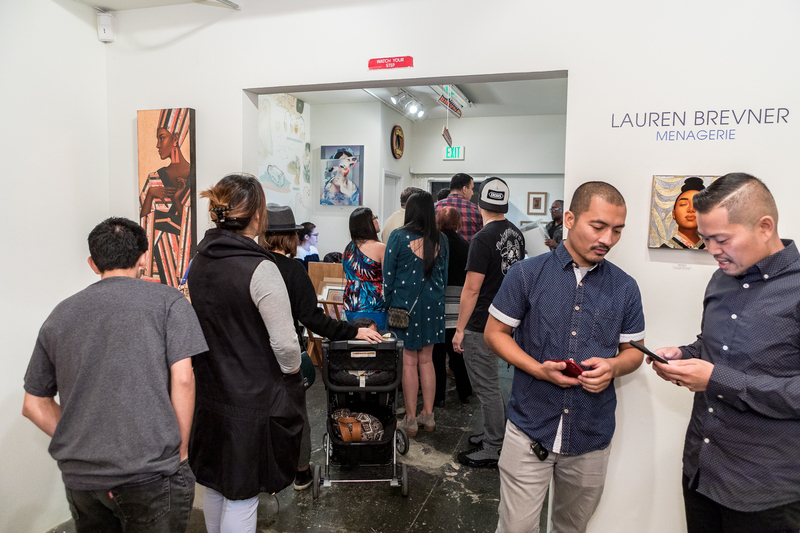 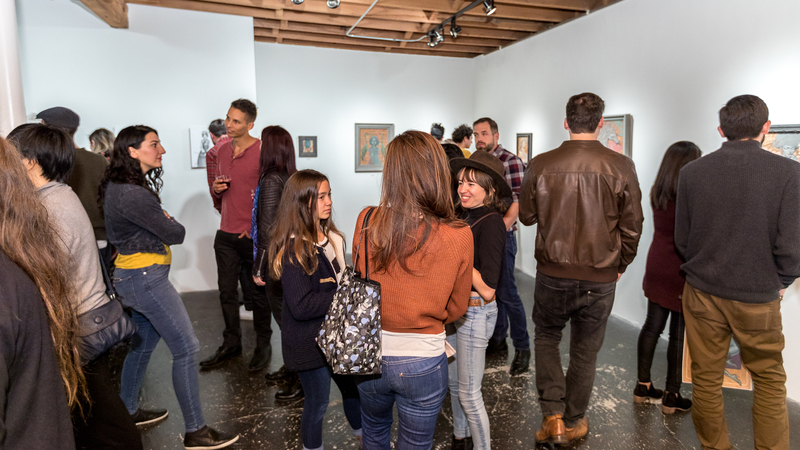 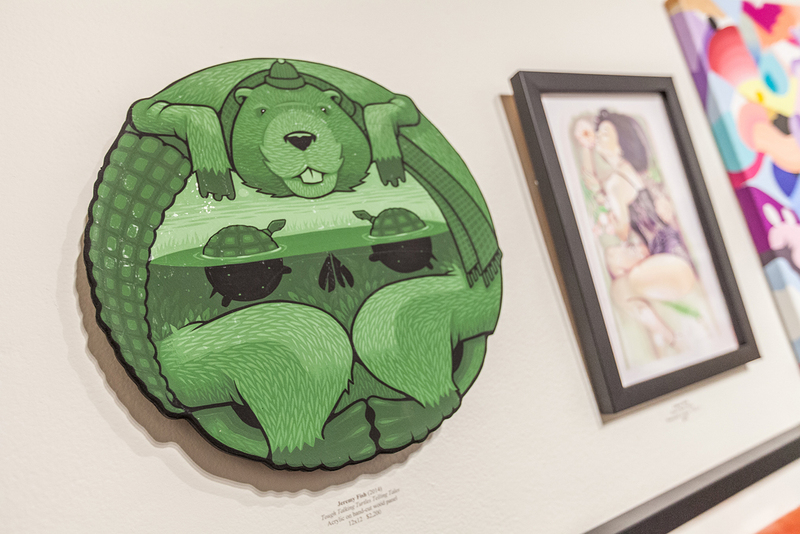 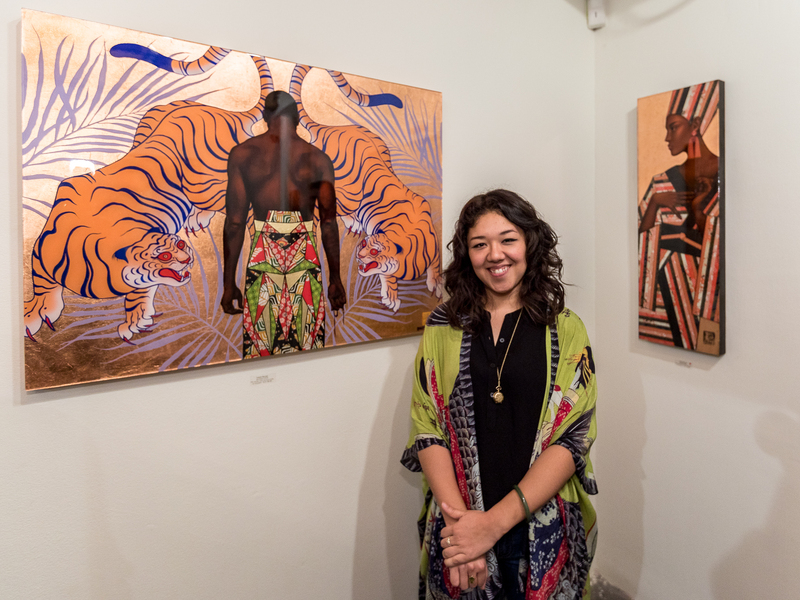 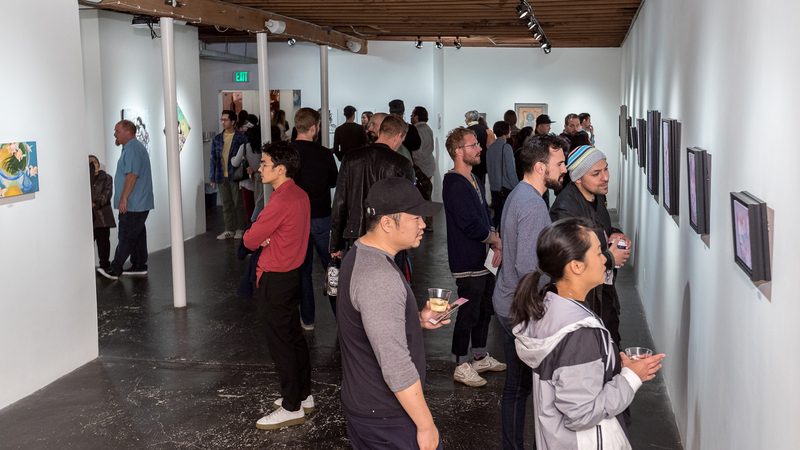 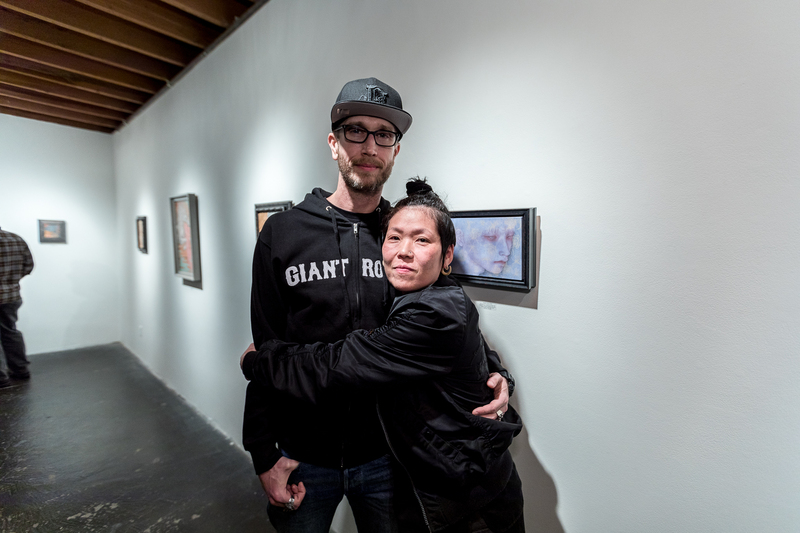 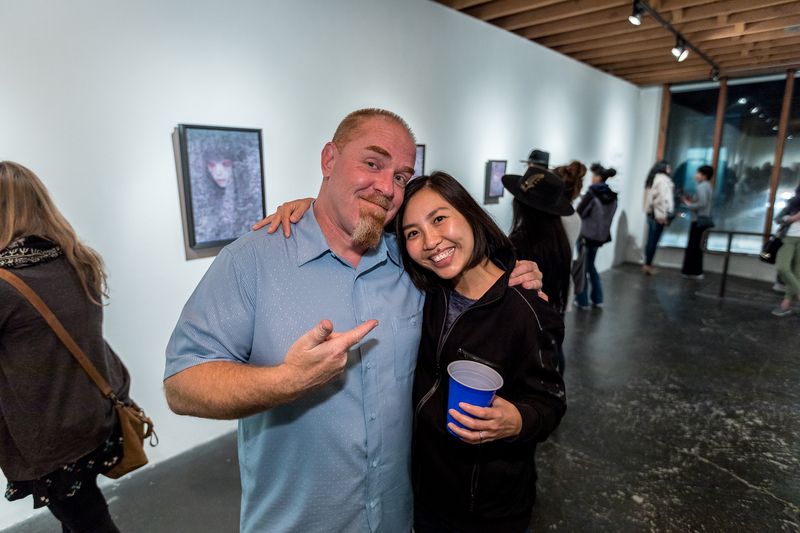 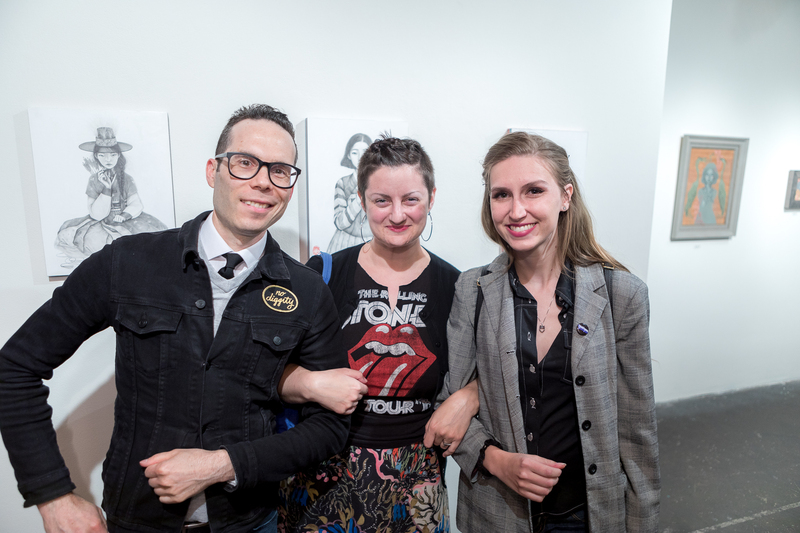 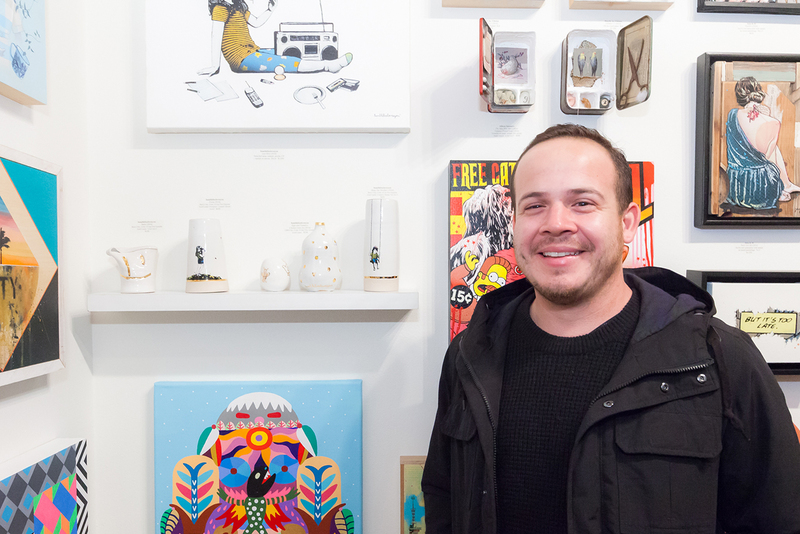 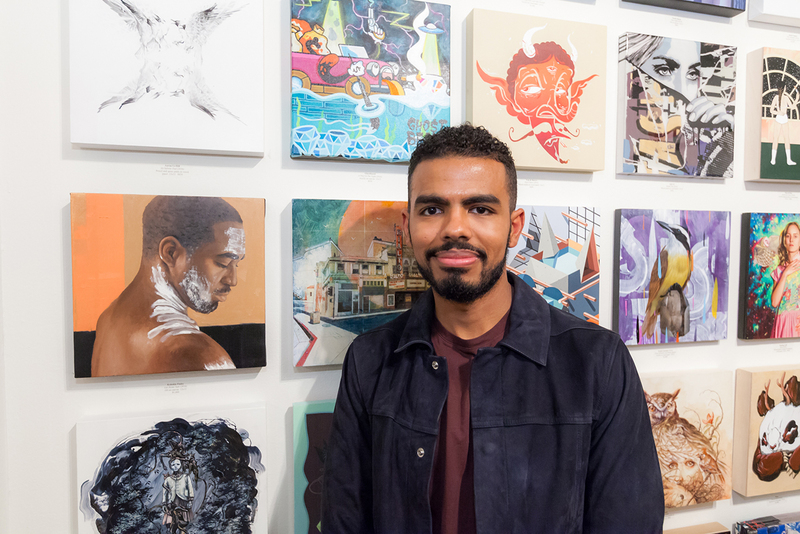 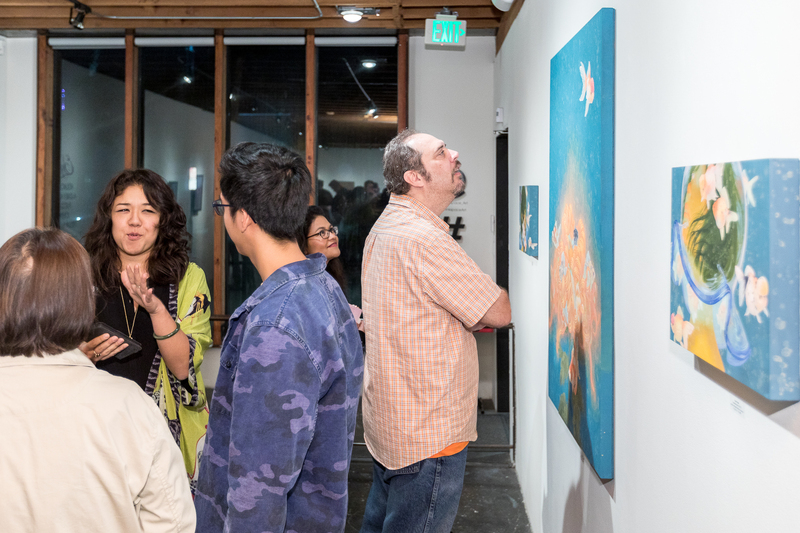 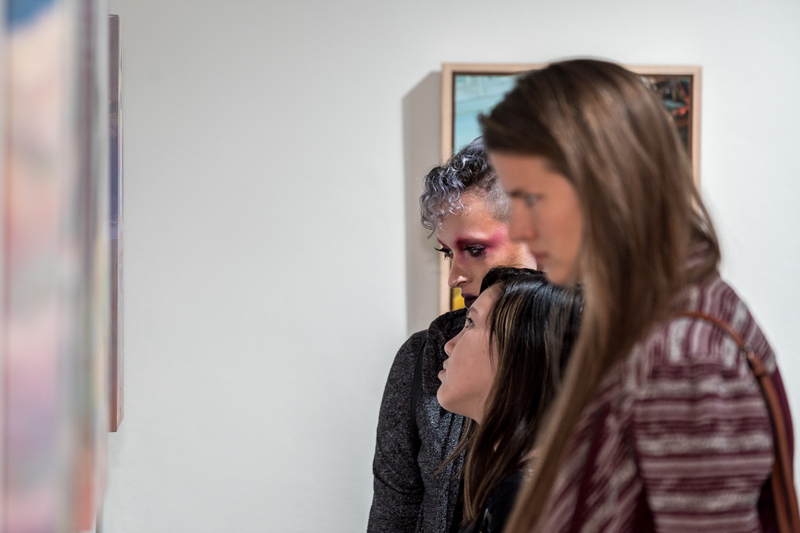 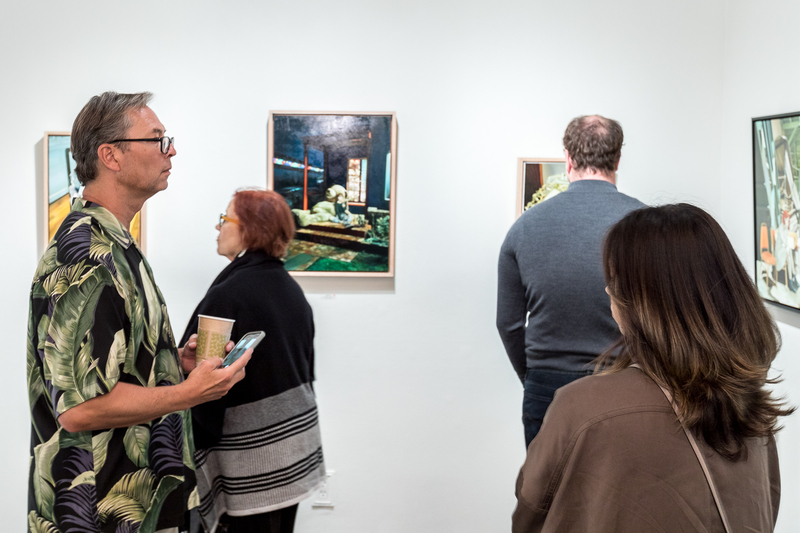 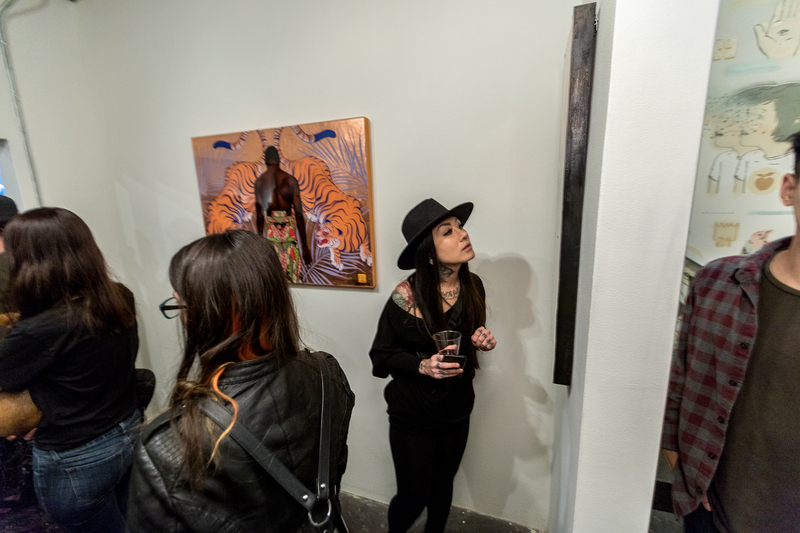 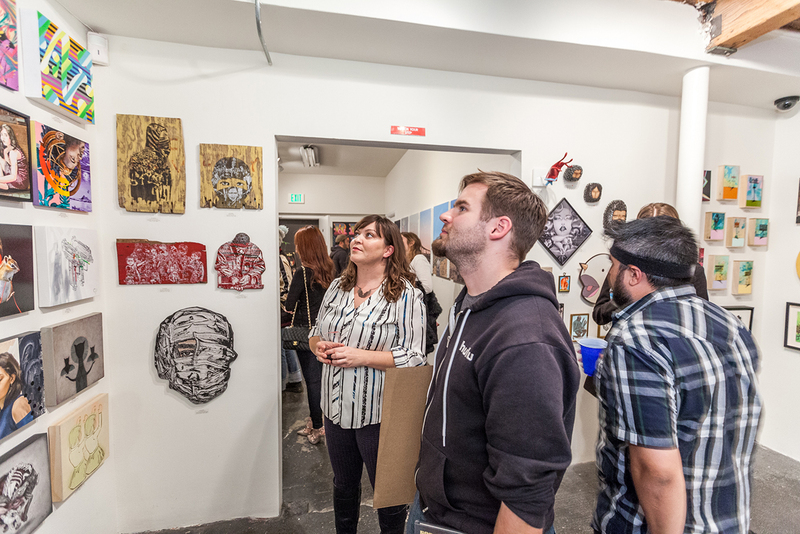 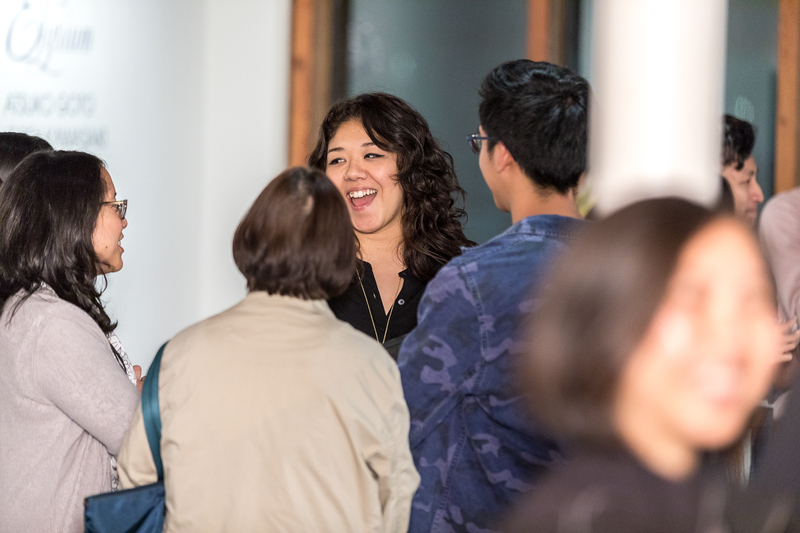 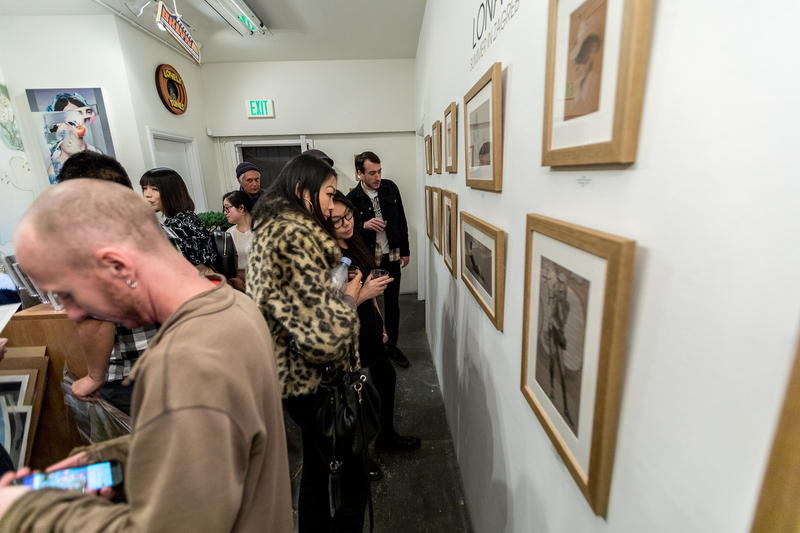 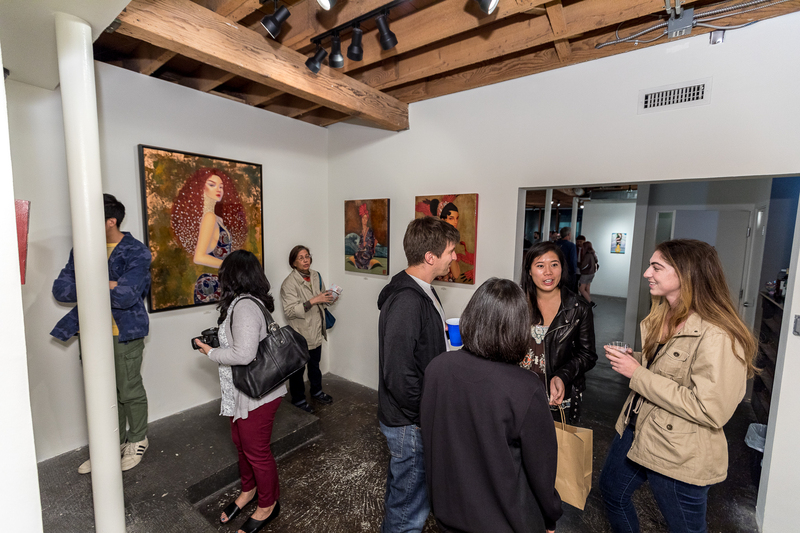 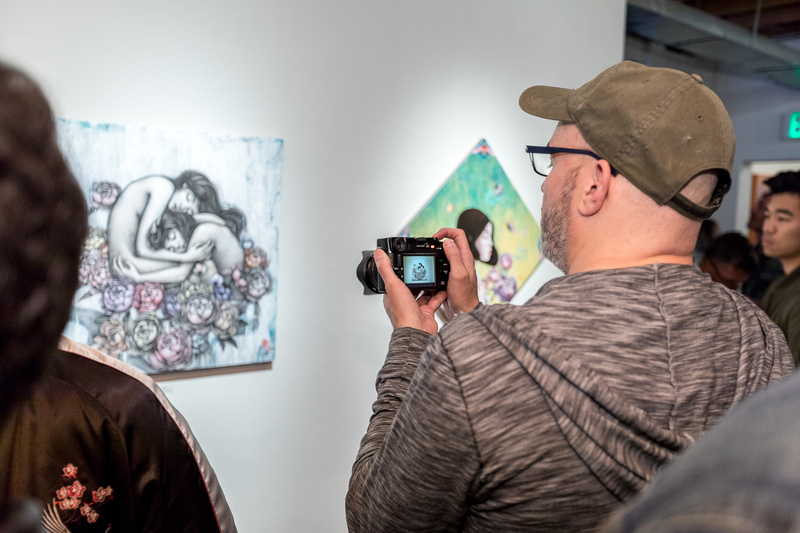 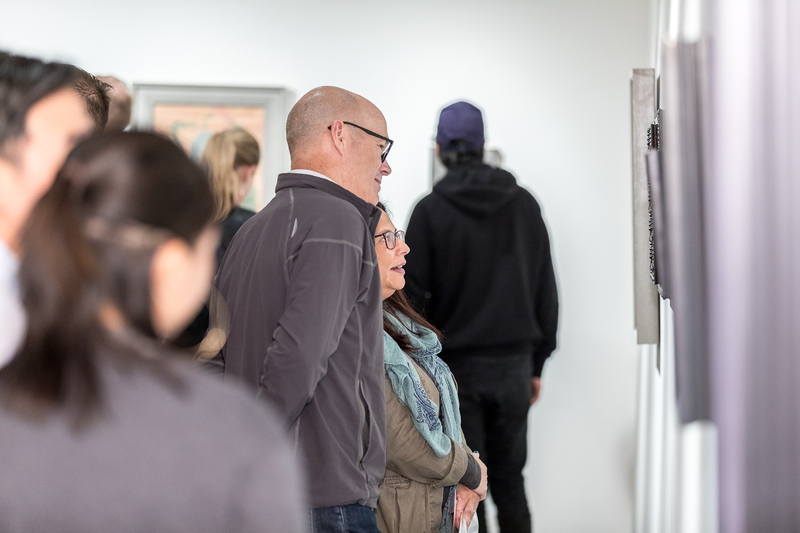 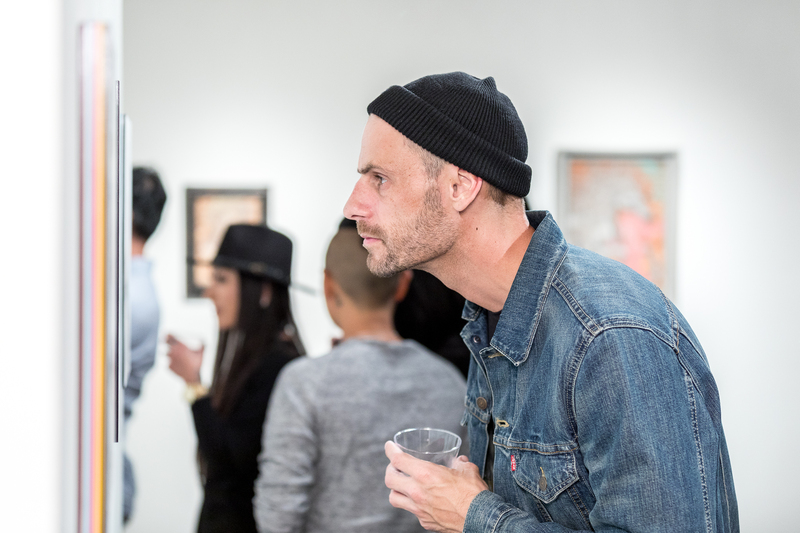 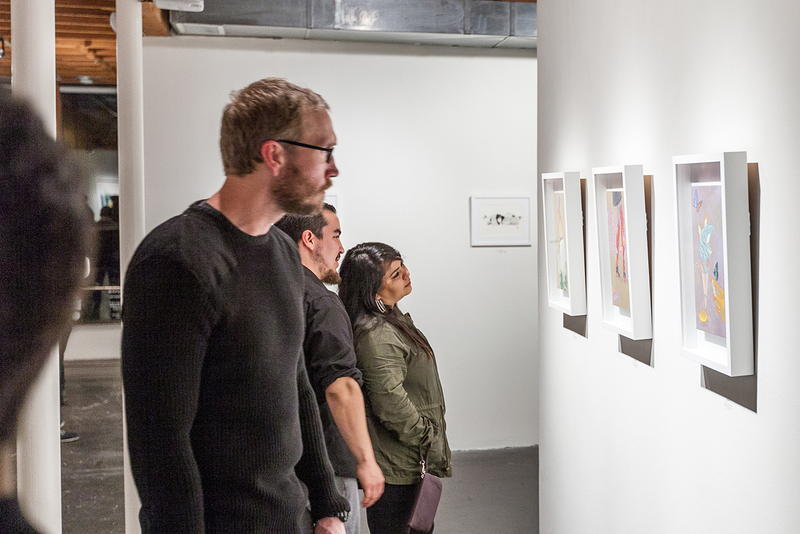 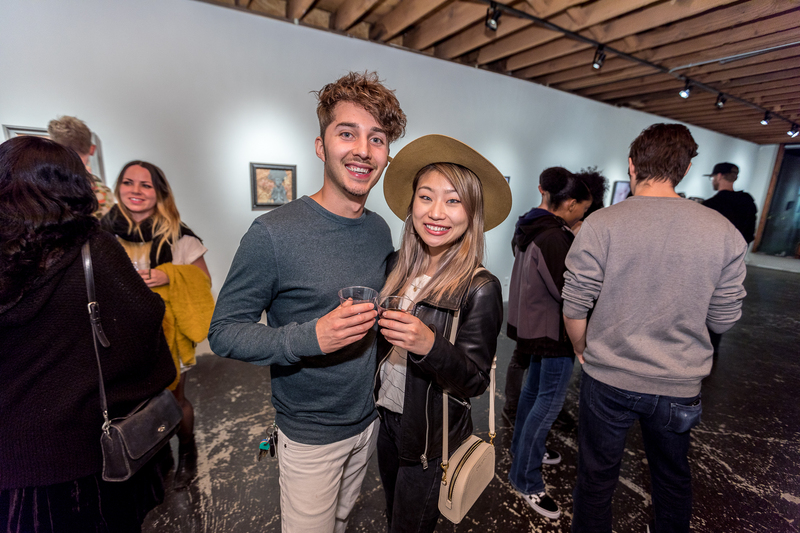 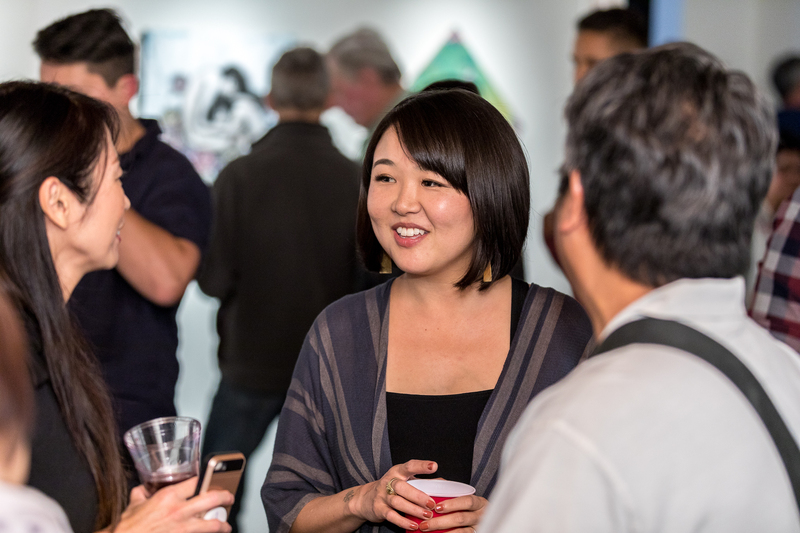 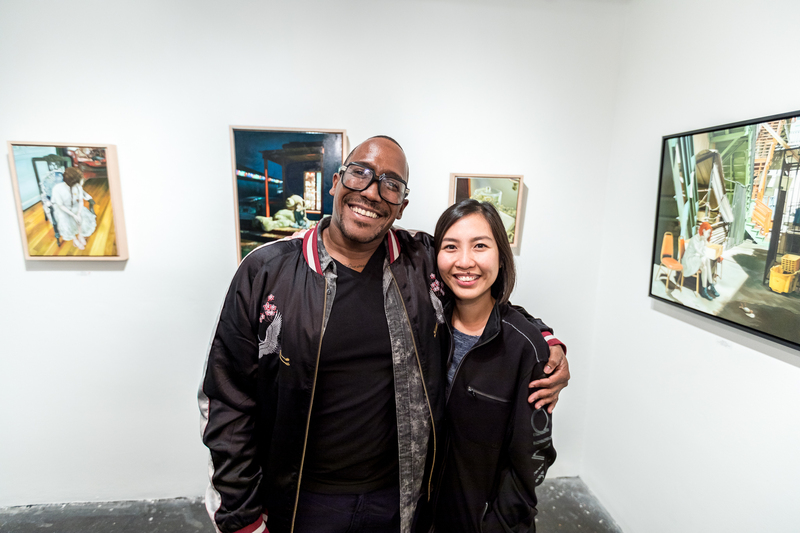 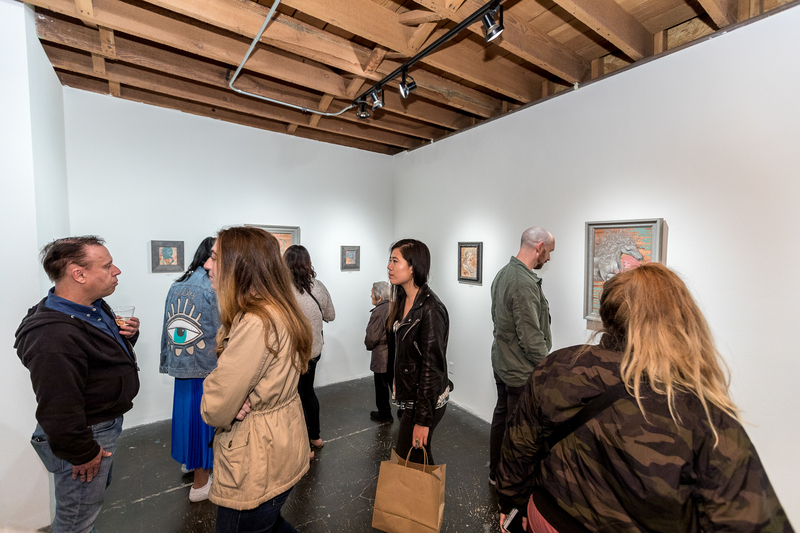 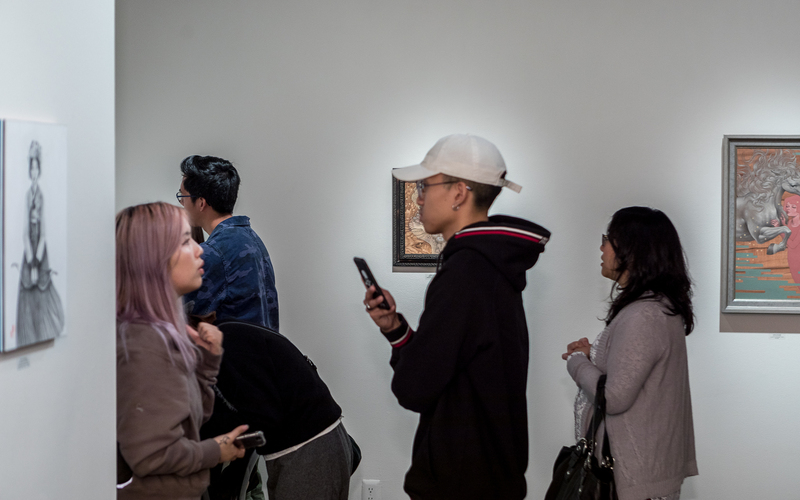 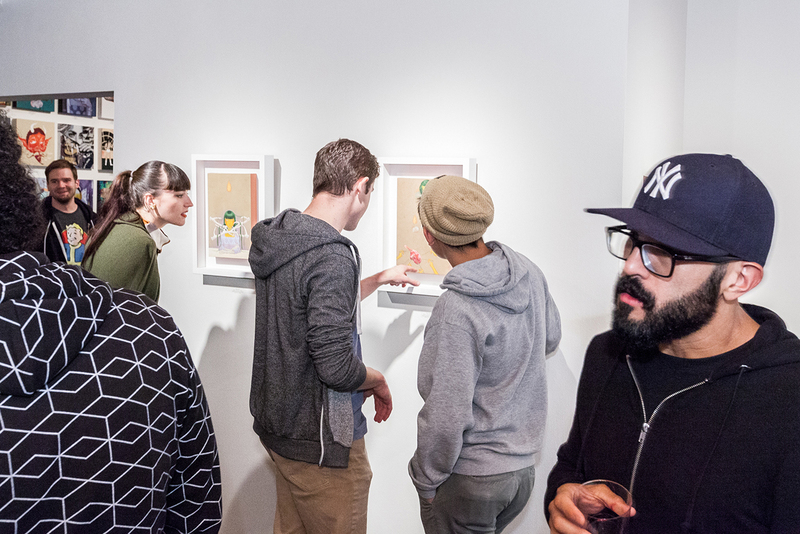 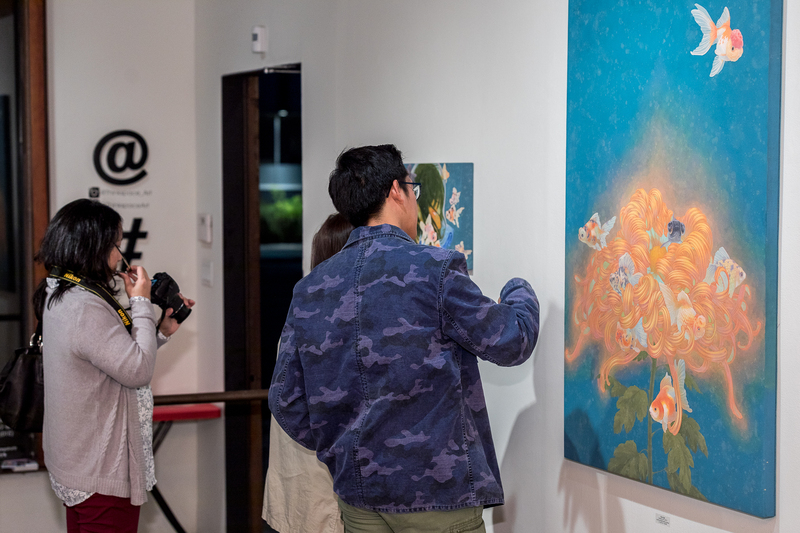 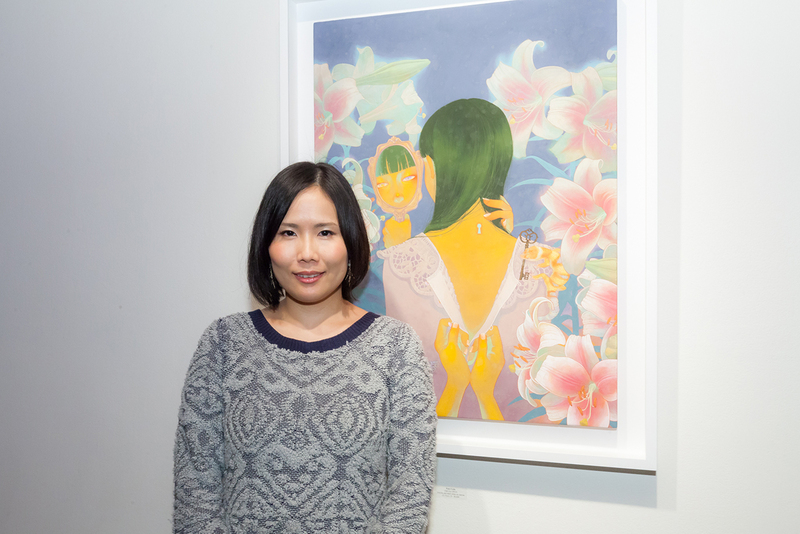 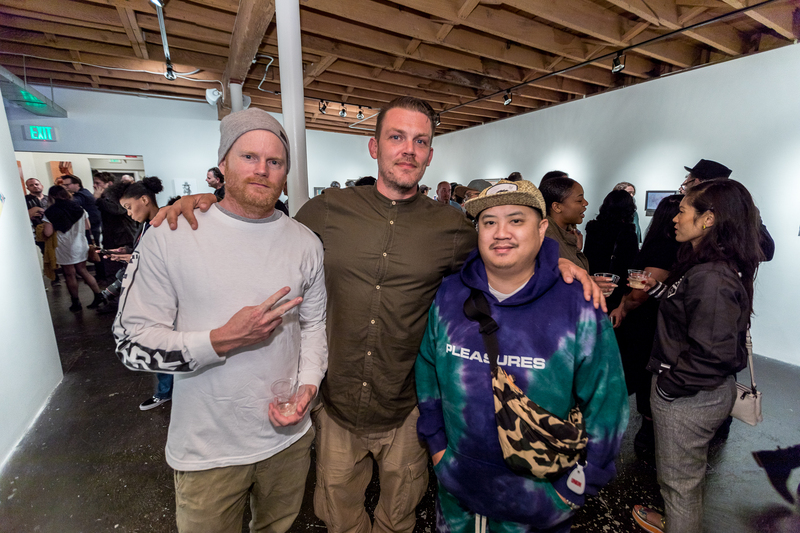 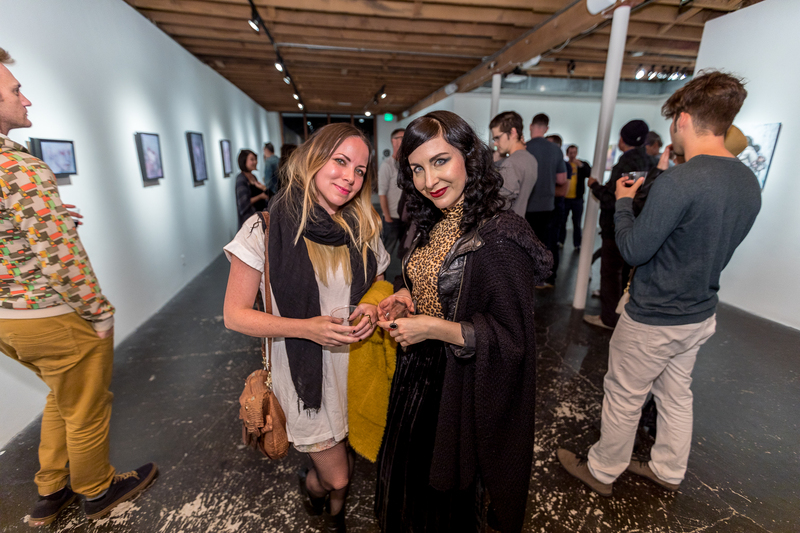 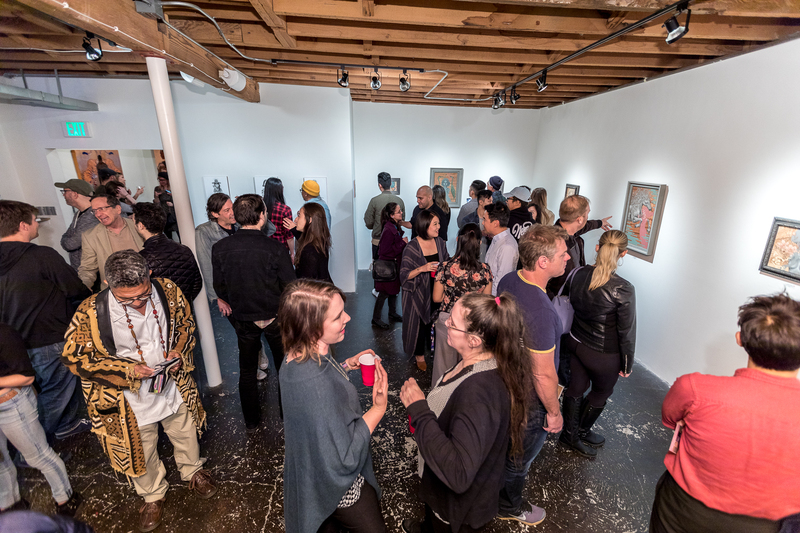 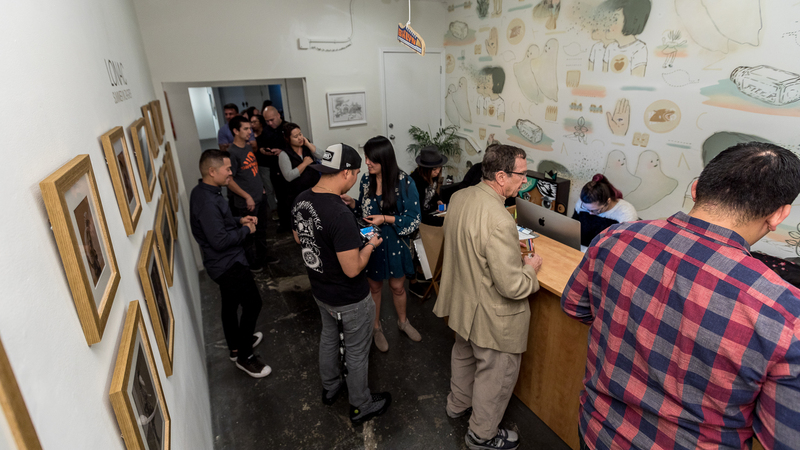 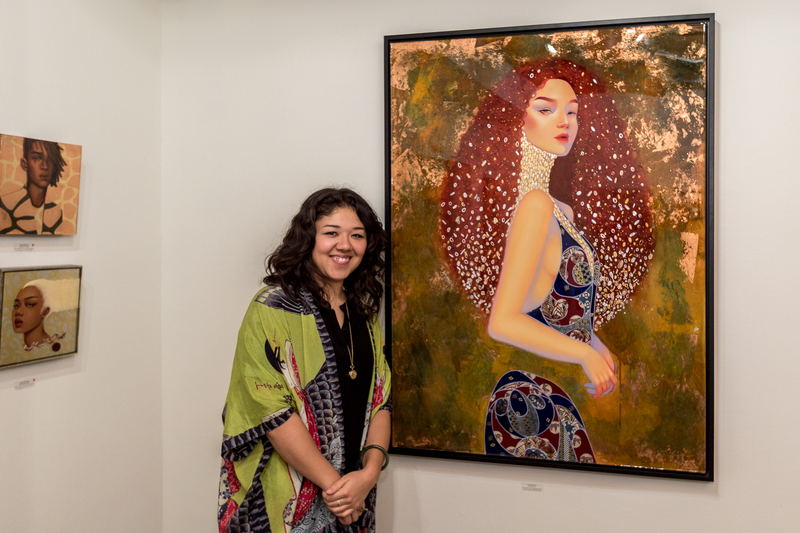 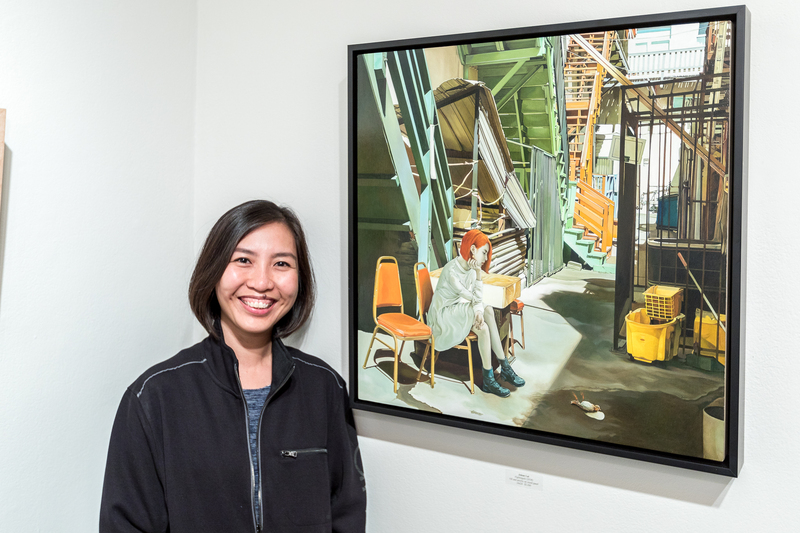 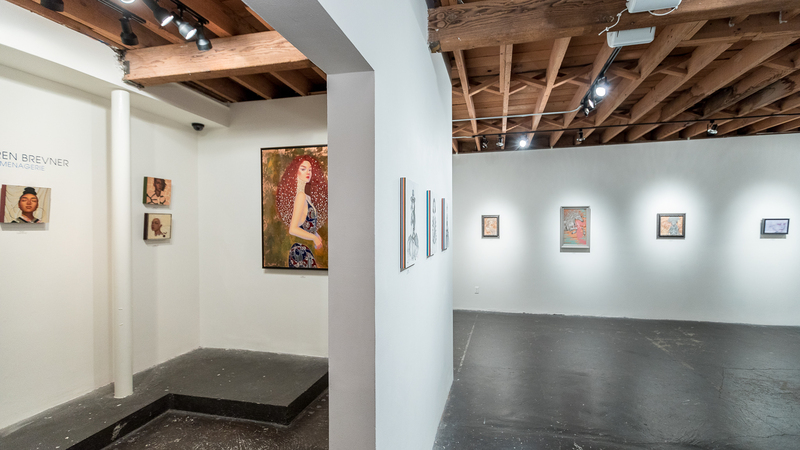 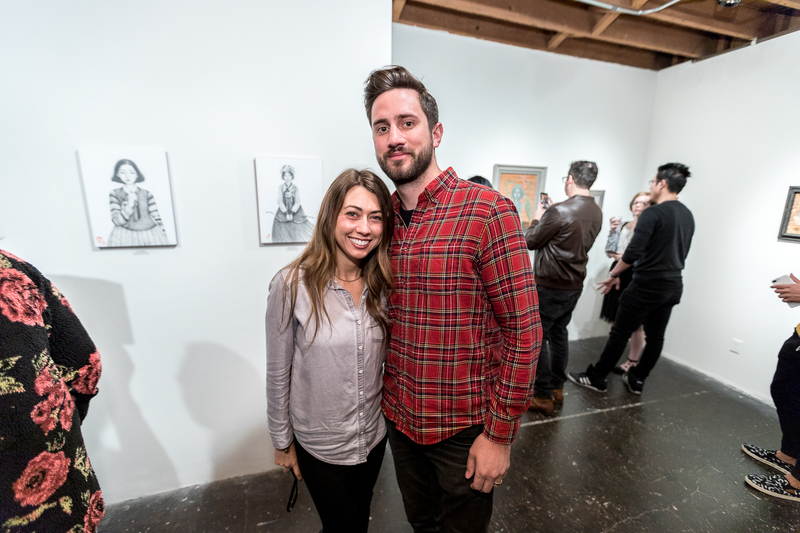 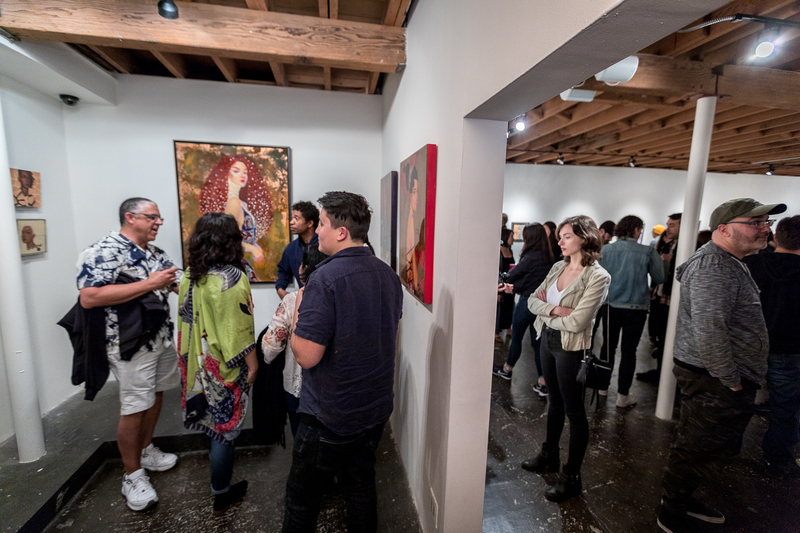 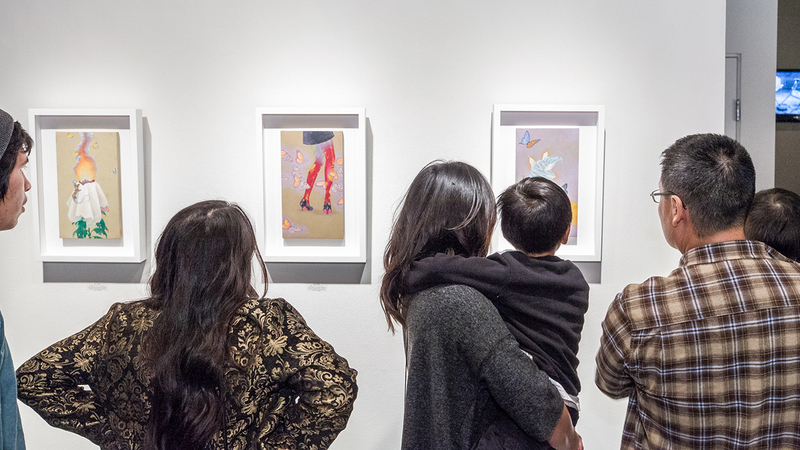 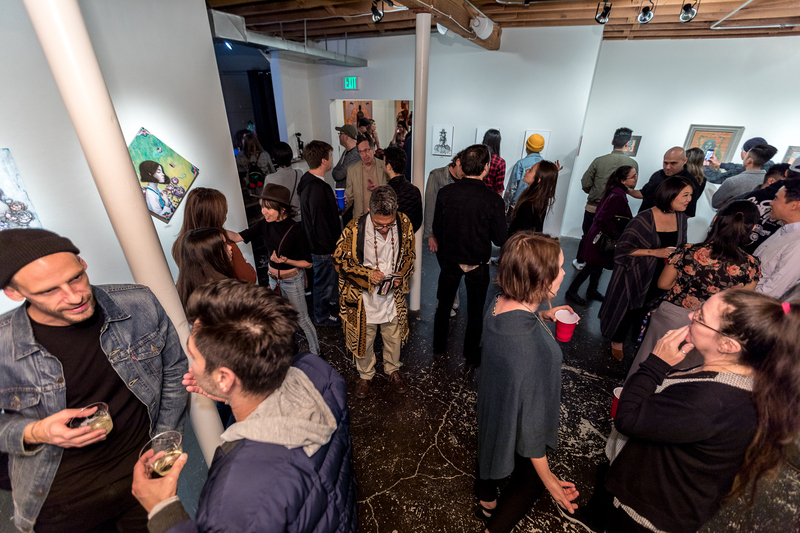 The opening reception of Fuco Ueda’s “Odd Eye” was a beautiful exhibition to close out the year, as our Small Works Holiday Group show was a visual celebration of some of the talented artists we worked with this year. 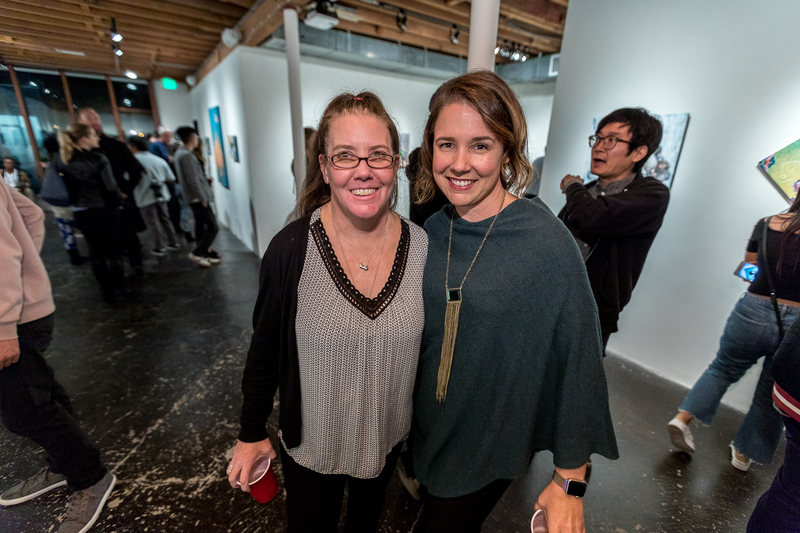 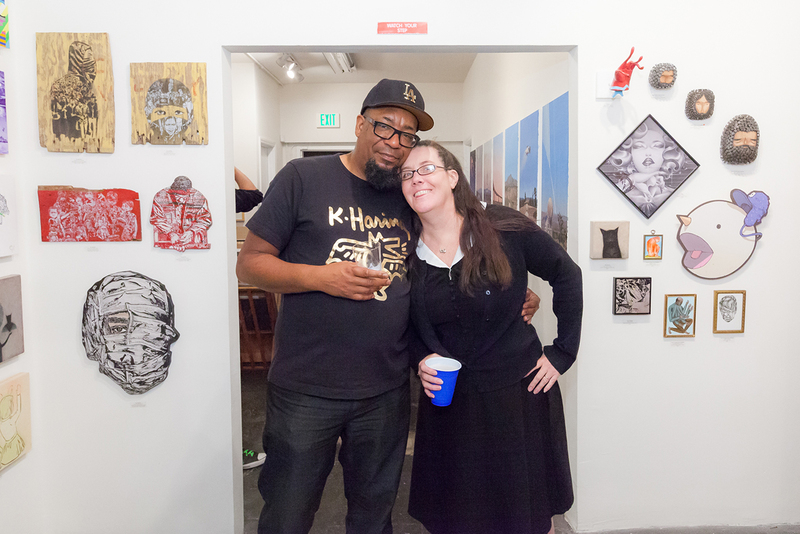 With holiday parties, shopping, and end of year project(s) wrapping up we are grateful to those who chose to spend their Saturday night with us in Culver City. 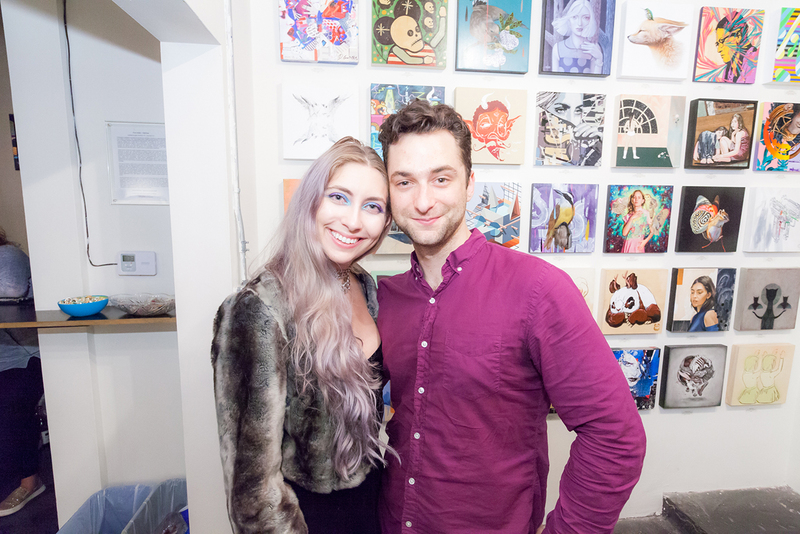 We are excited for 2017 and all the amazing work we will be able to share with our amazing supporters. 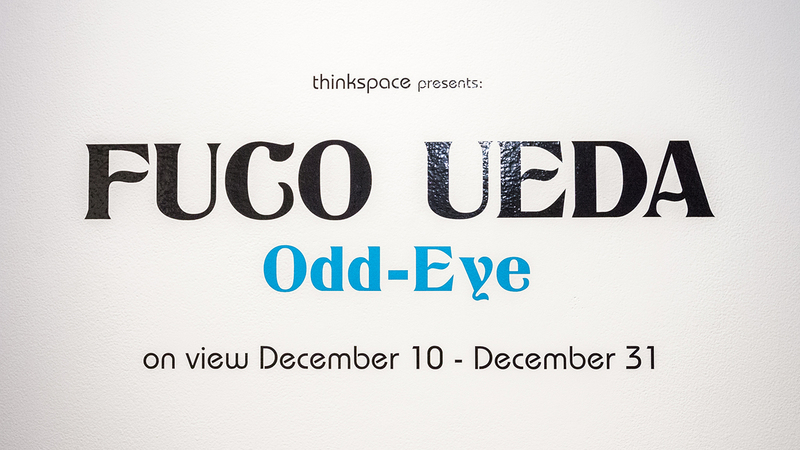 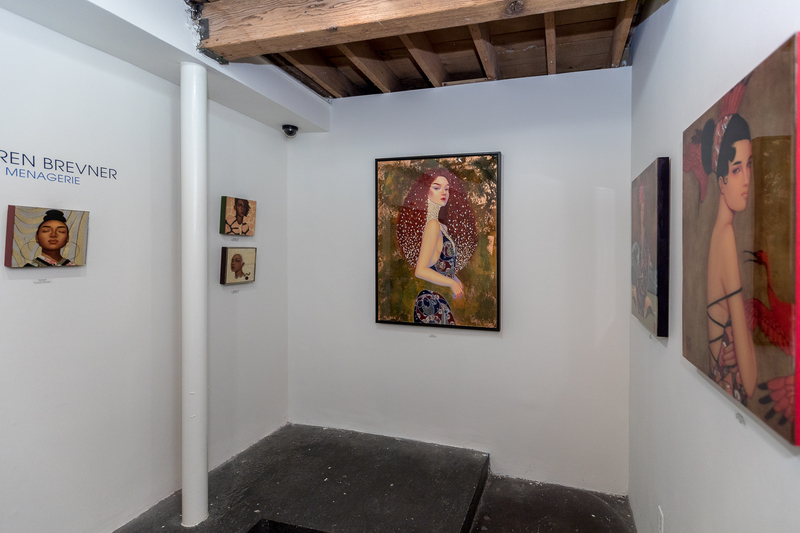 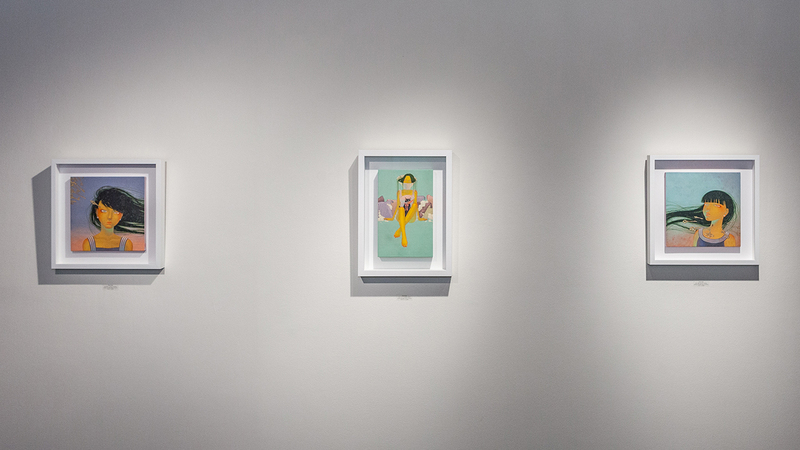 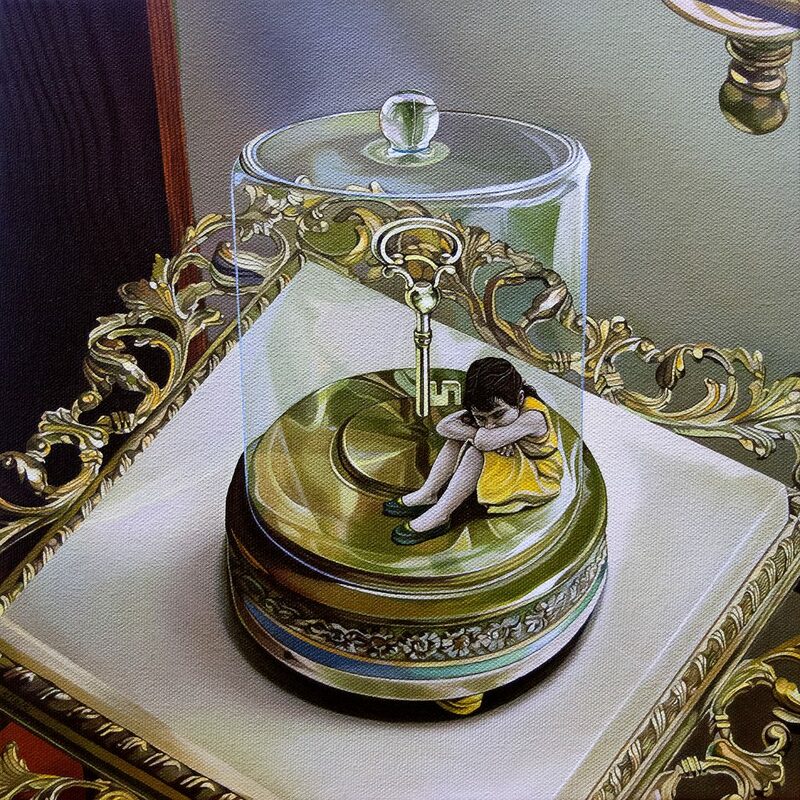 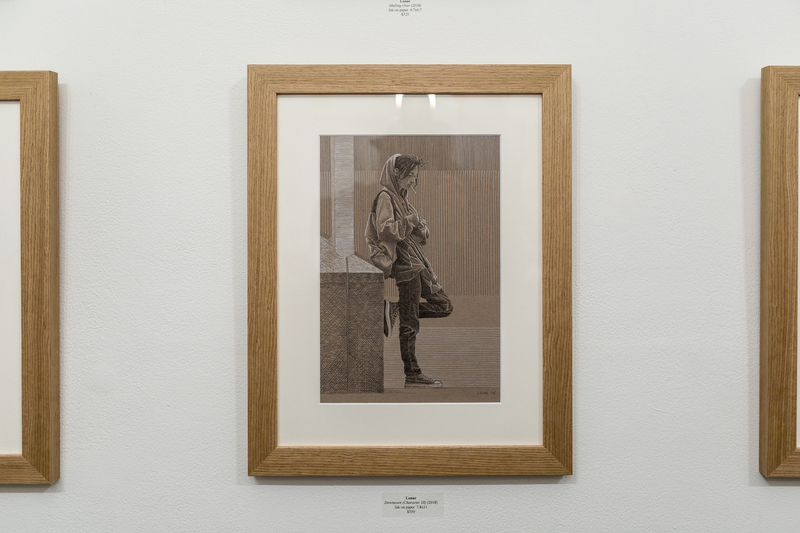 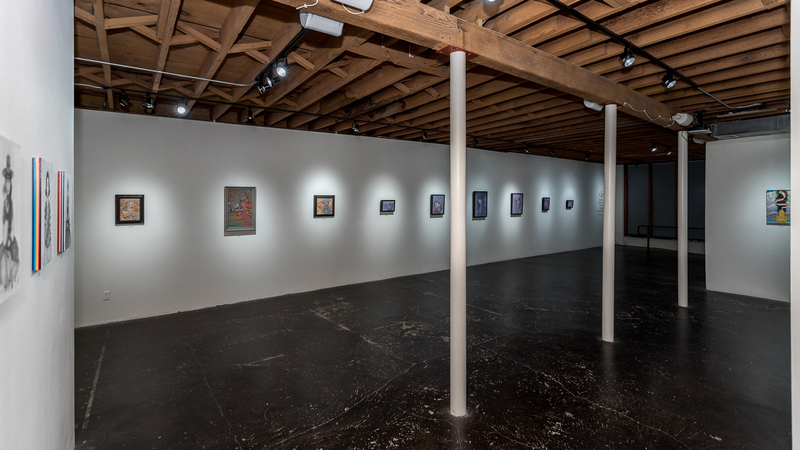 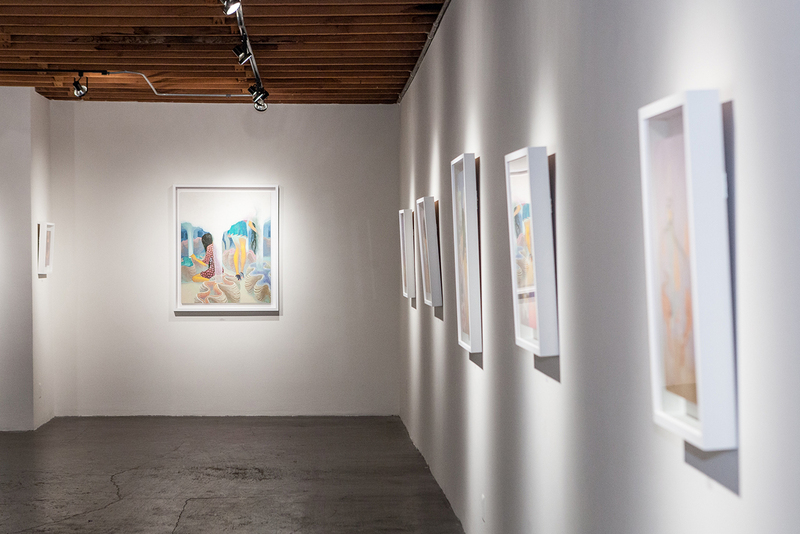 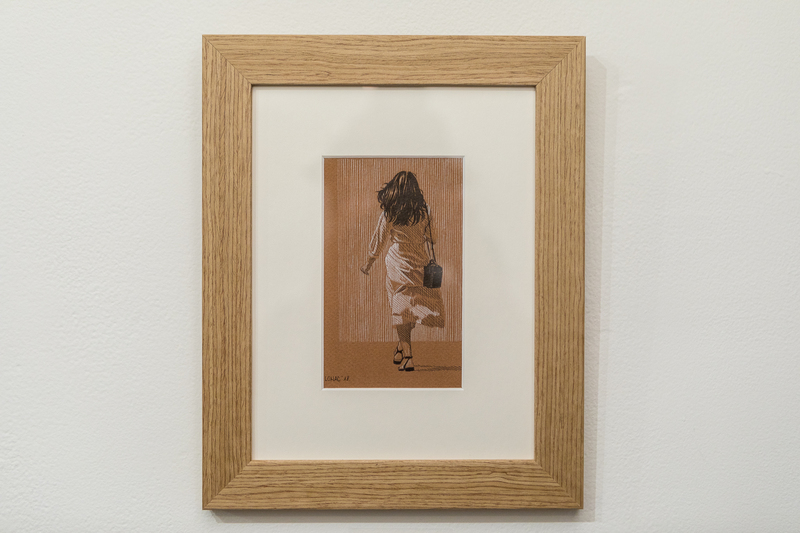 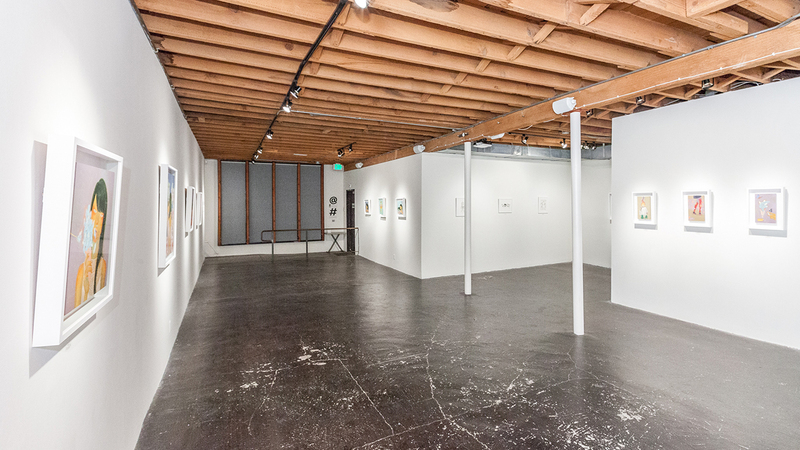 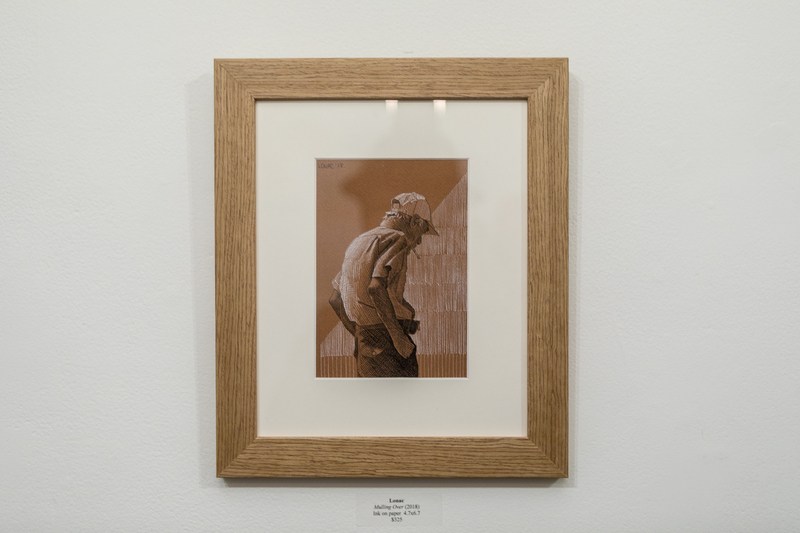 Make sure to come in and see Fuco Ueda’s work now until December 31st. 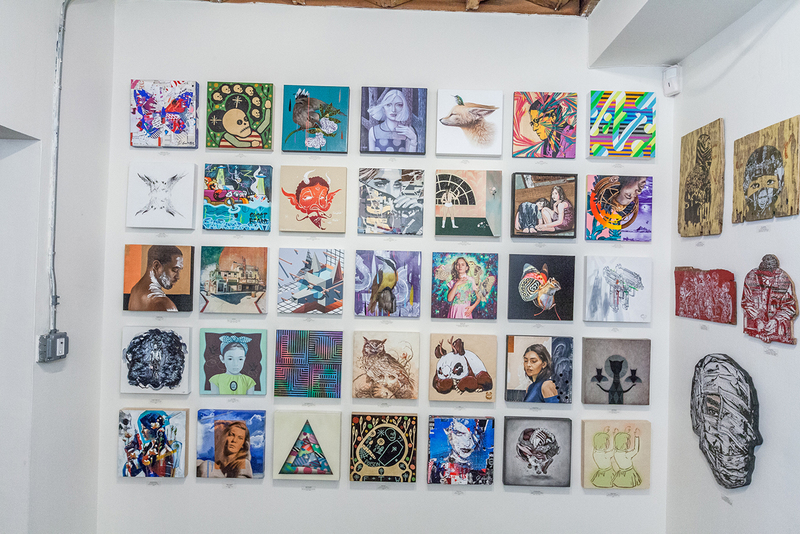 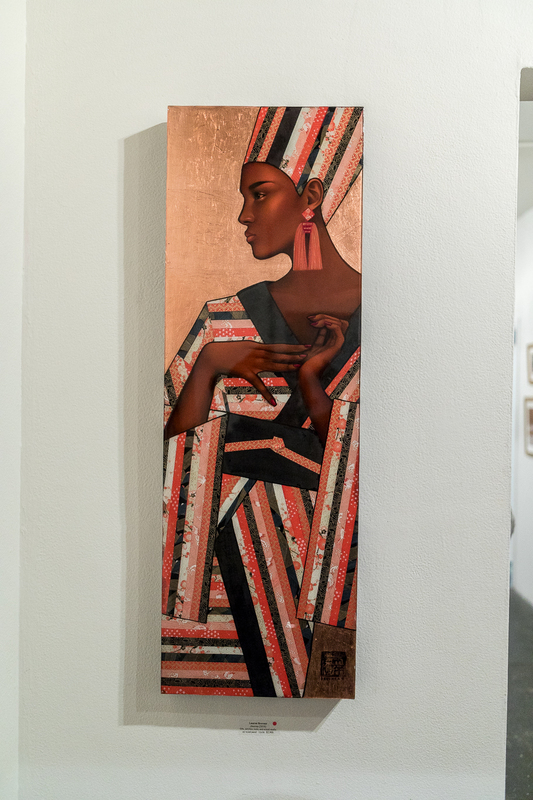 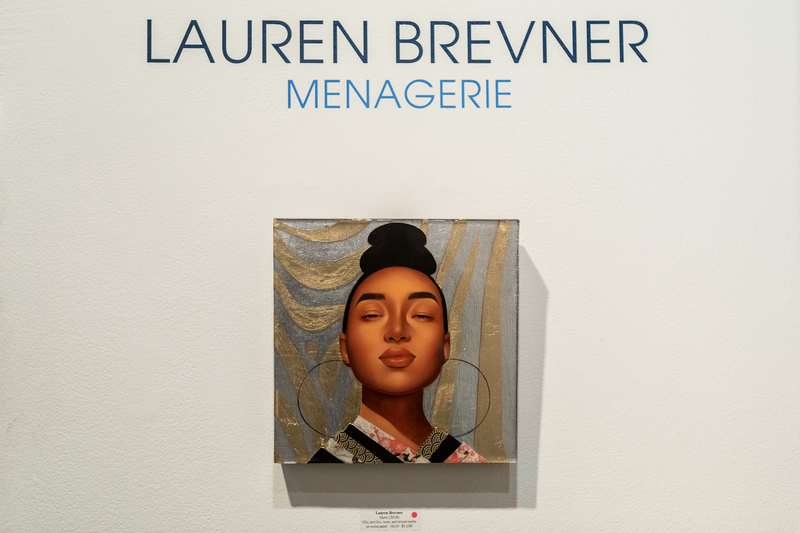 Please note that pieces from the small works show will be available for pickup at the gallery on Friday, December 23rd. 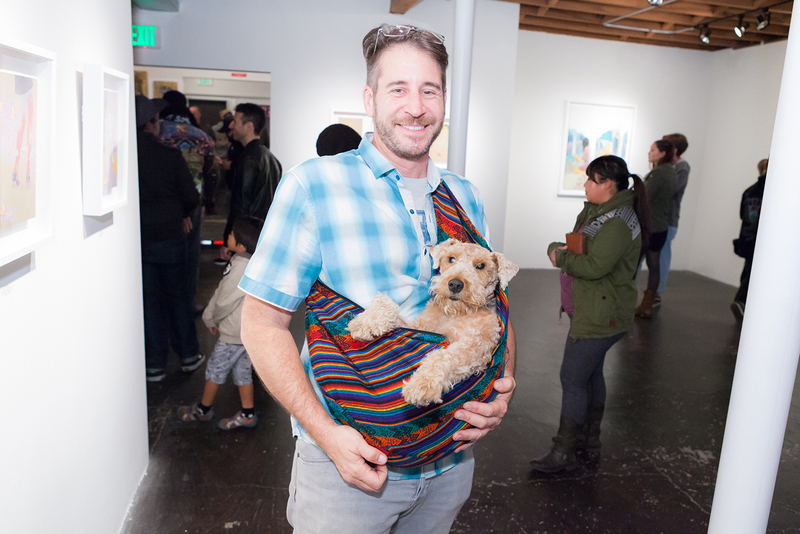 And lastly, we will be closed Saturday, December 24th to spend time with our families. 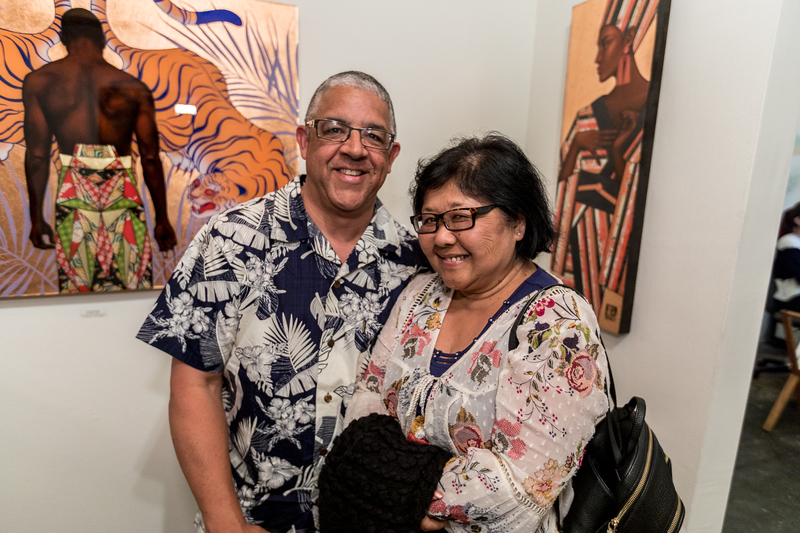 Thank you again for another fantastic year!